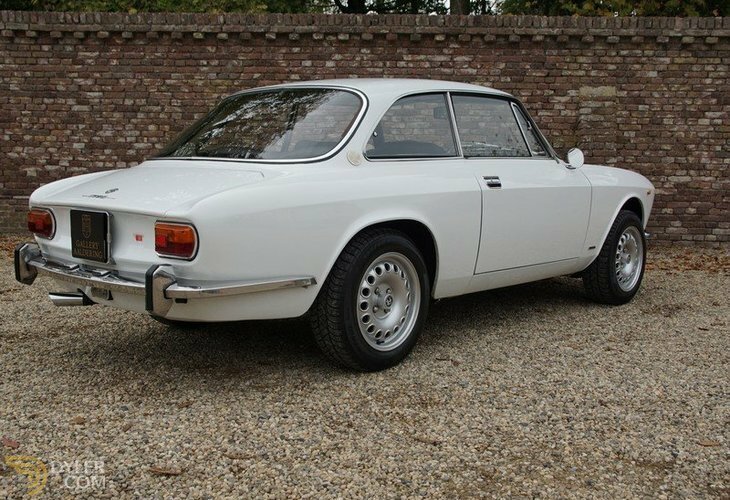 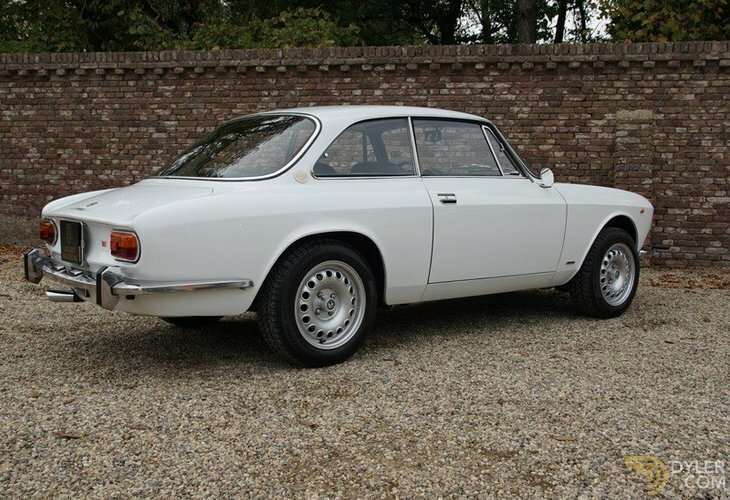 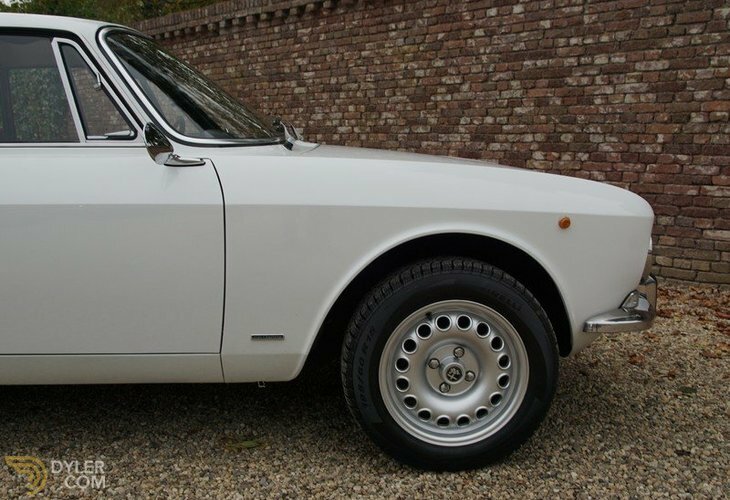 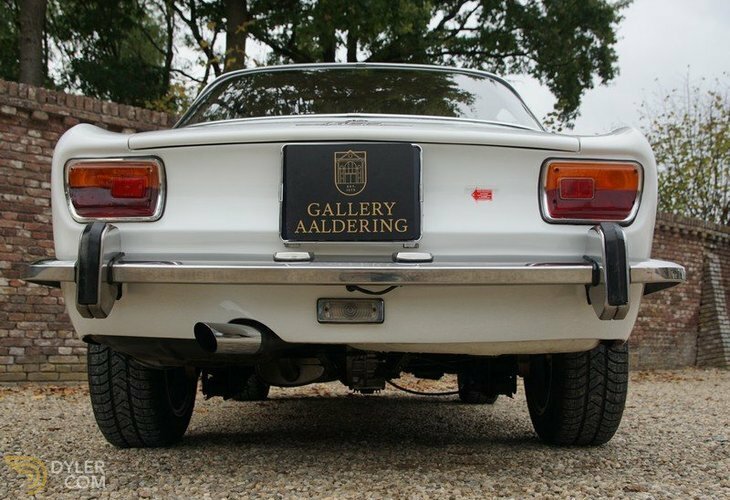 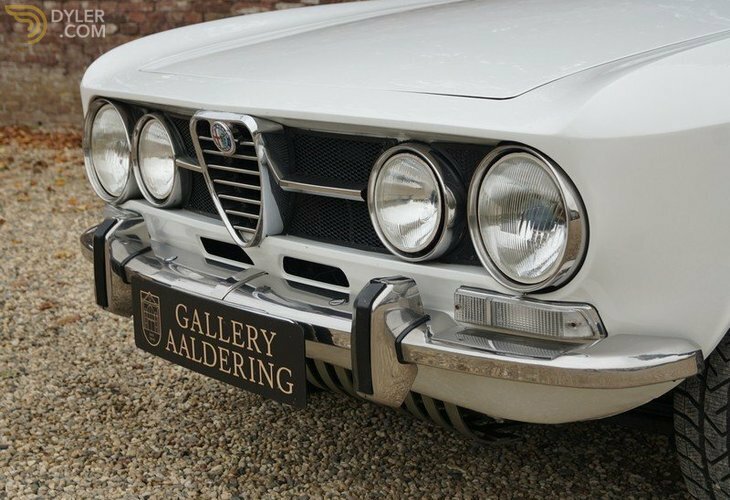 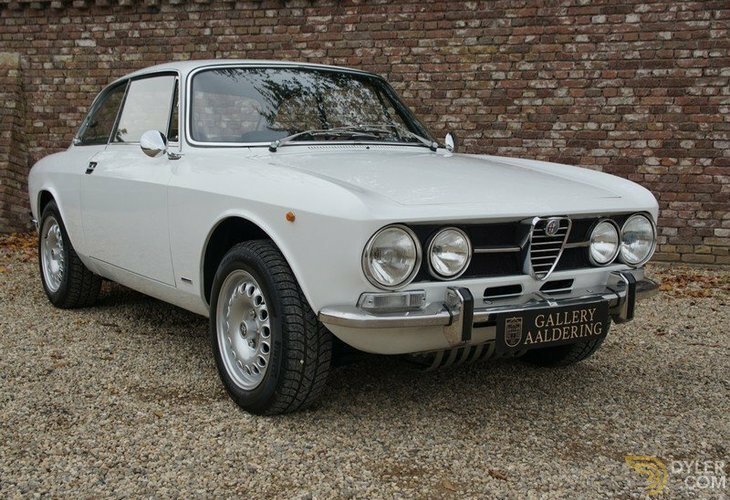 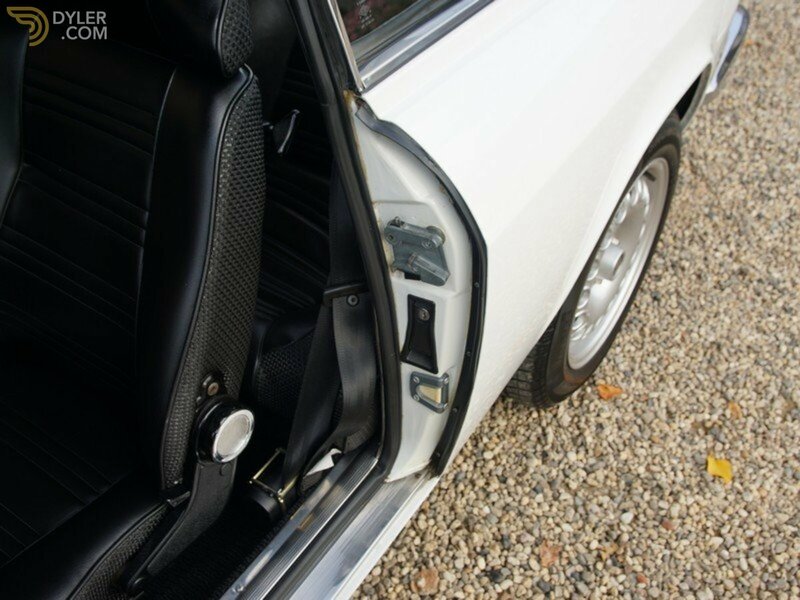 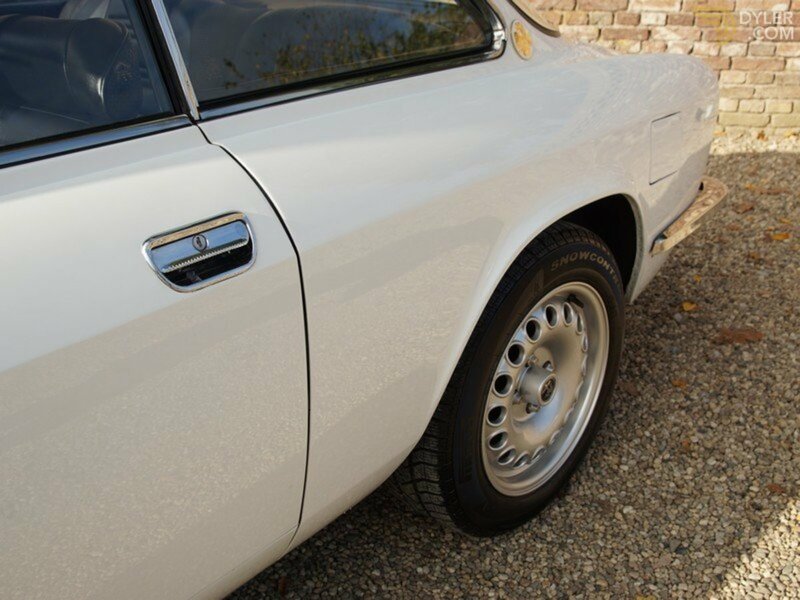 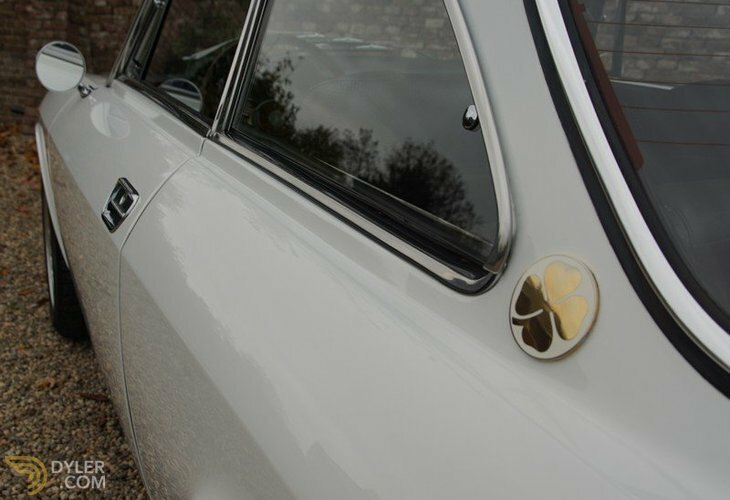 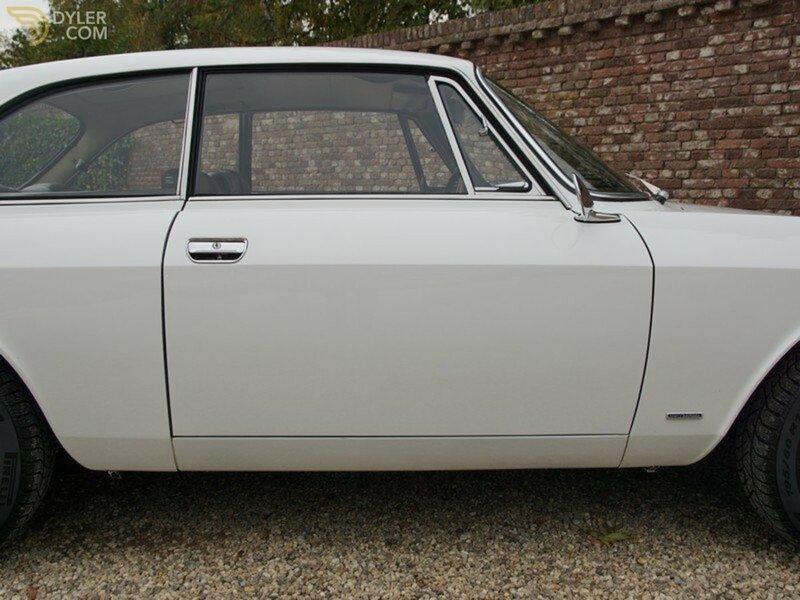 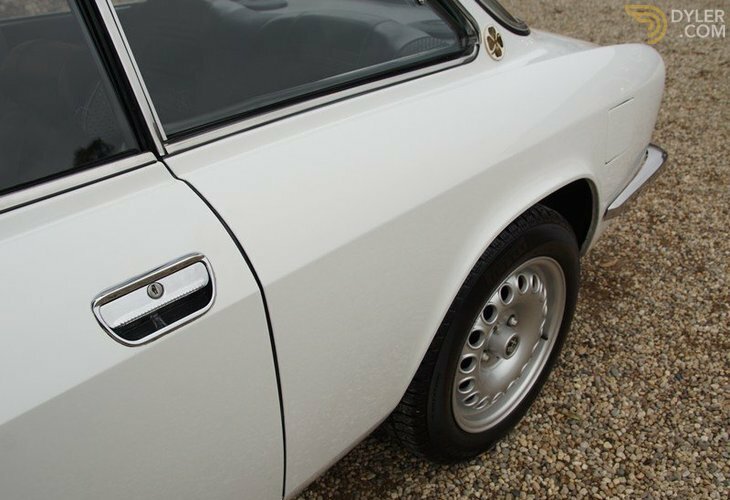 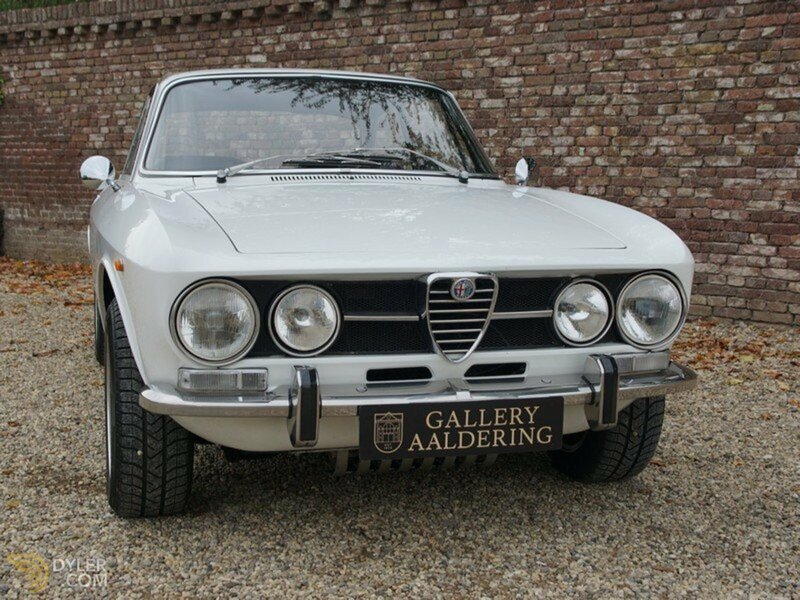 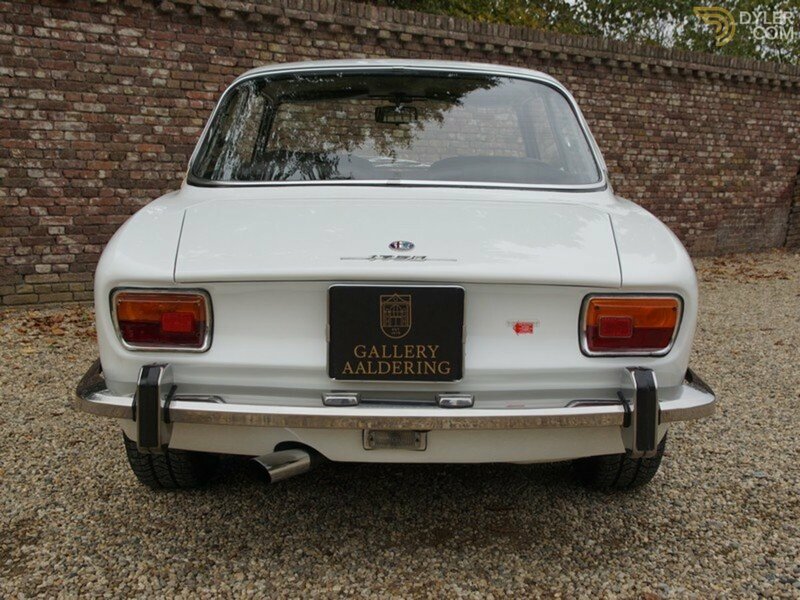 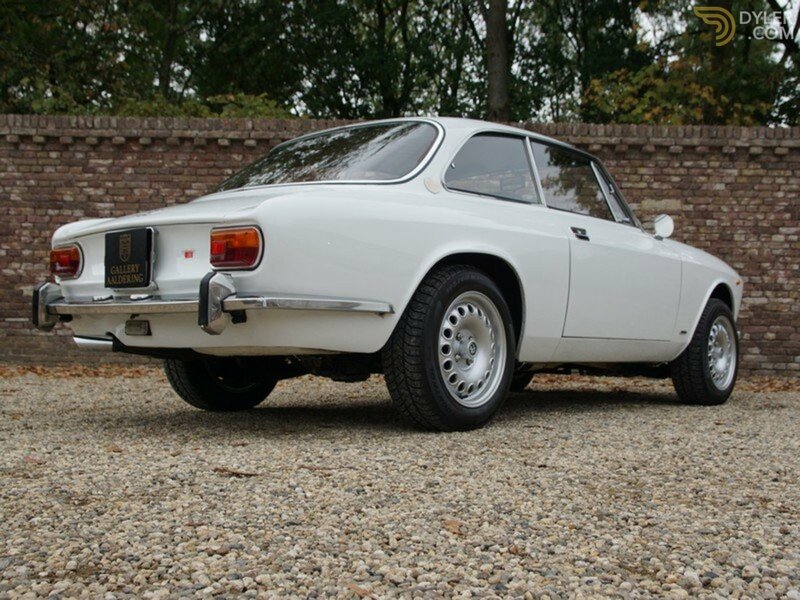 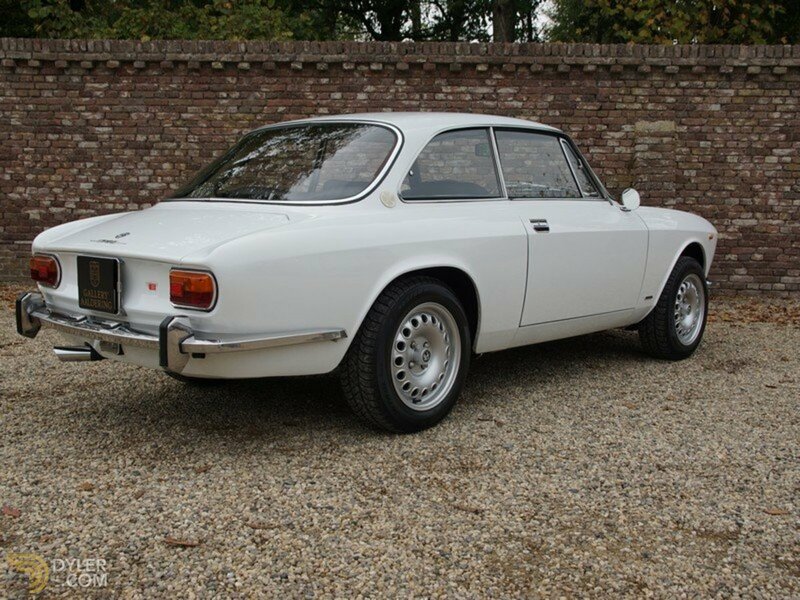 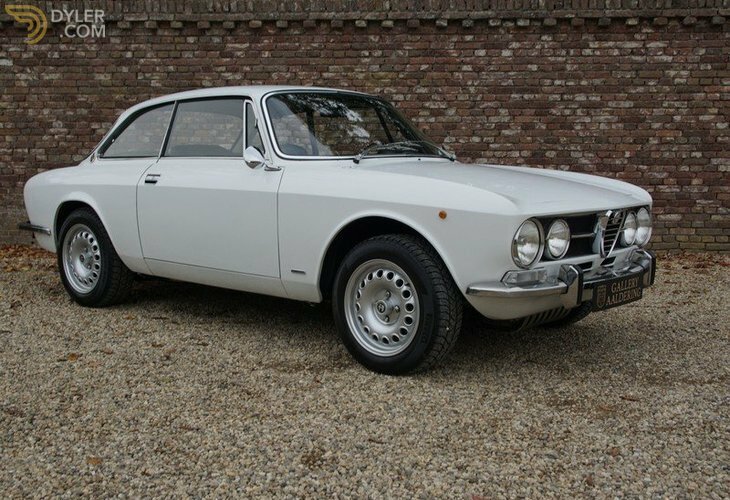 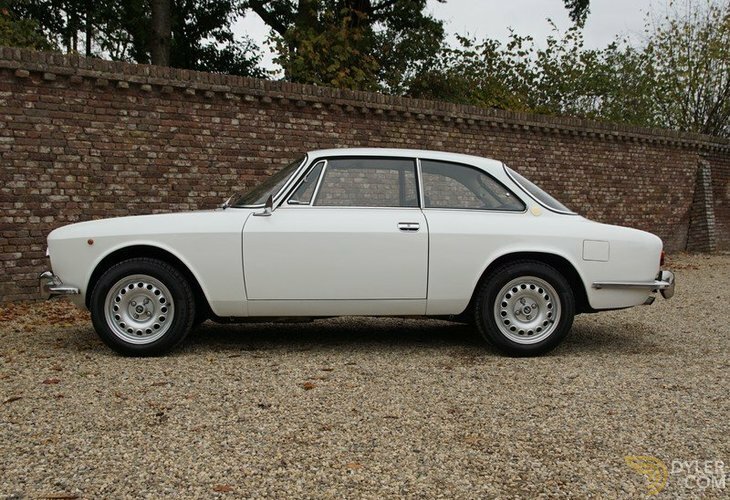 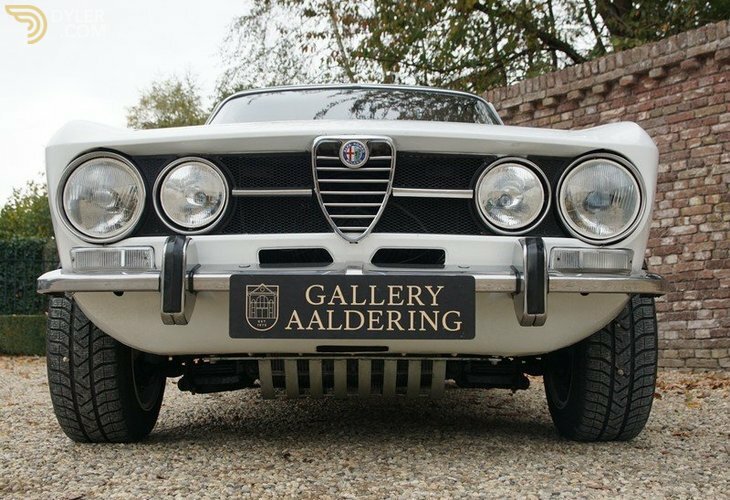 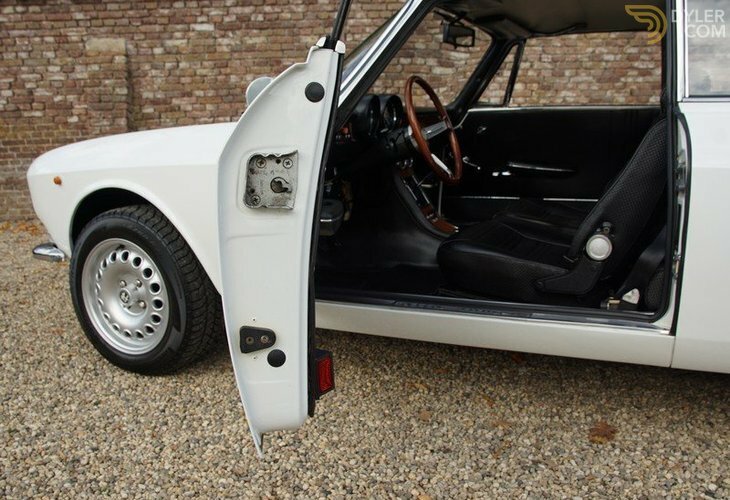 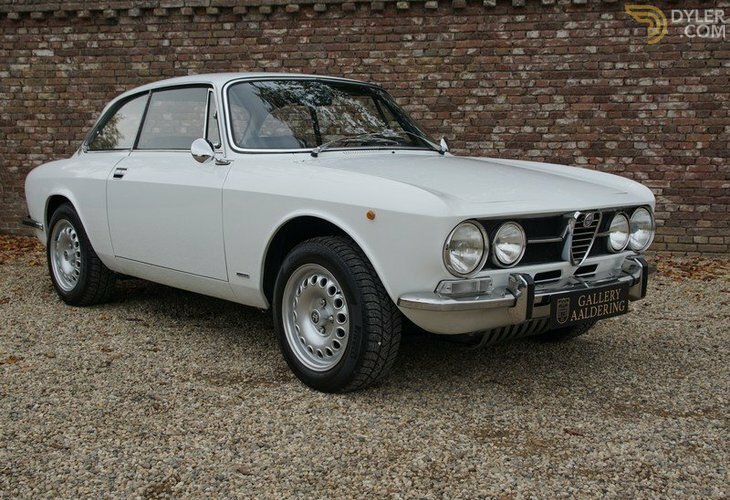 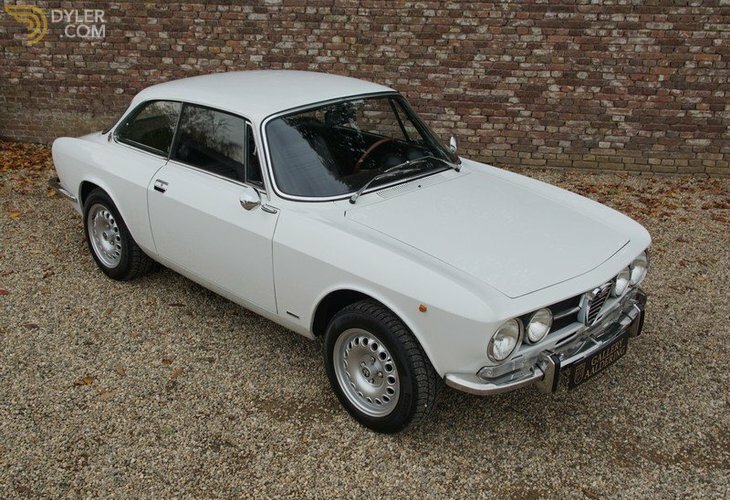 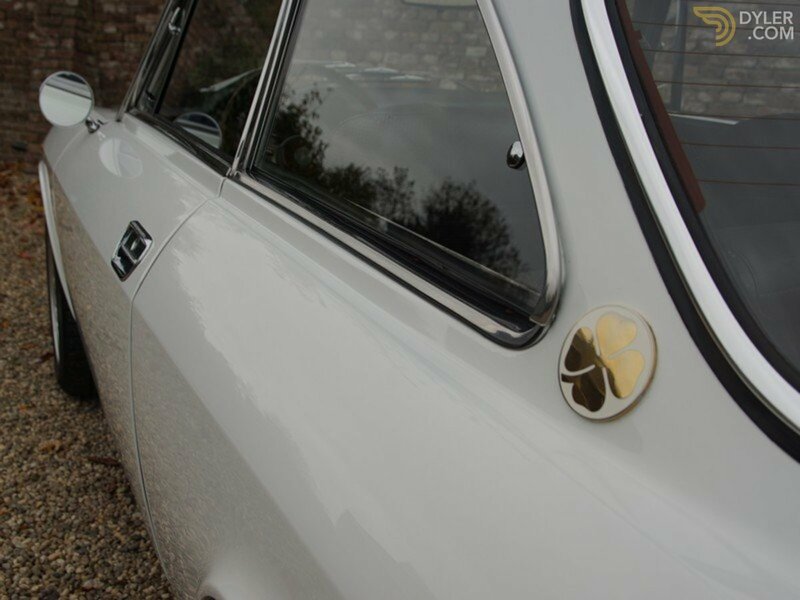 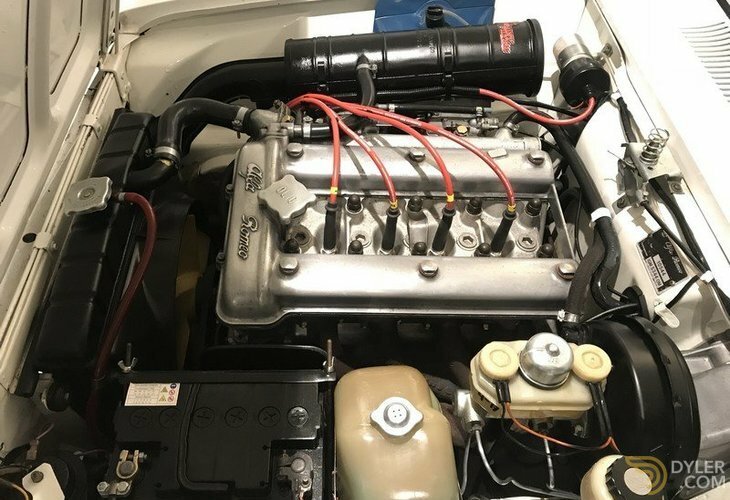 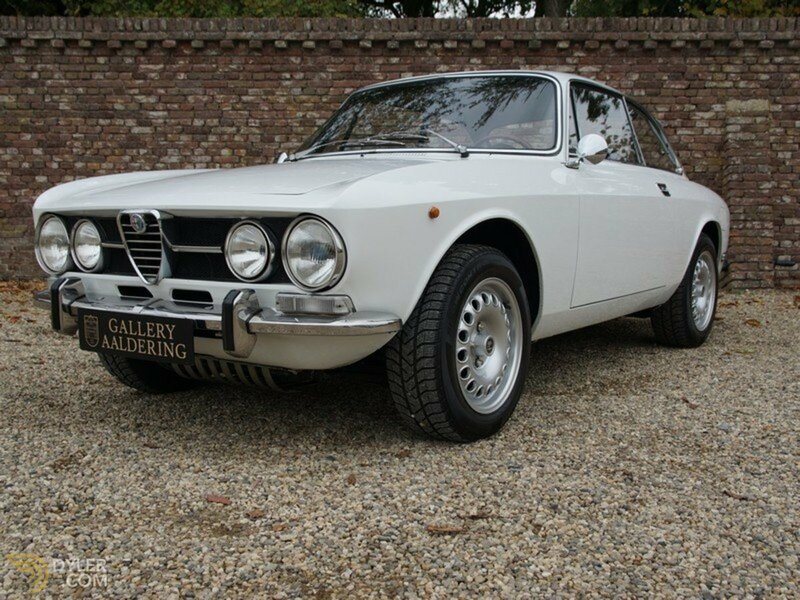 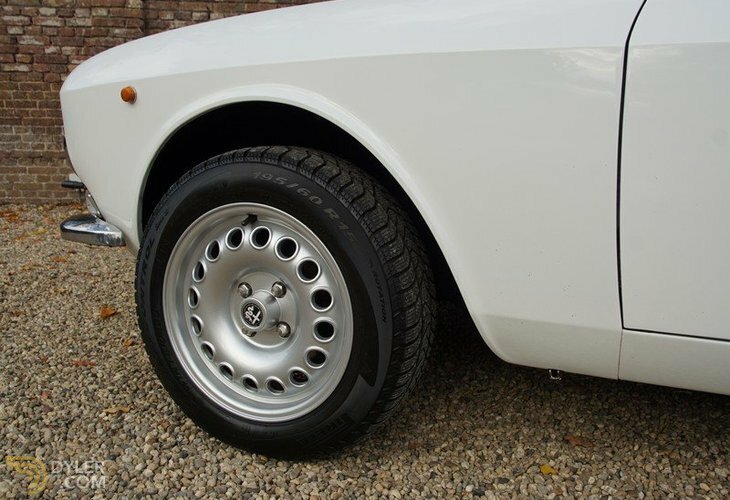 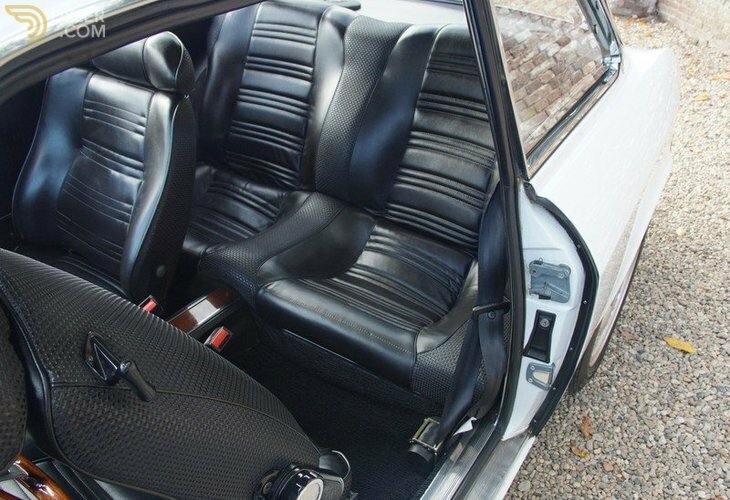 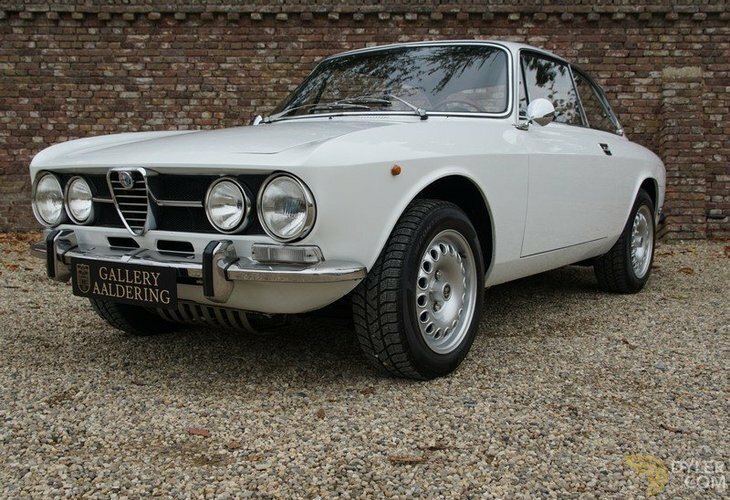 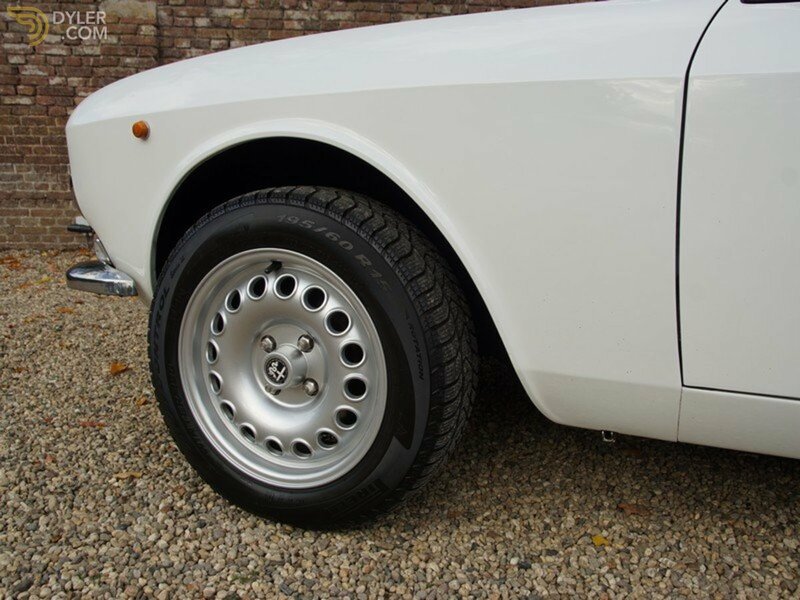 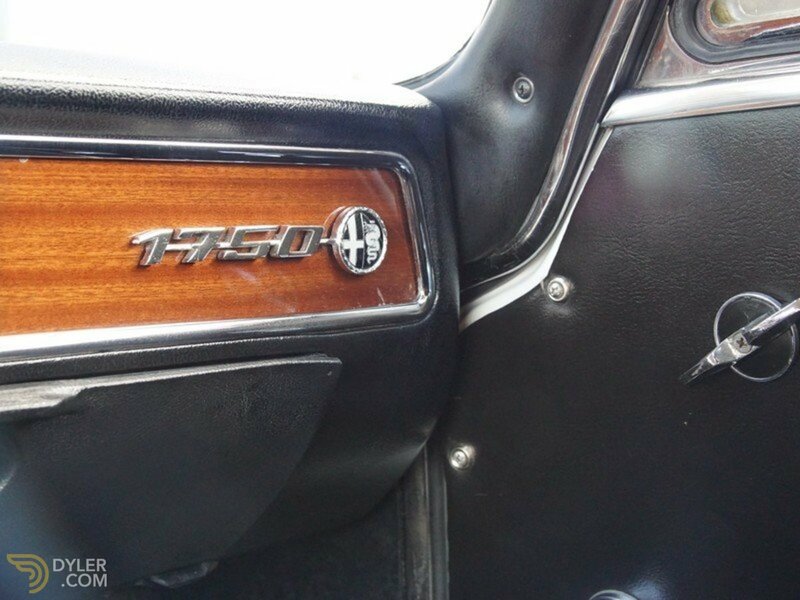 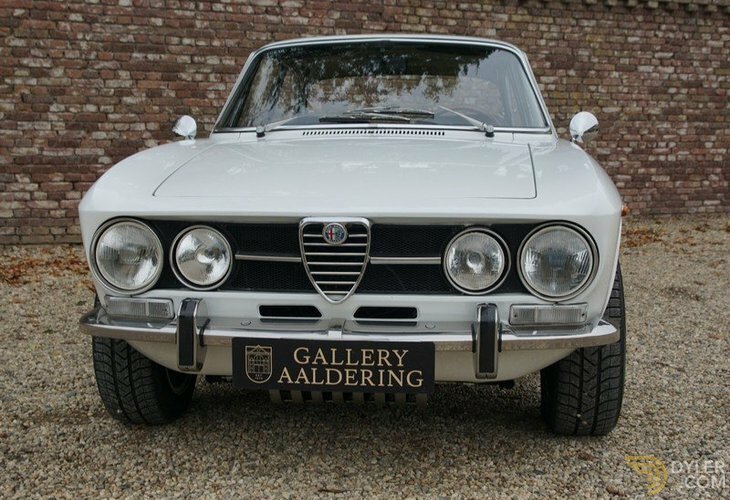 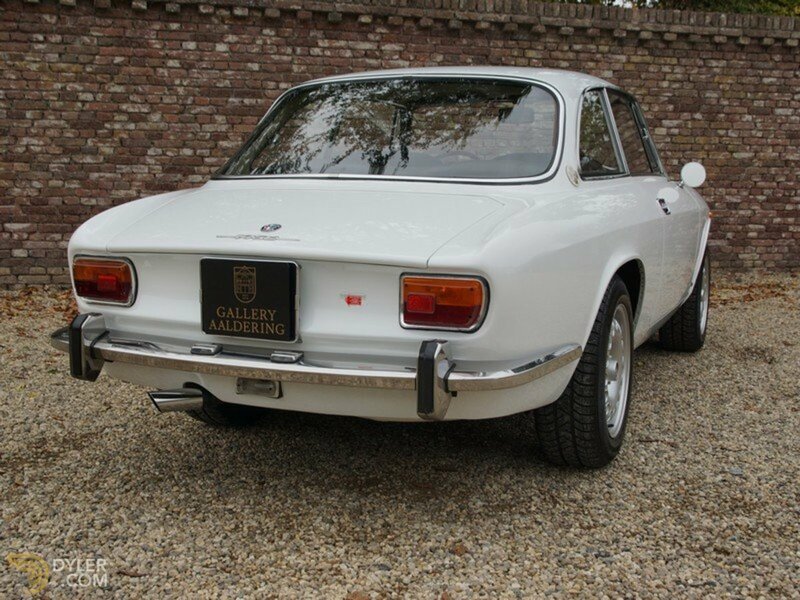 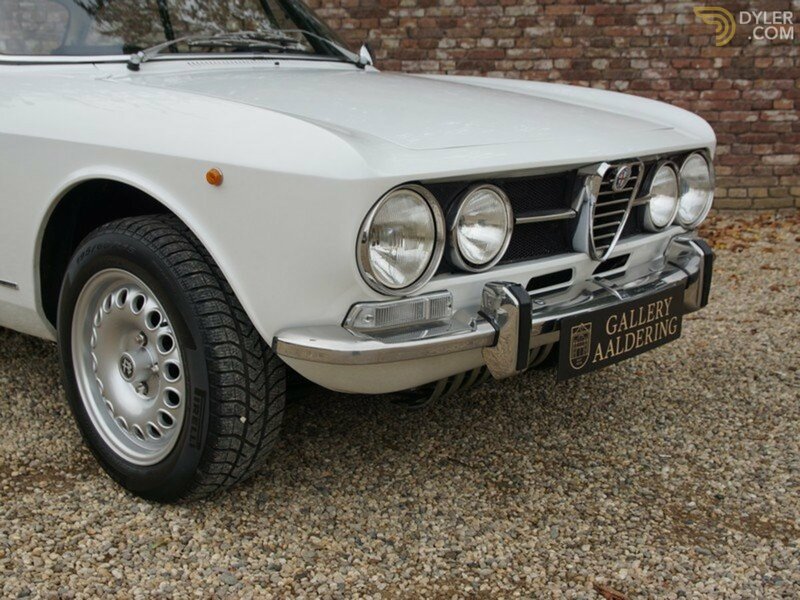 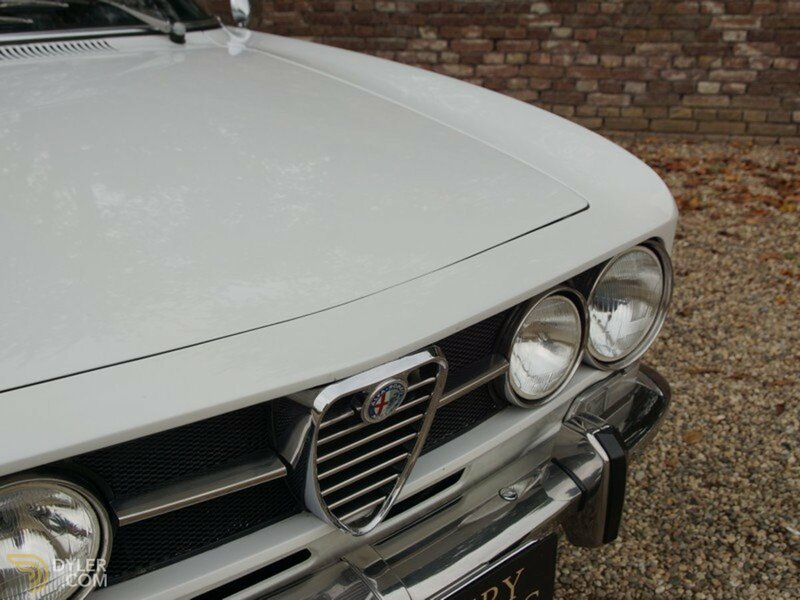 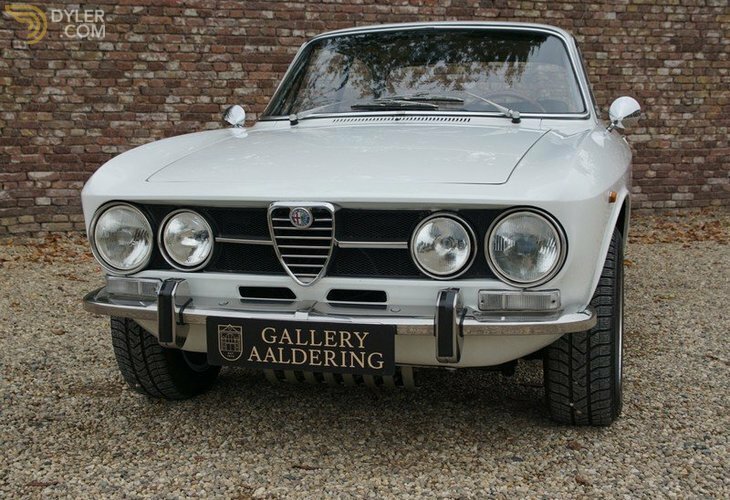 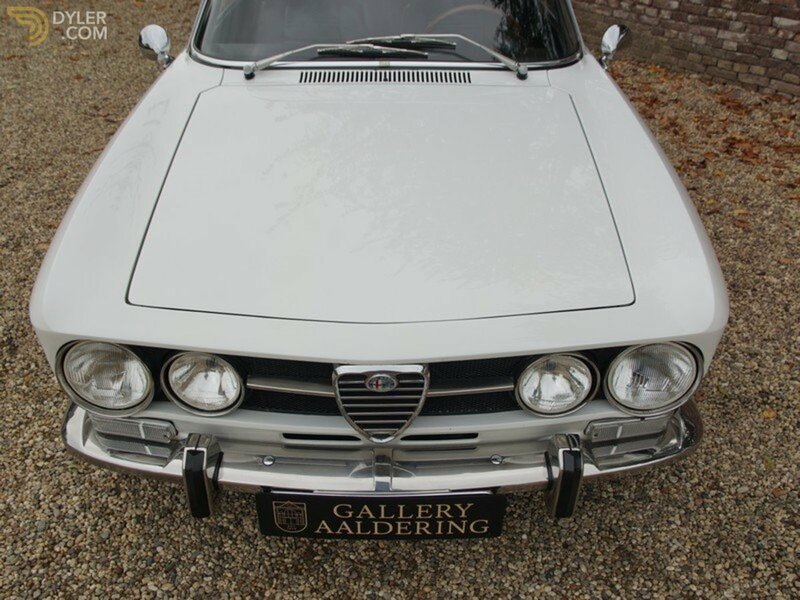 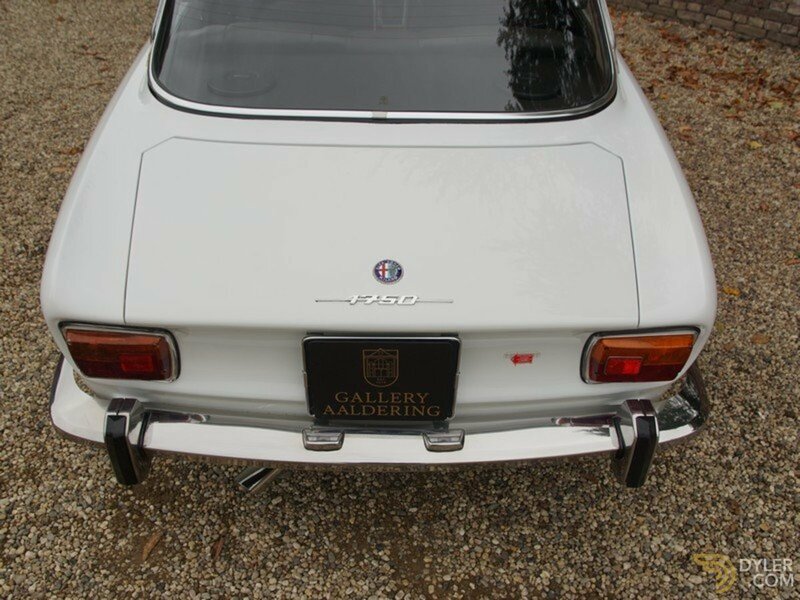 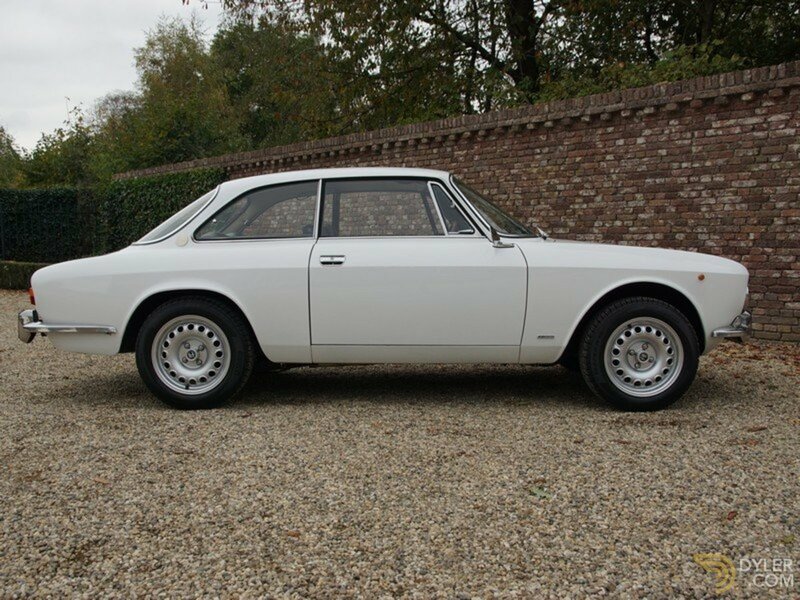 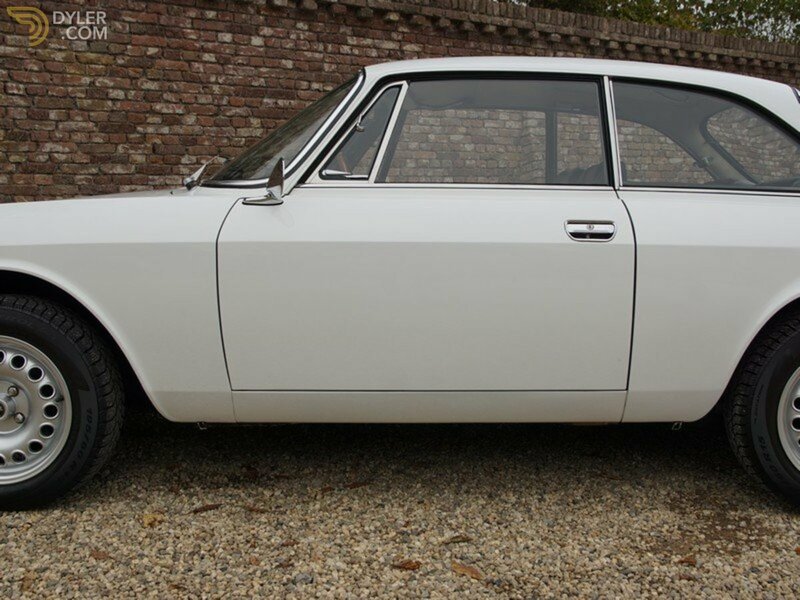 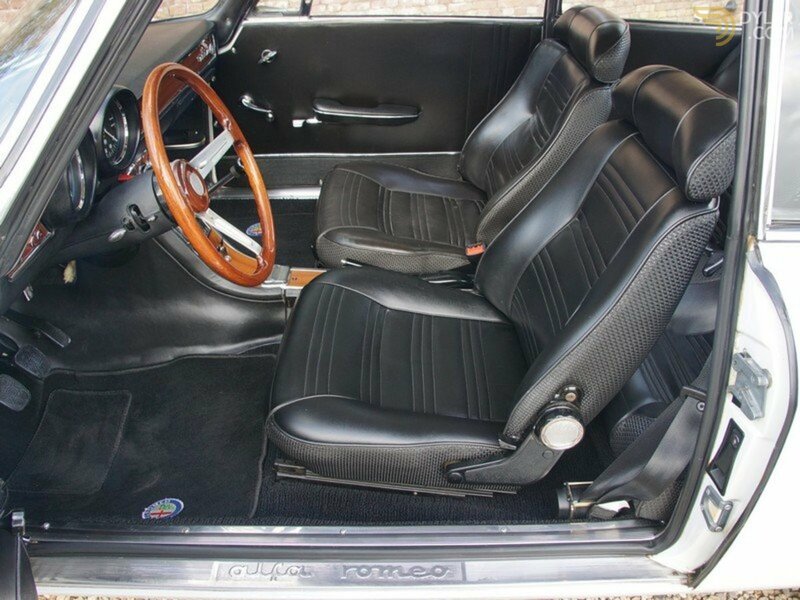 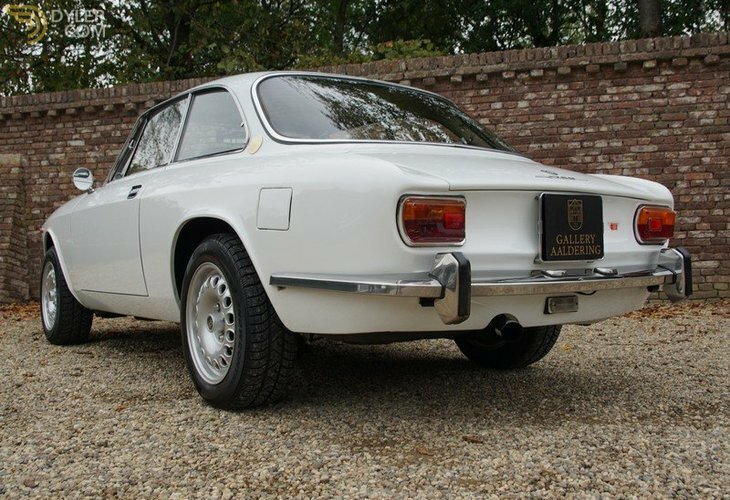 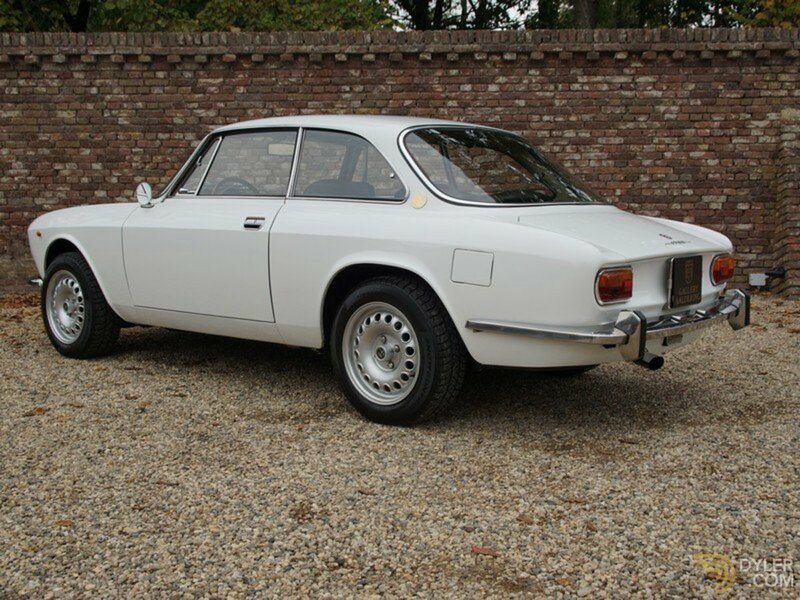 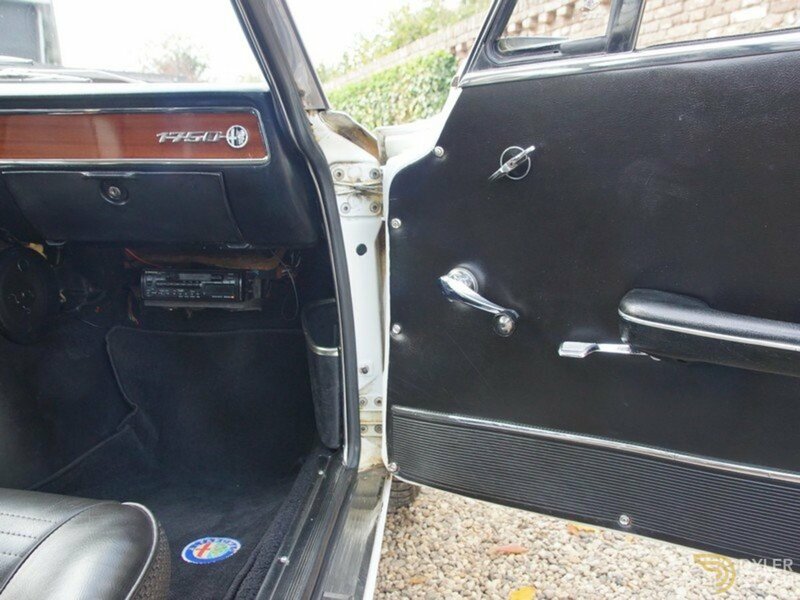 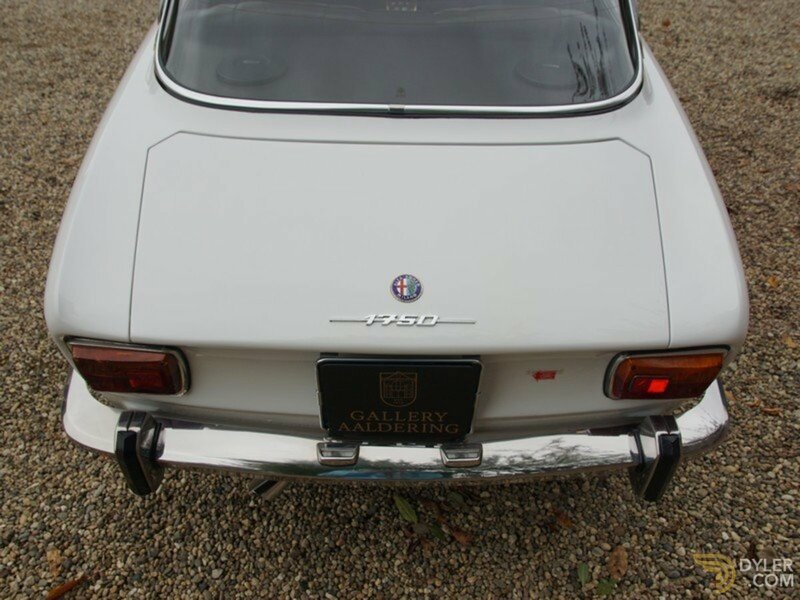 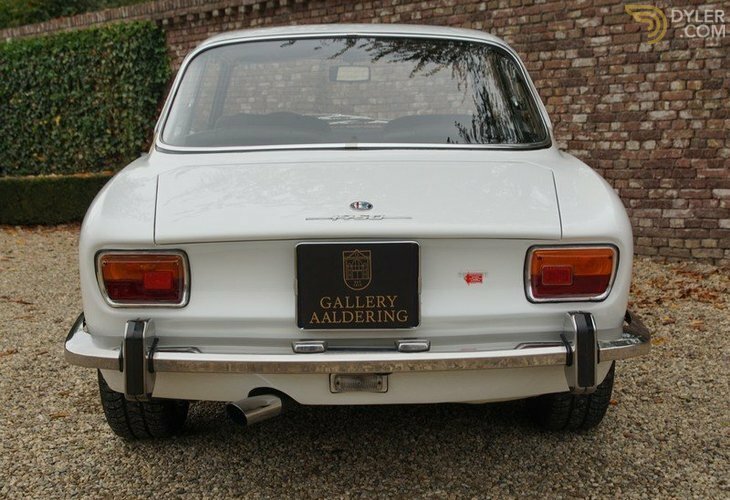 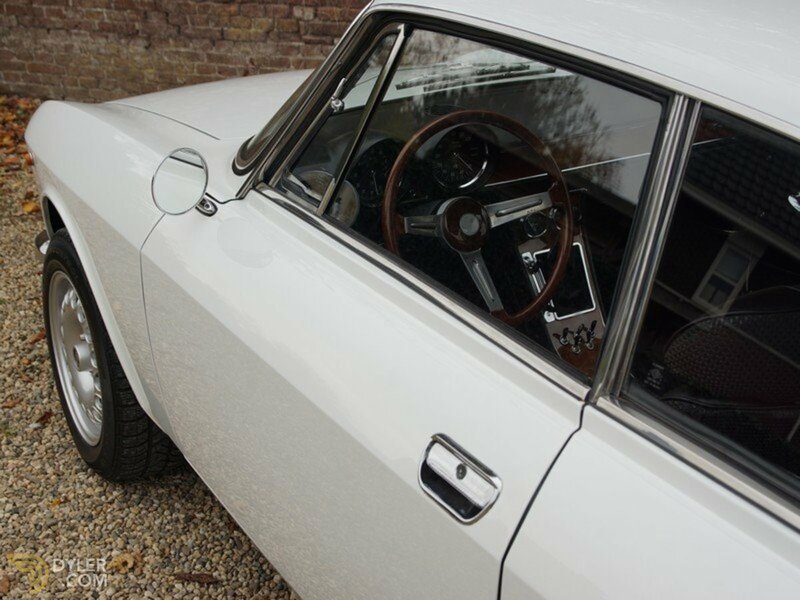 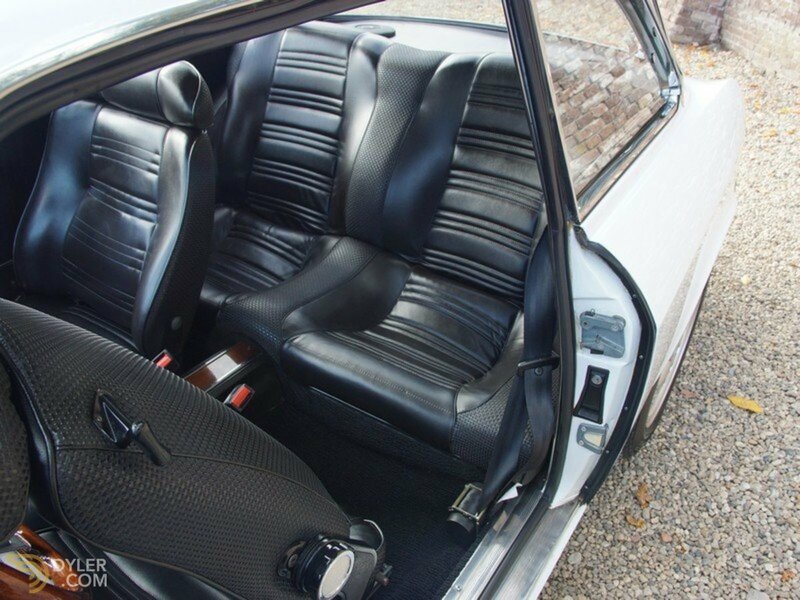 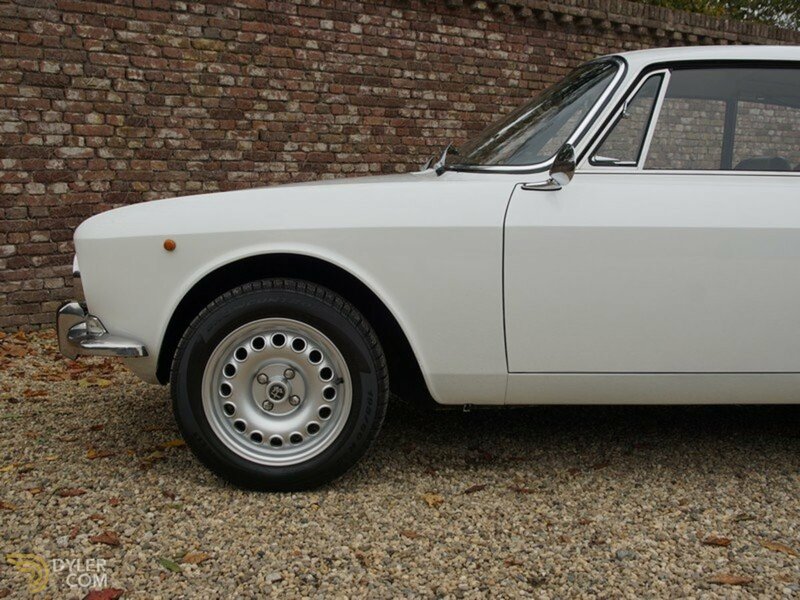 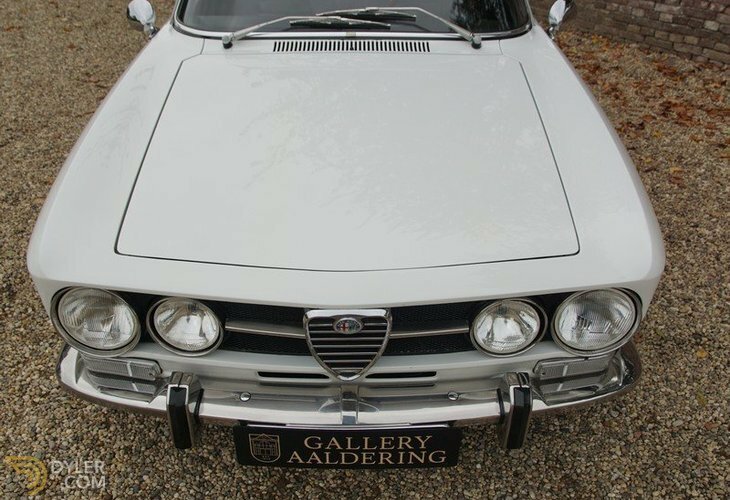 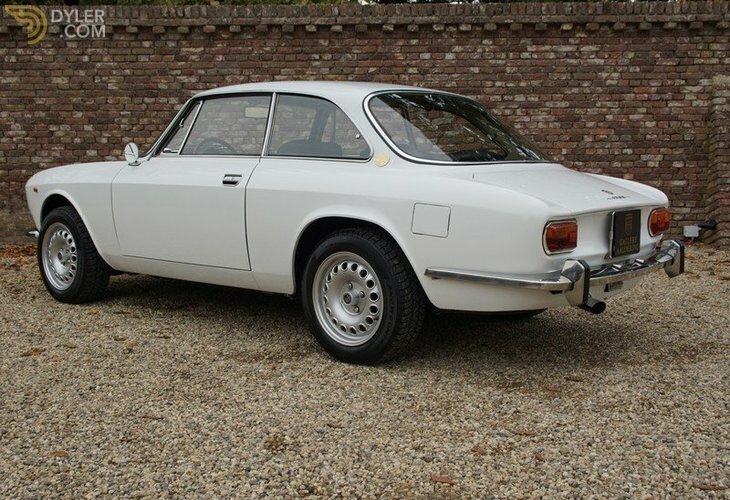 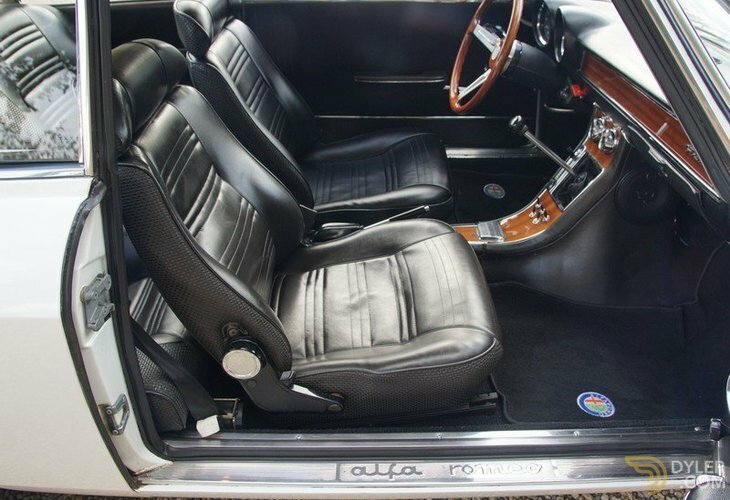 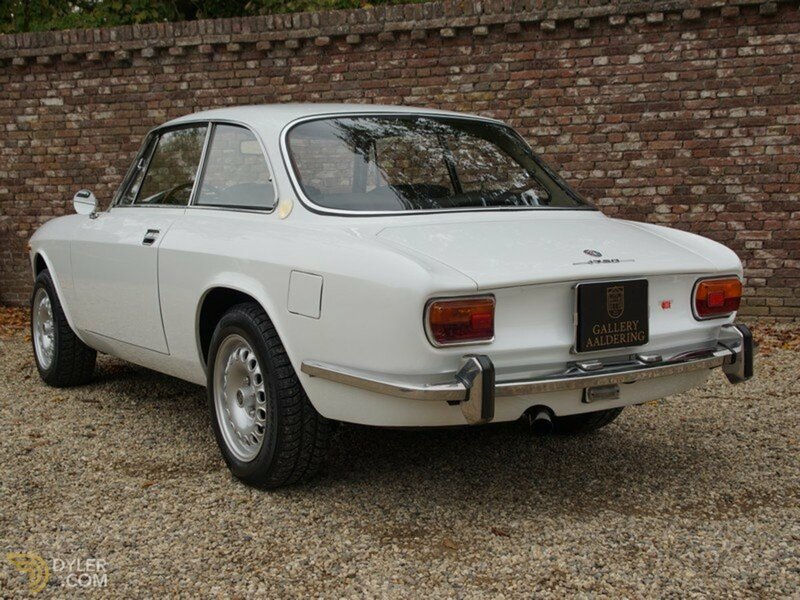 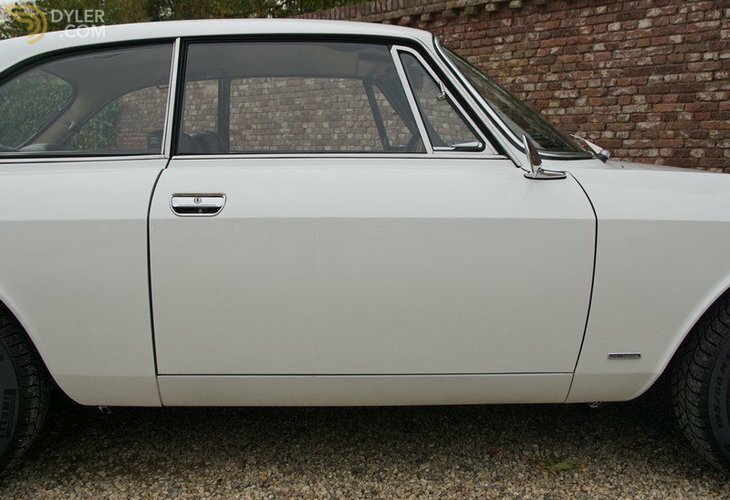 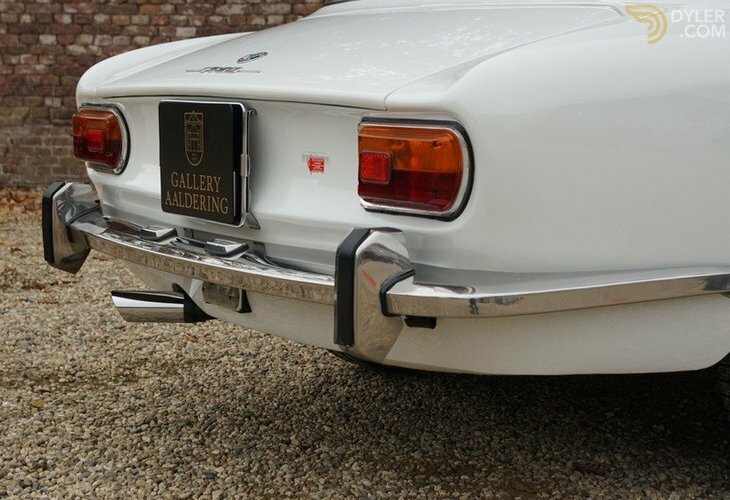 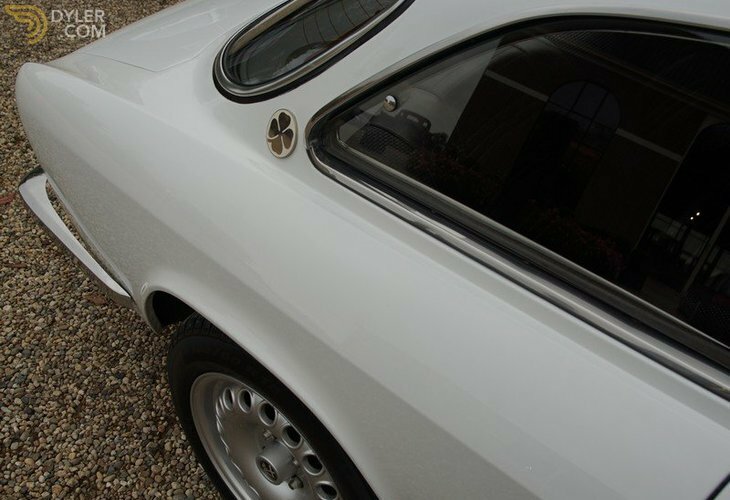 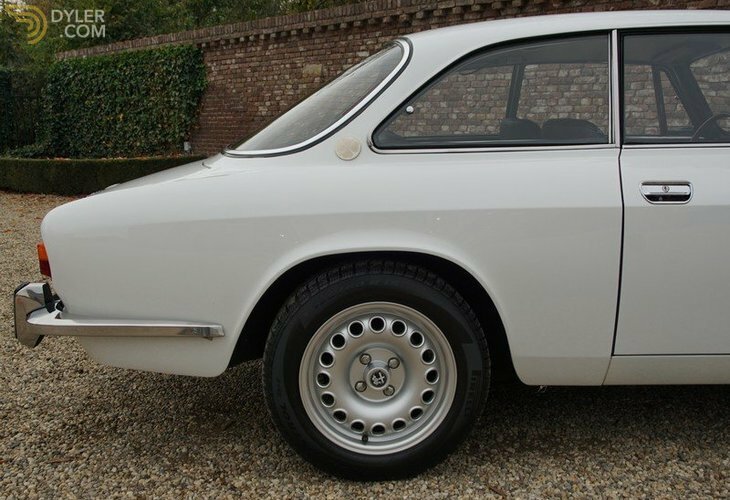 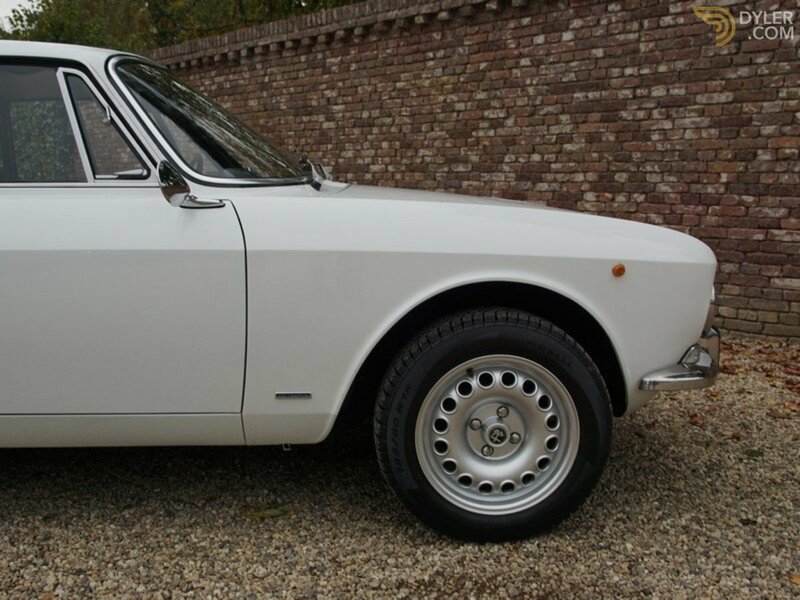 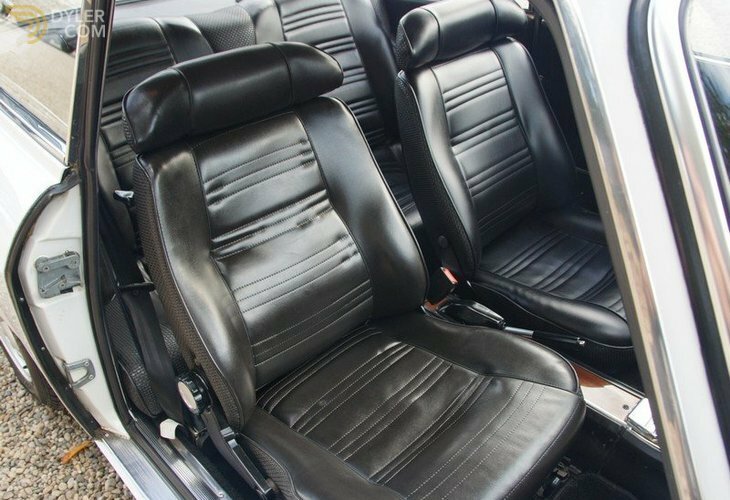 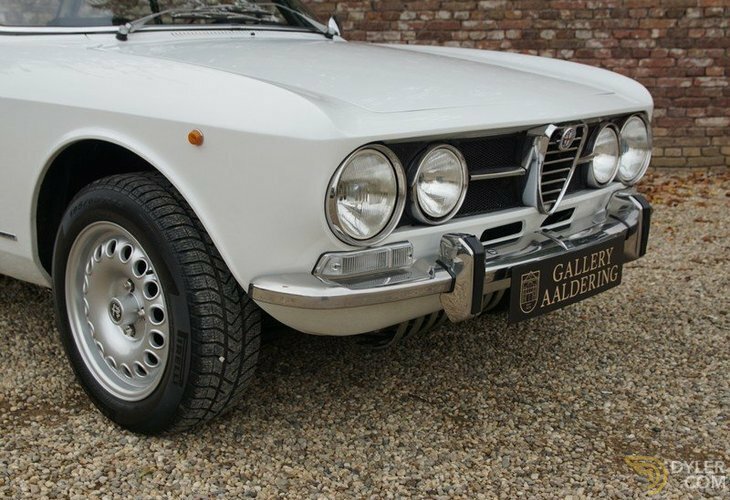 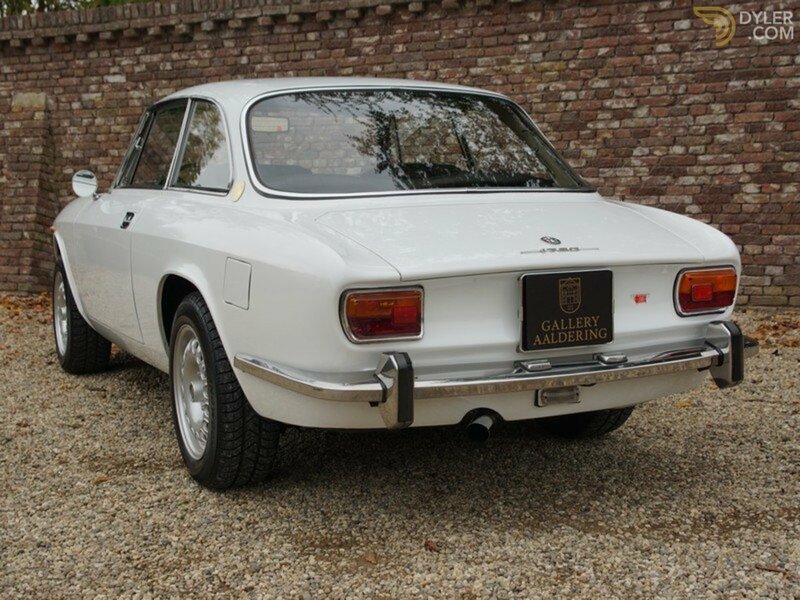 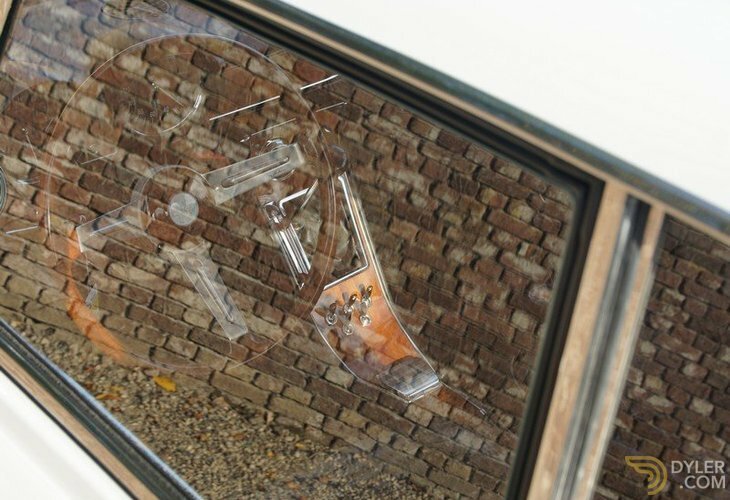 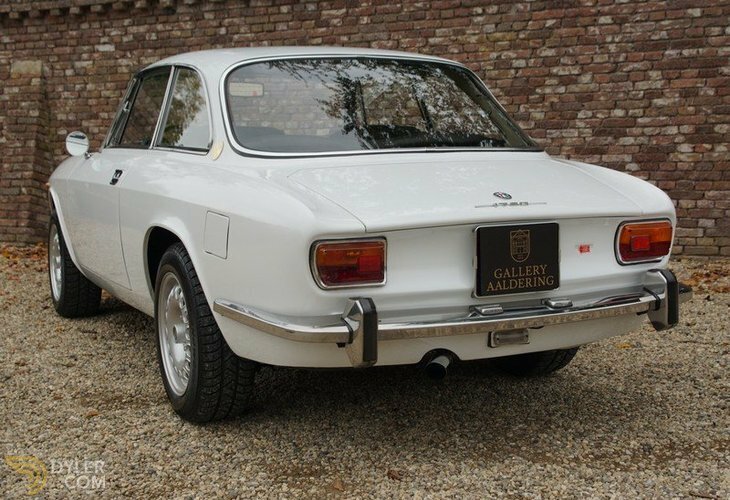 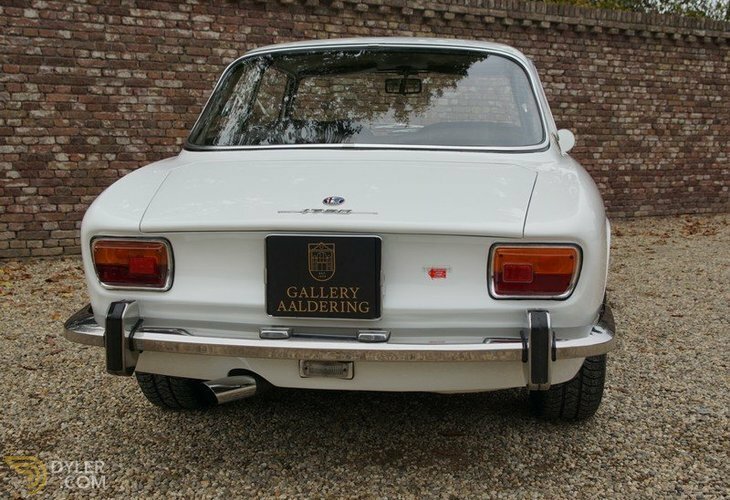 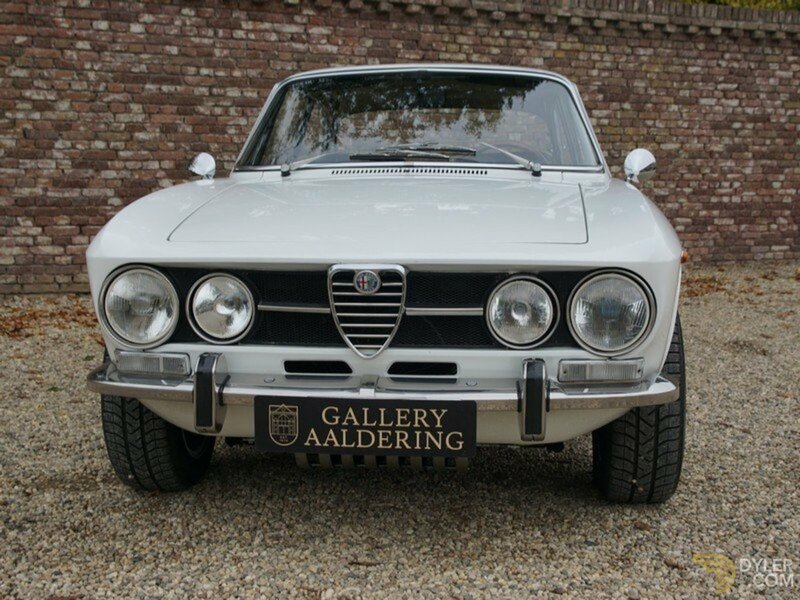 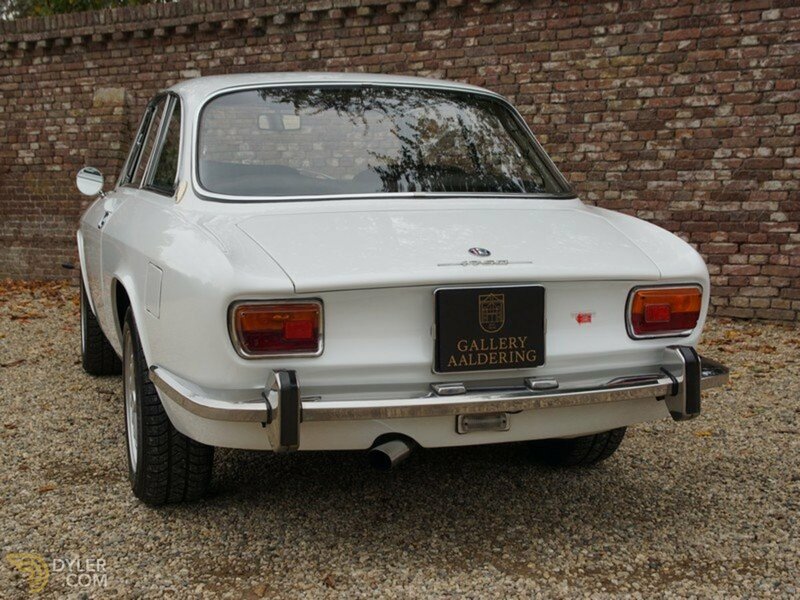 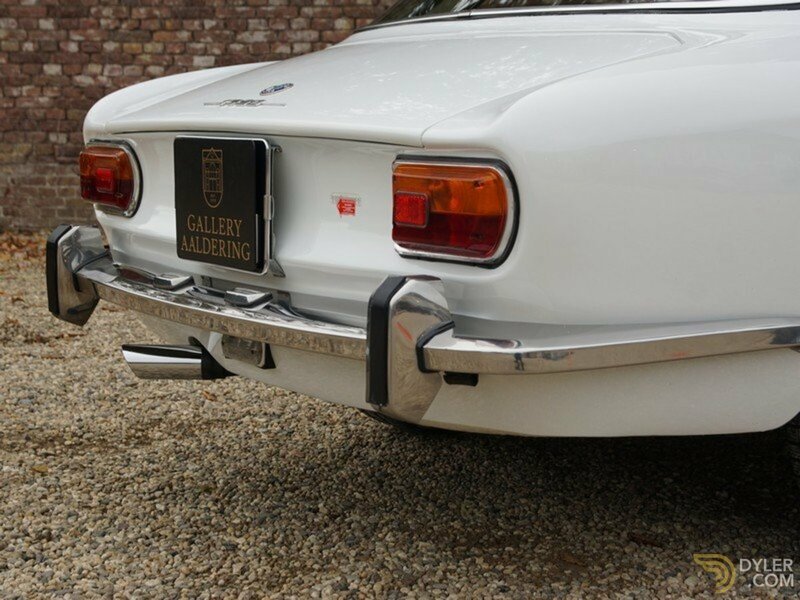 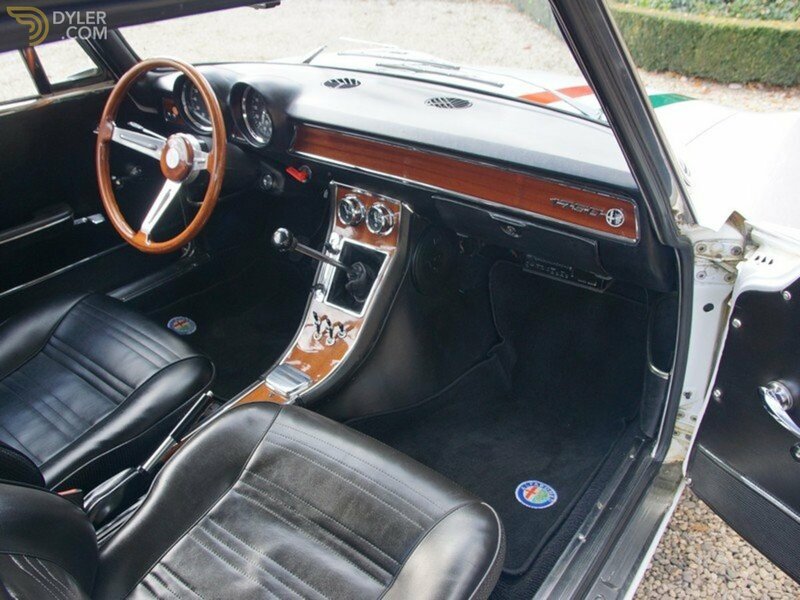 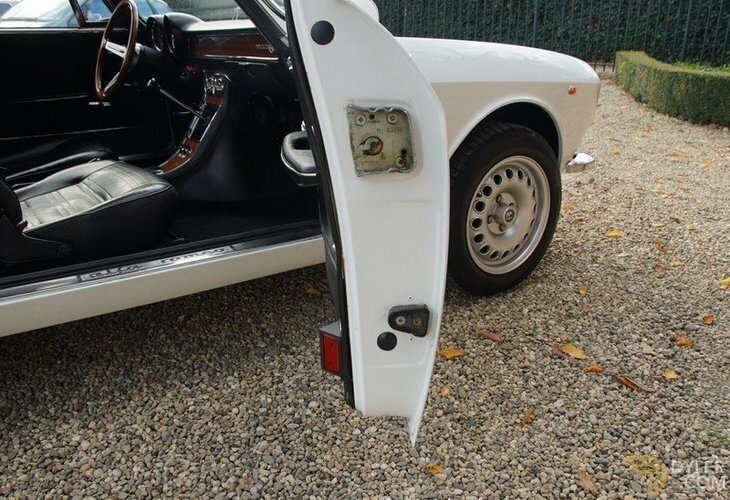 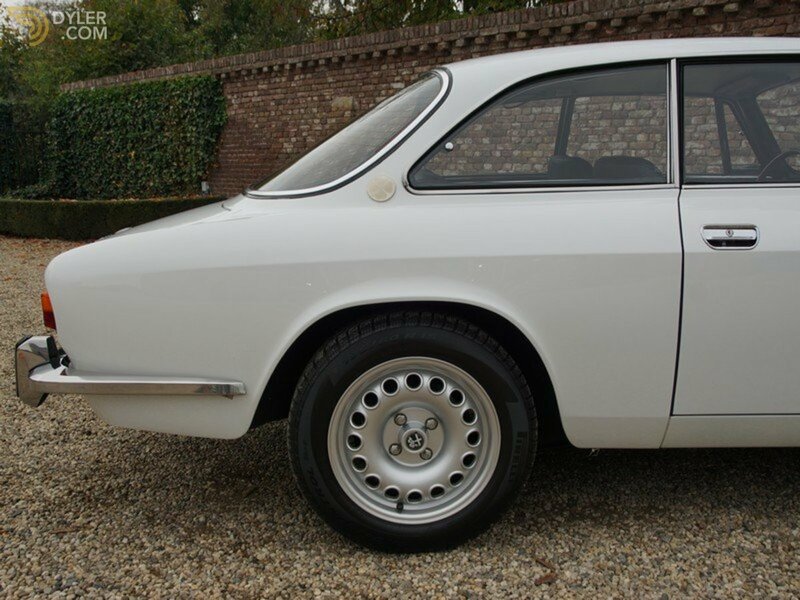 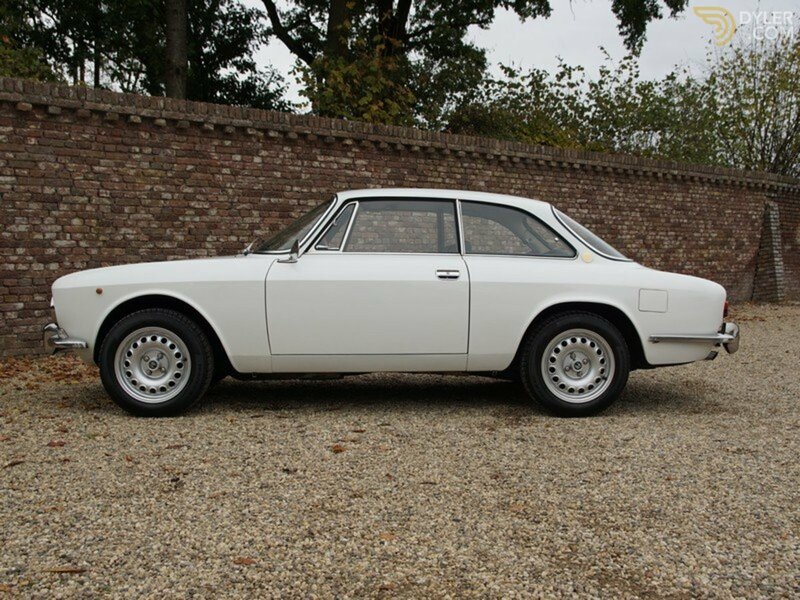 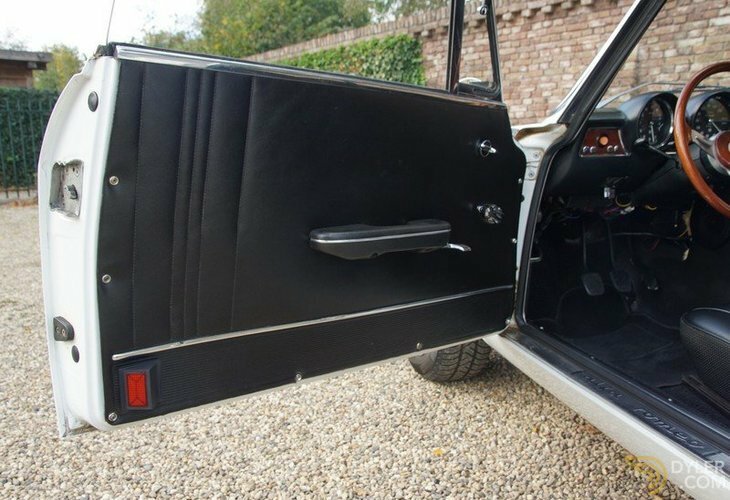 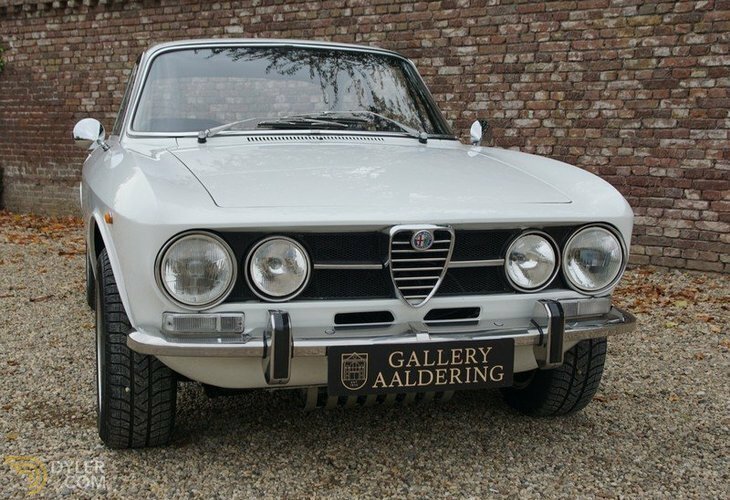 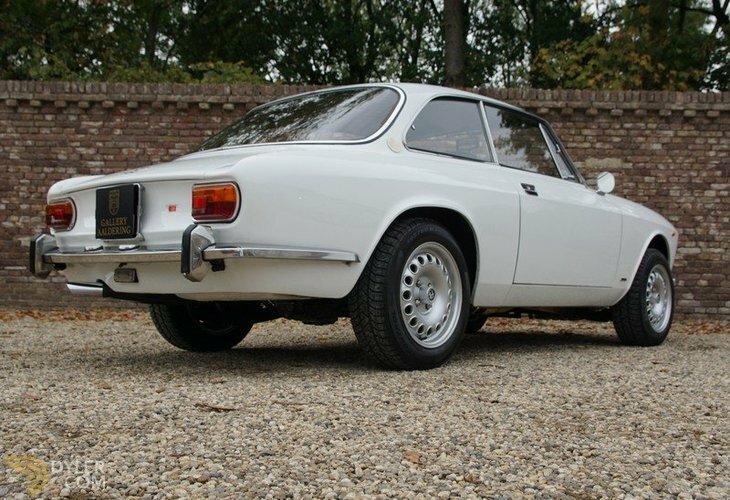 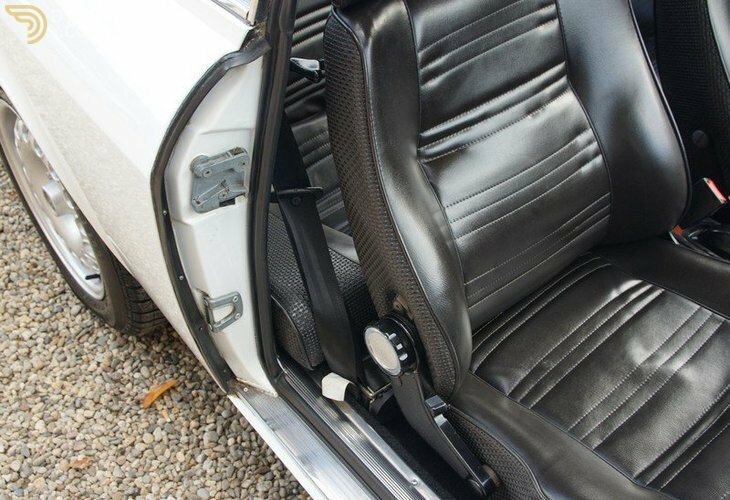 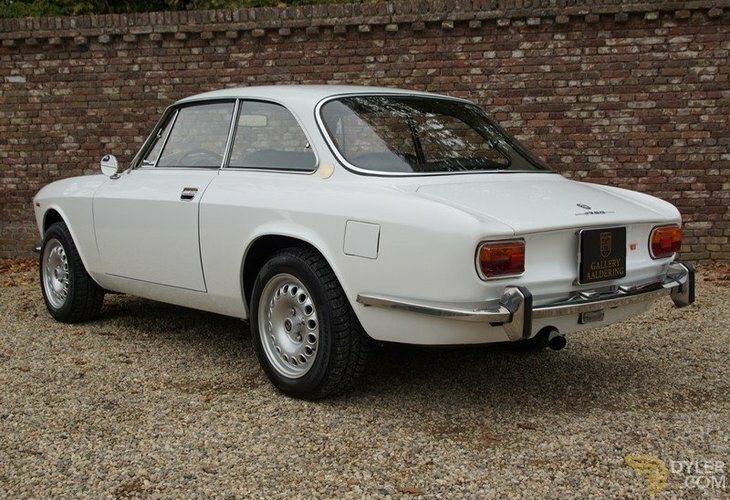 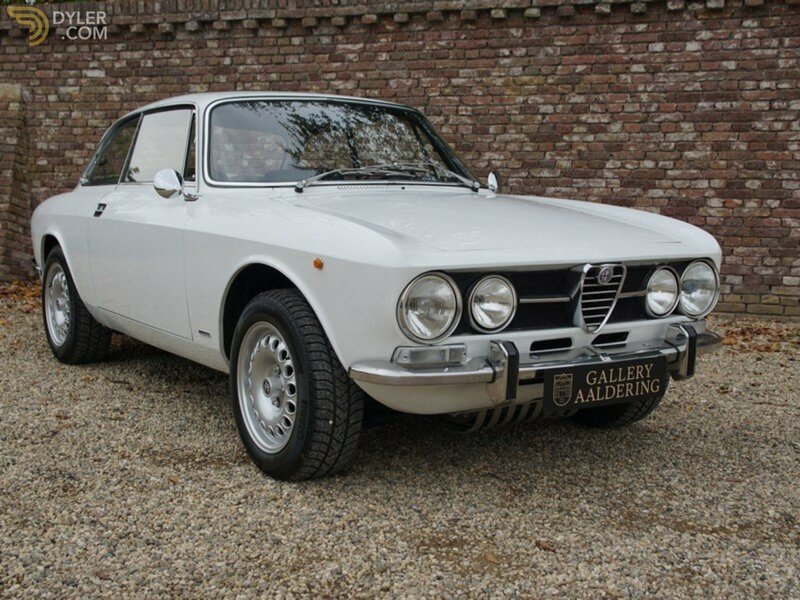 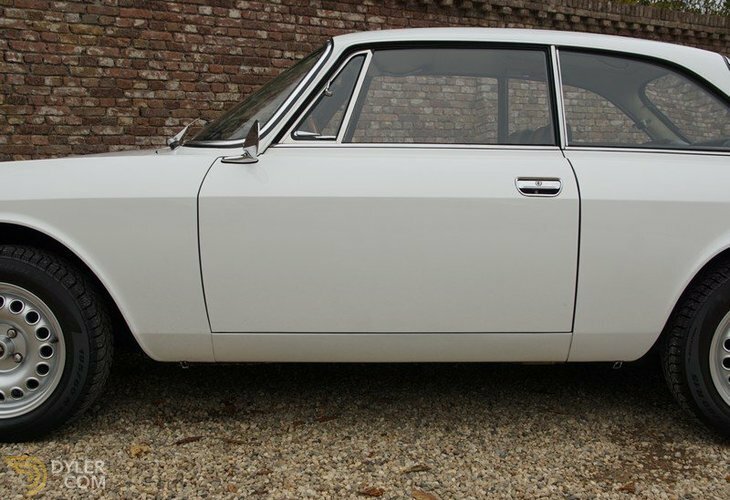 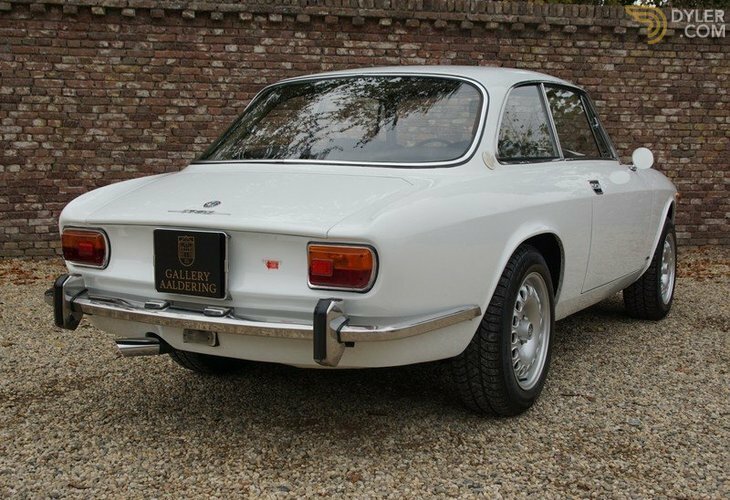 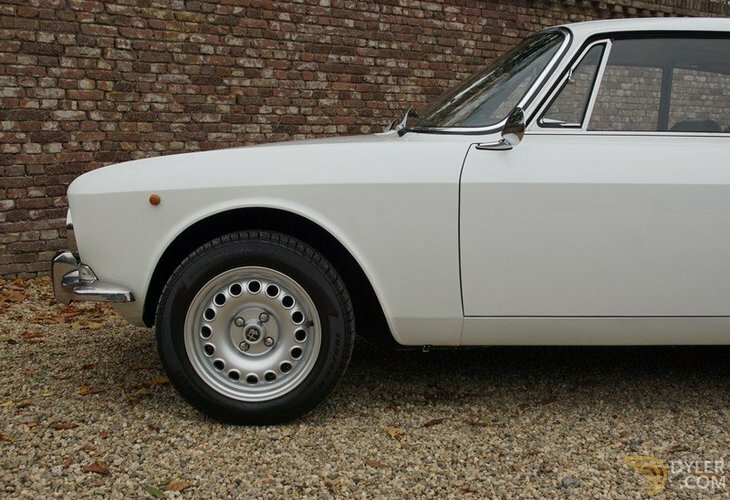 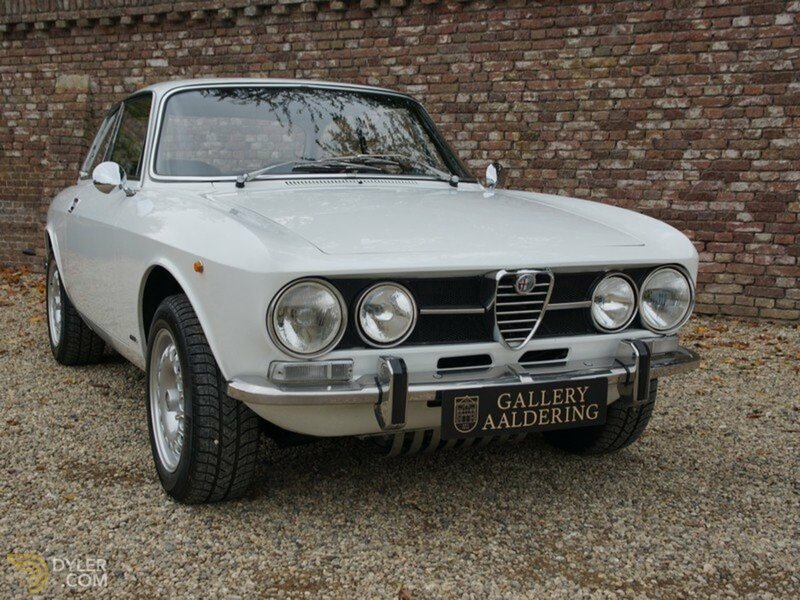 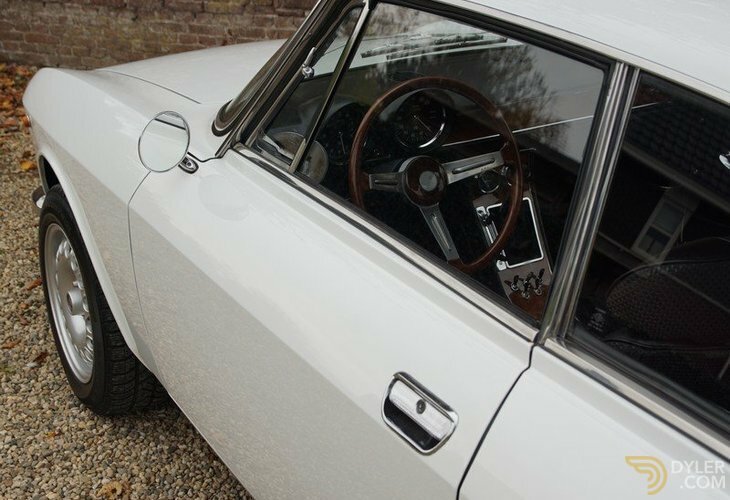 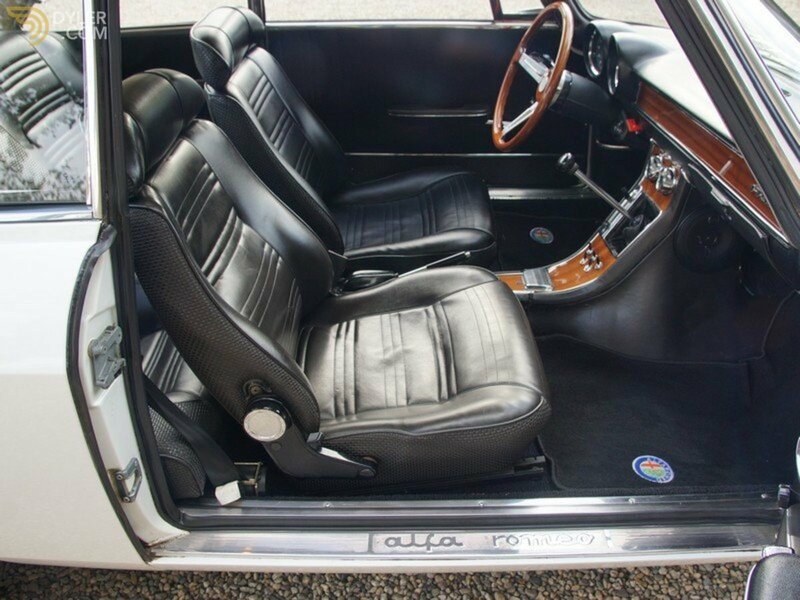 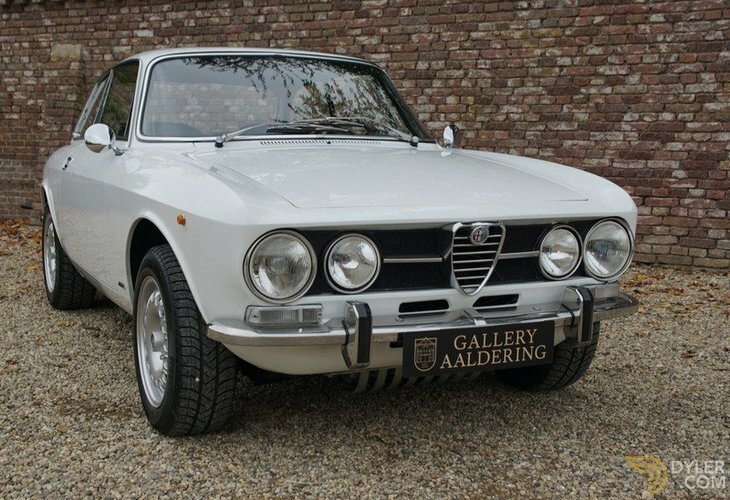 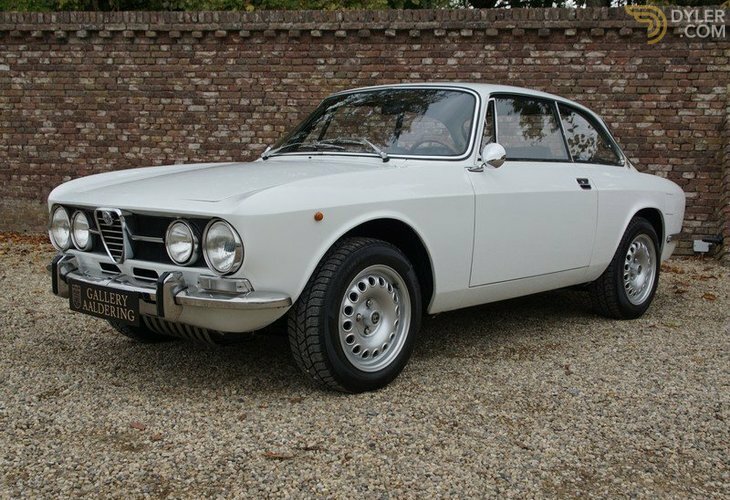 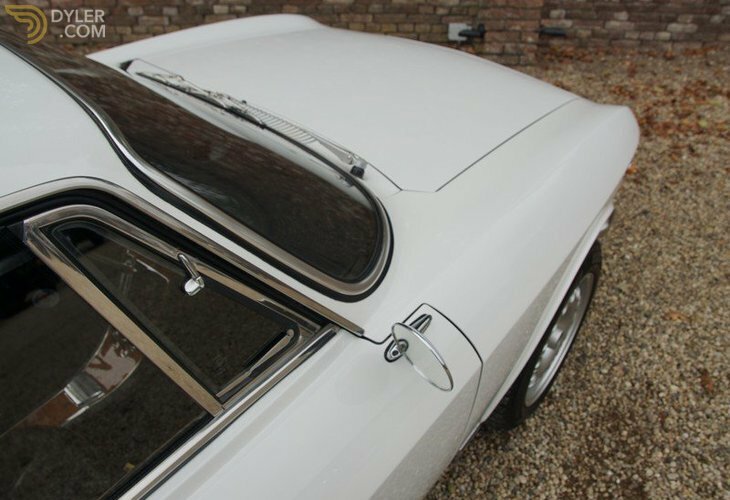 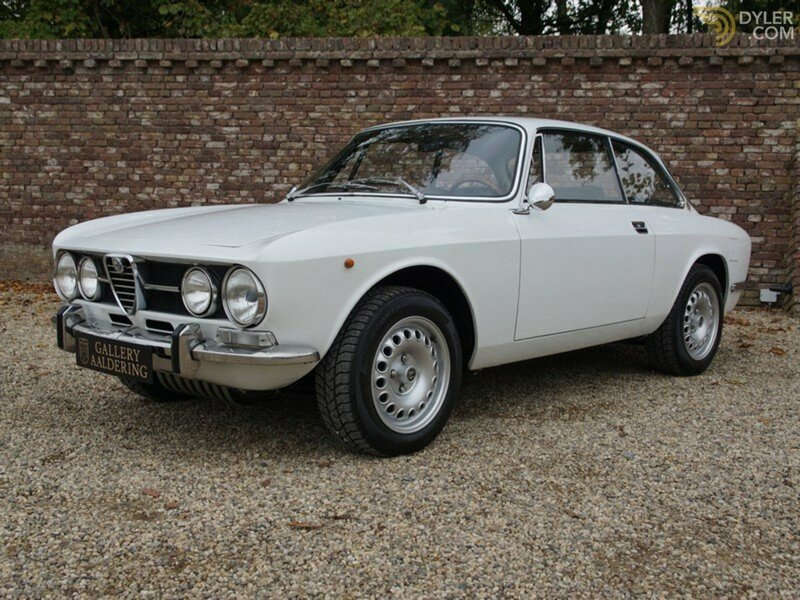 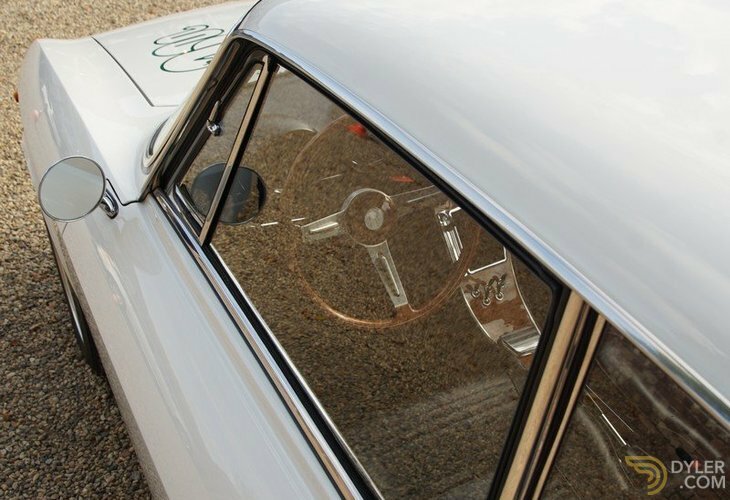 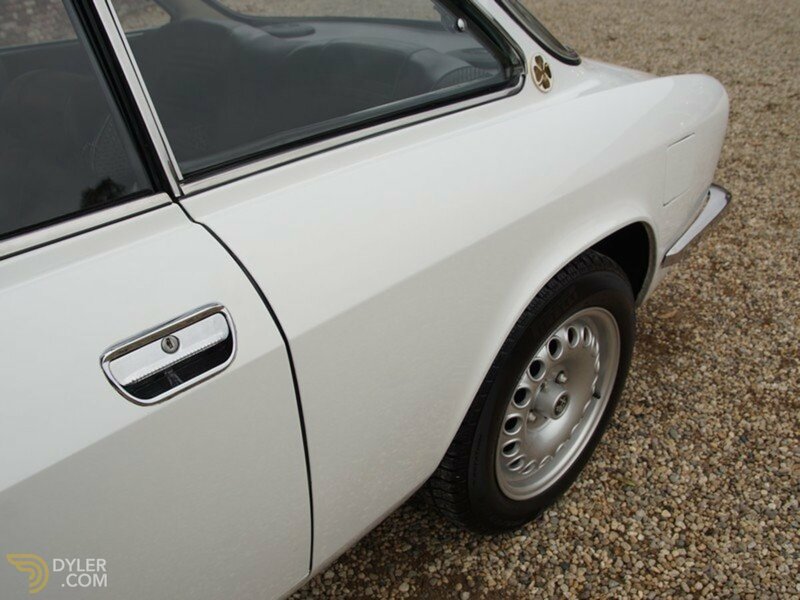 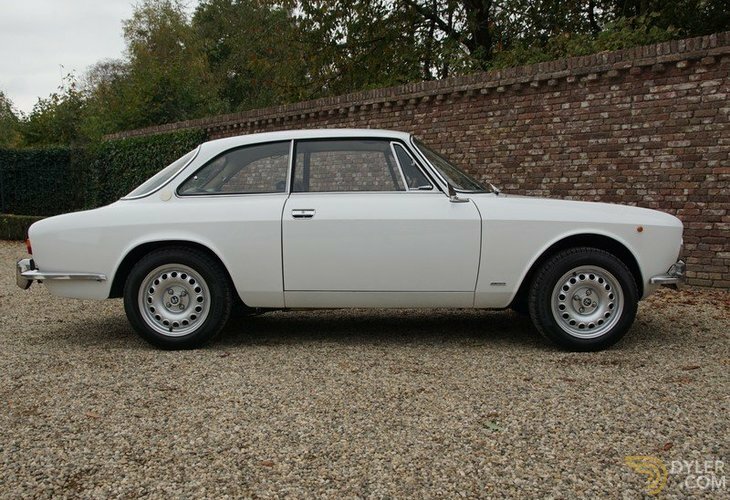 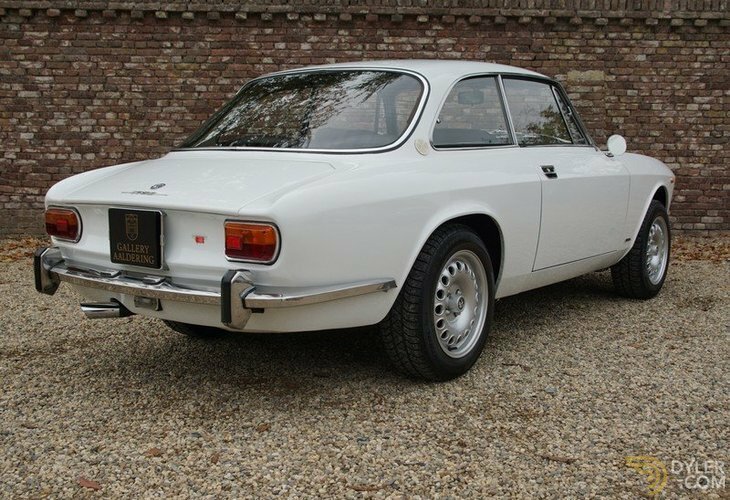 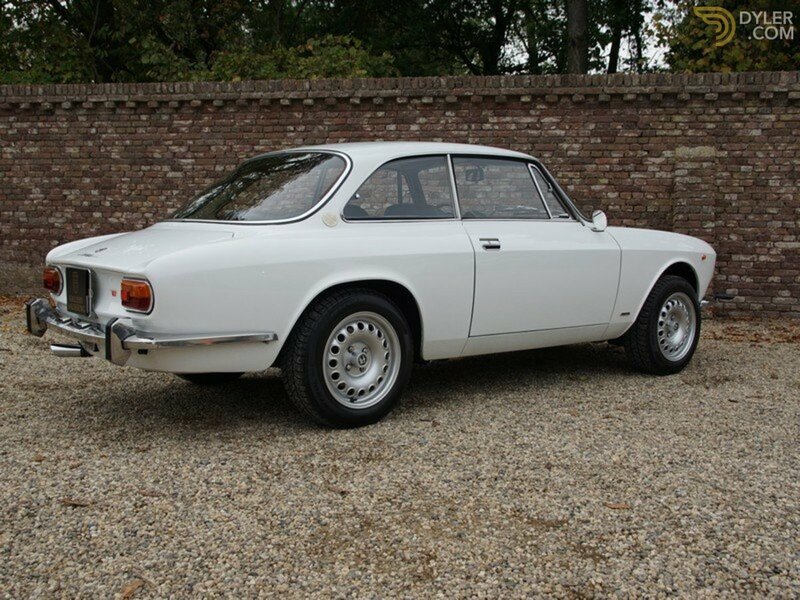 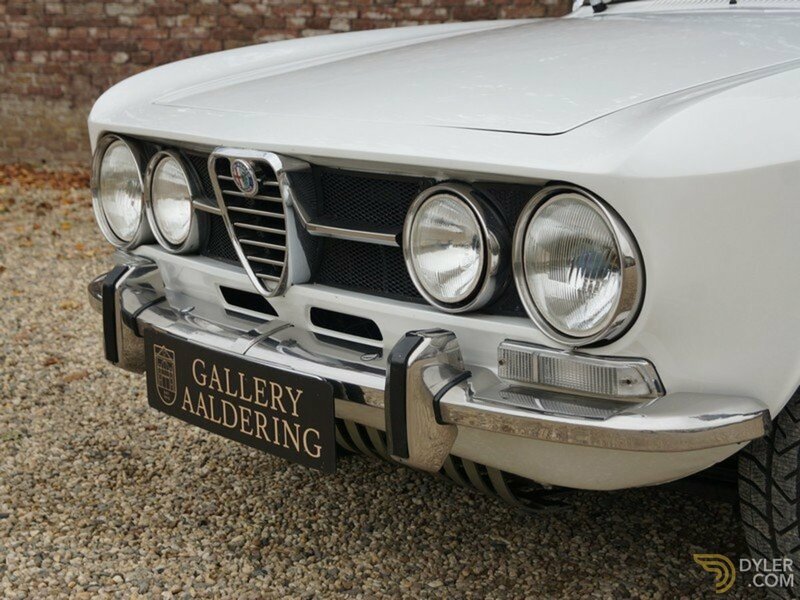 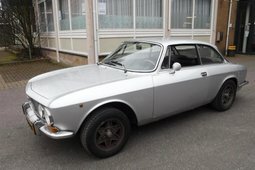 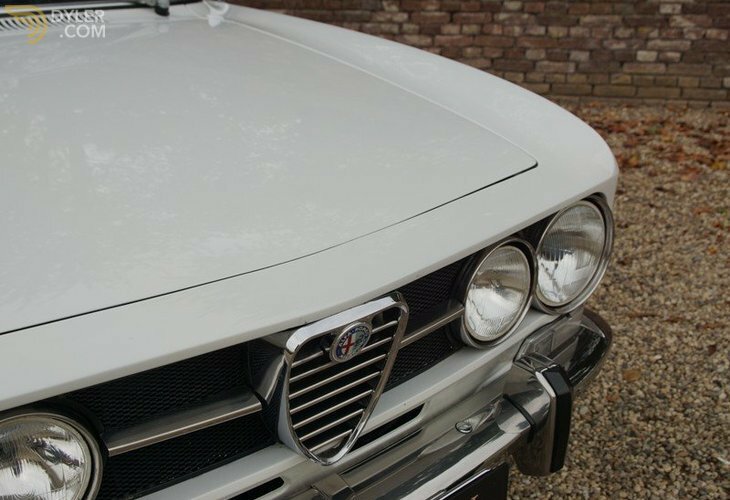 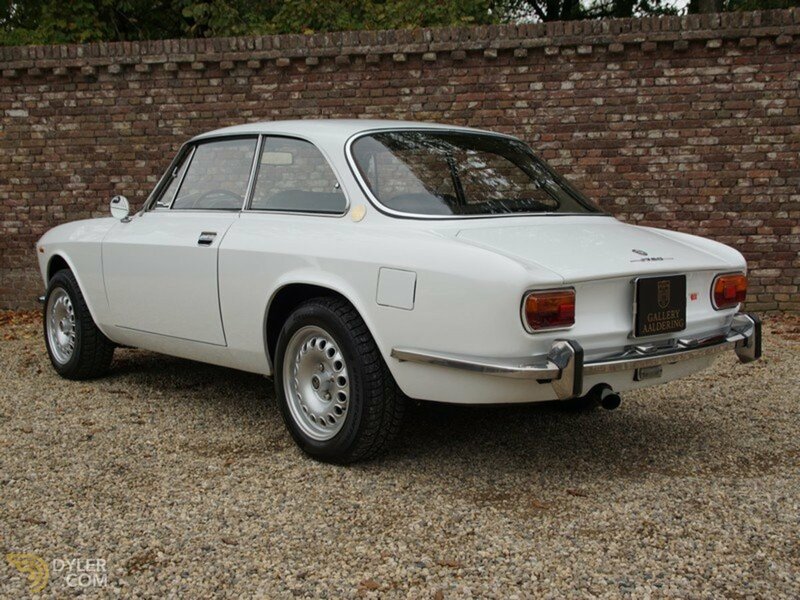 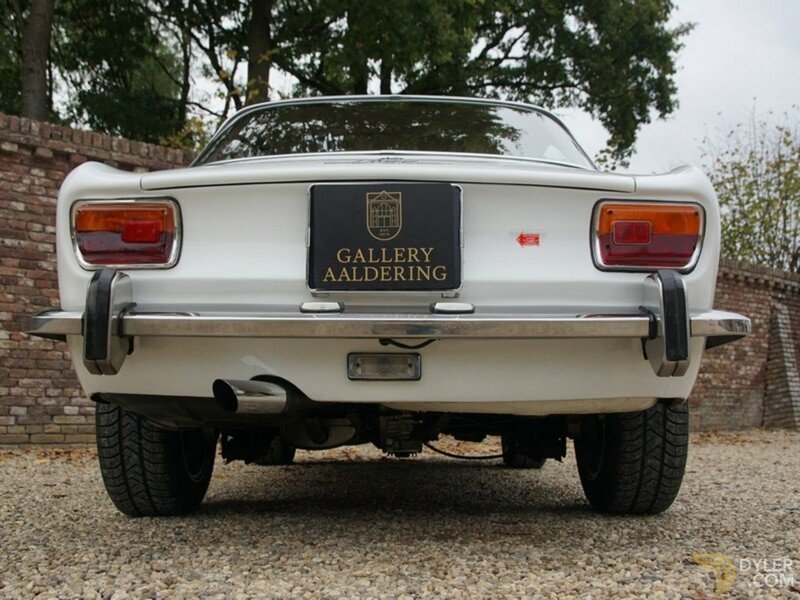 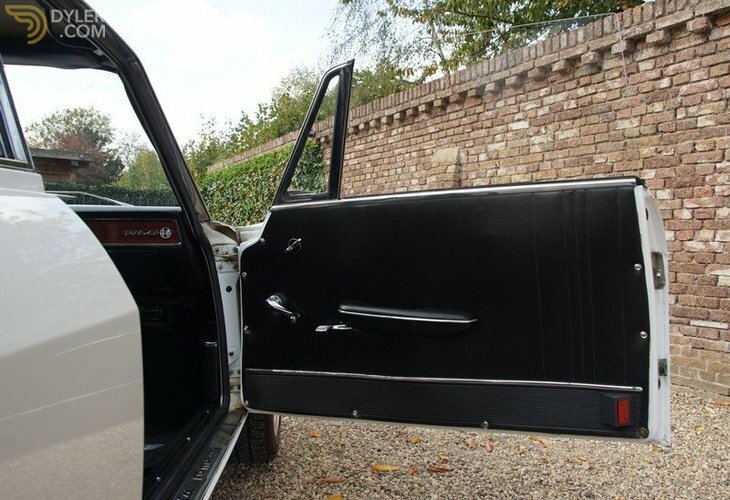 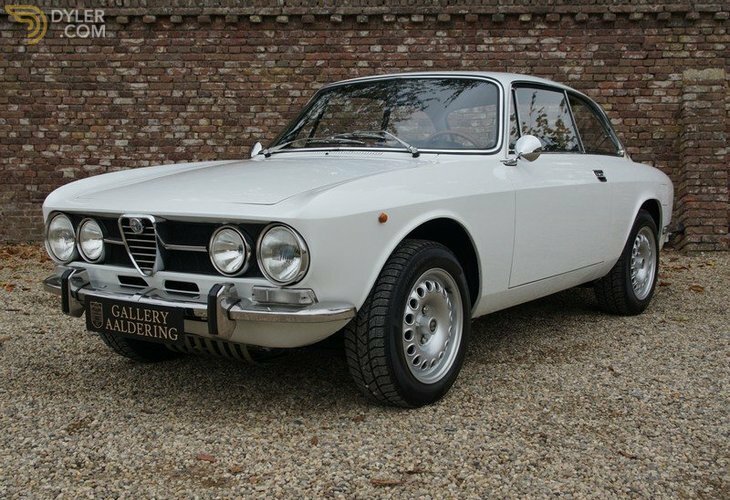 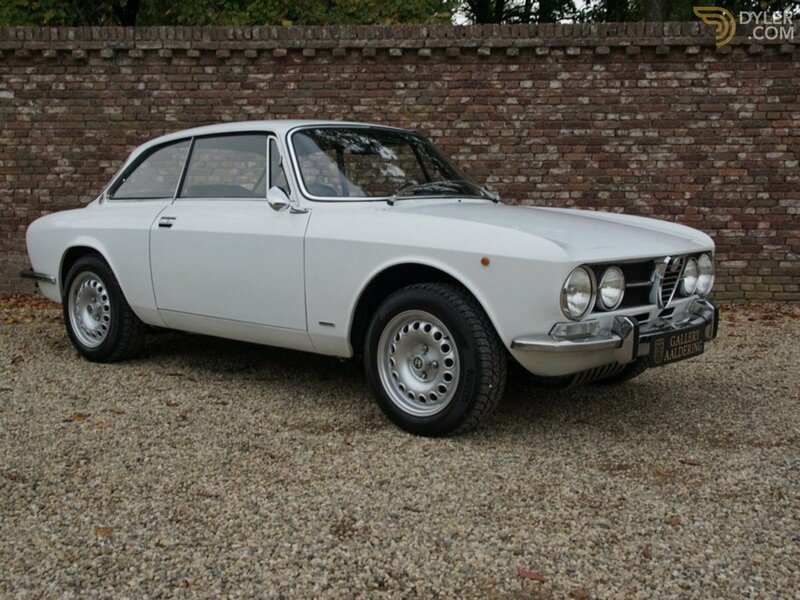 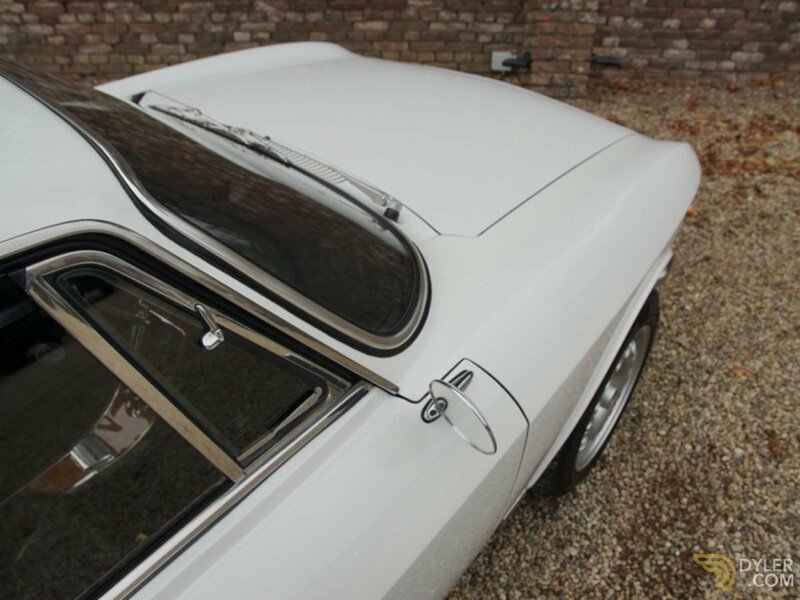 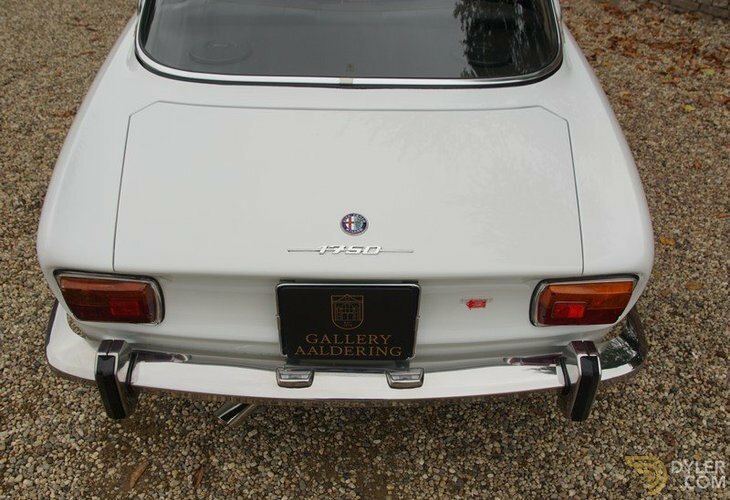 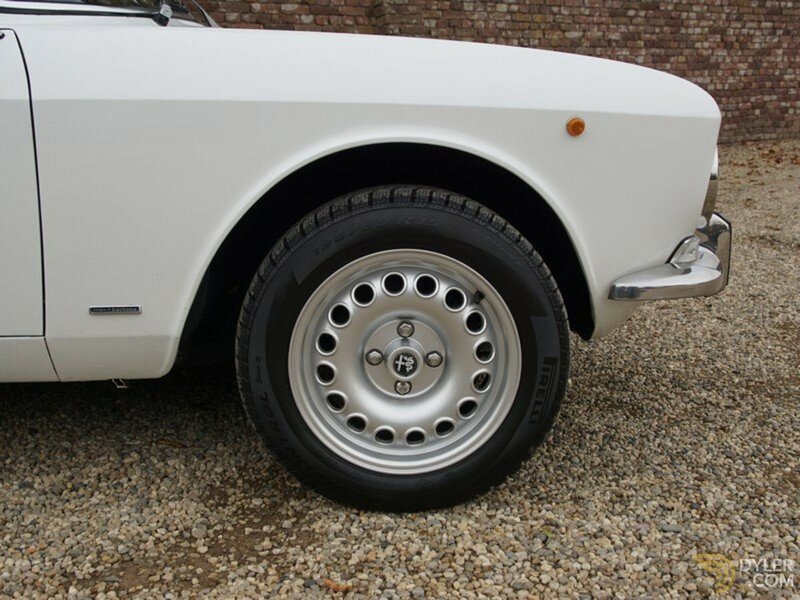 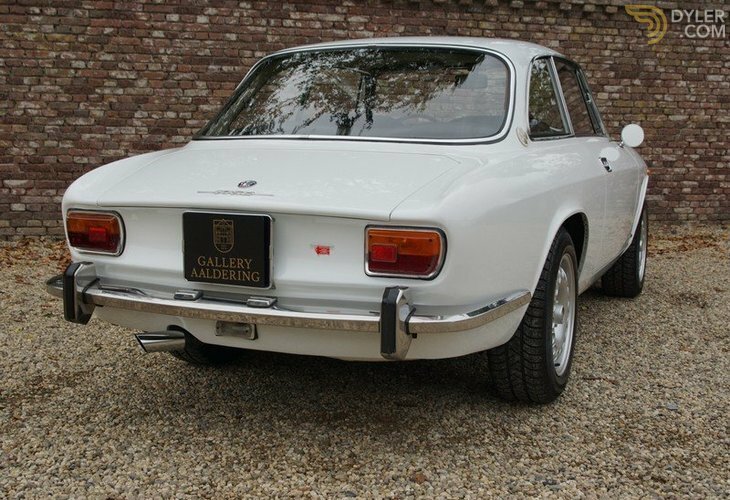 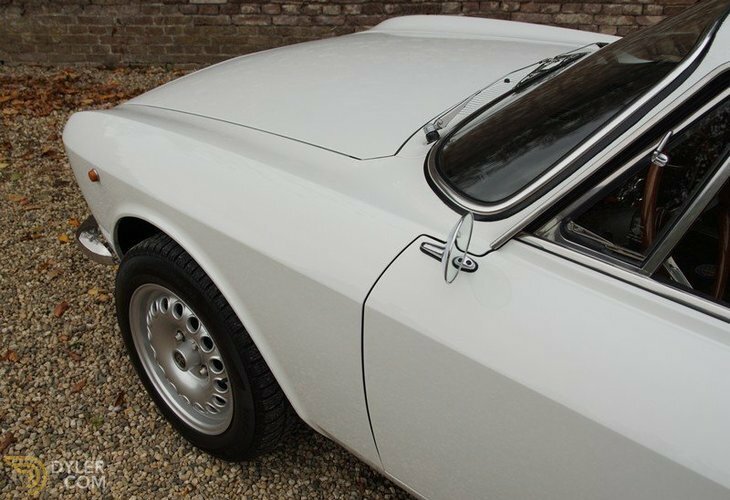 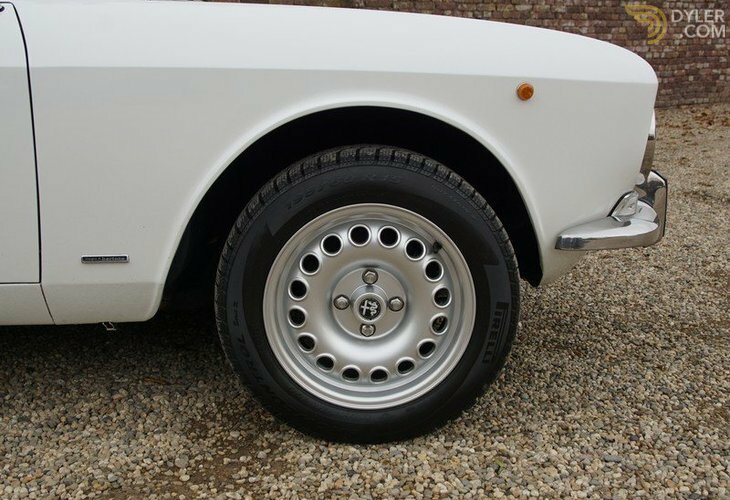 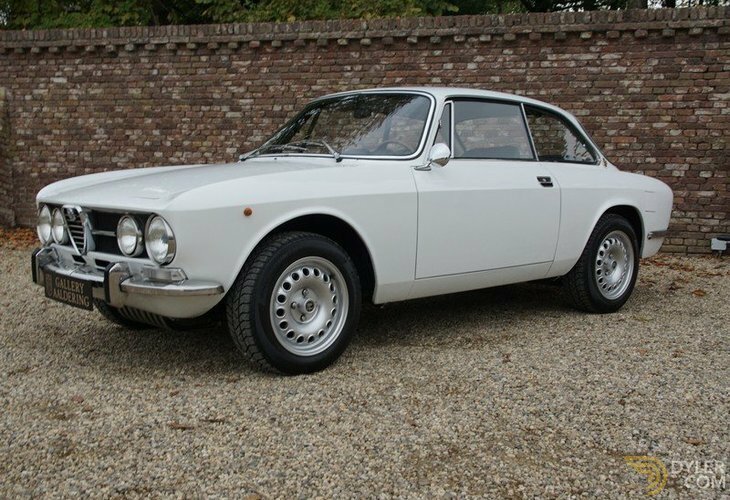 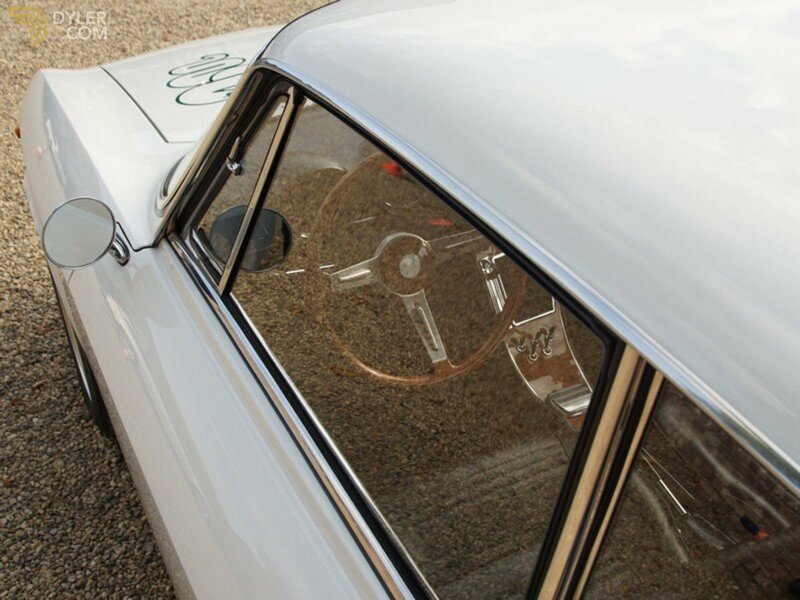 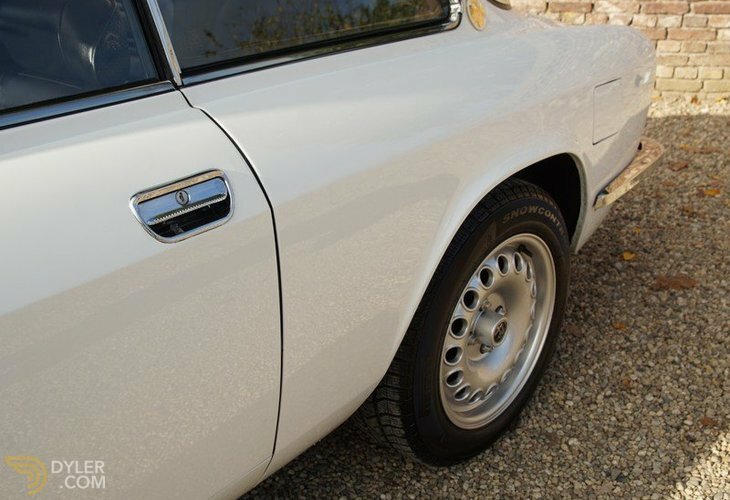 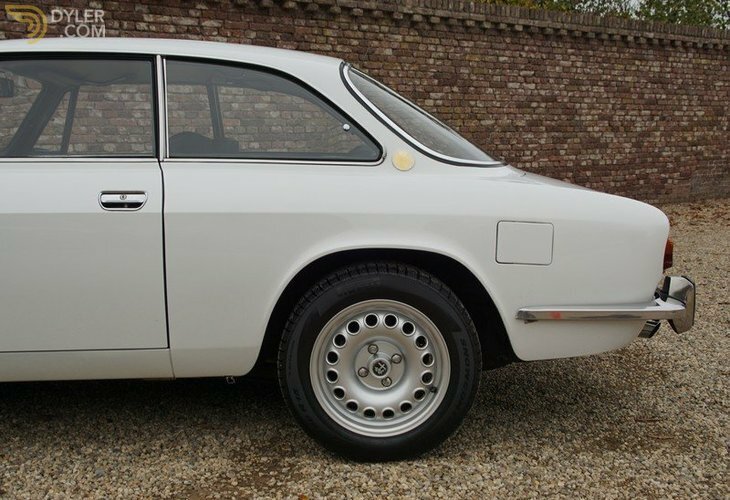 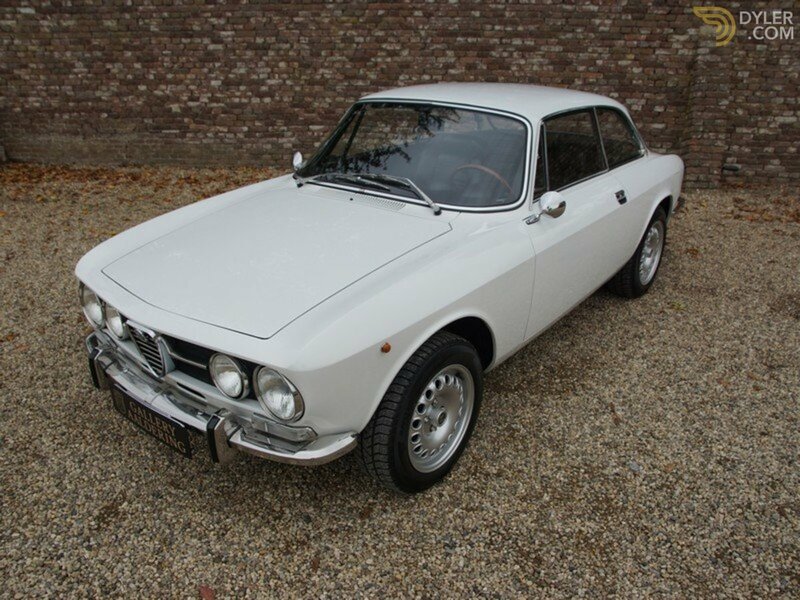 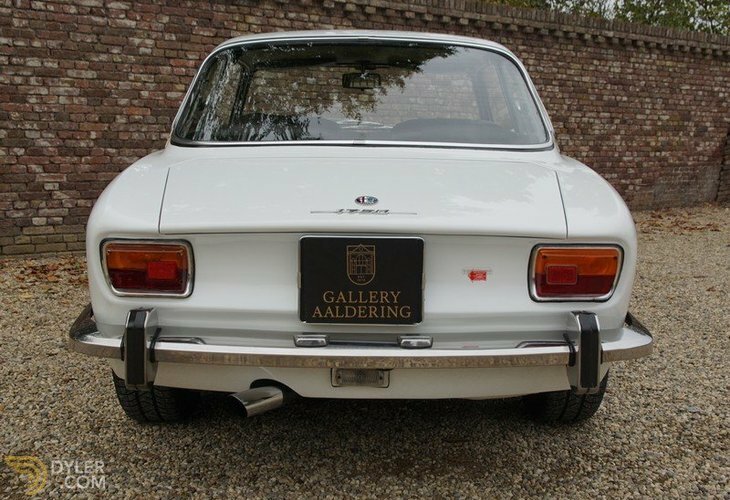 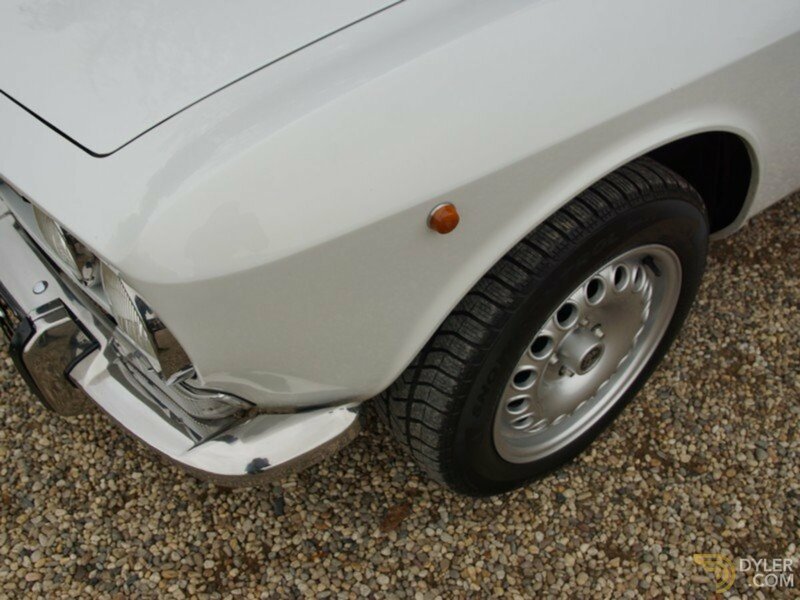 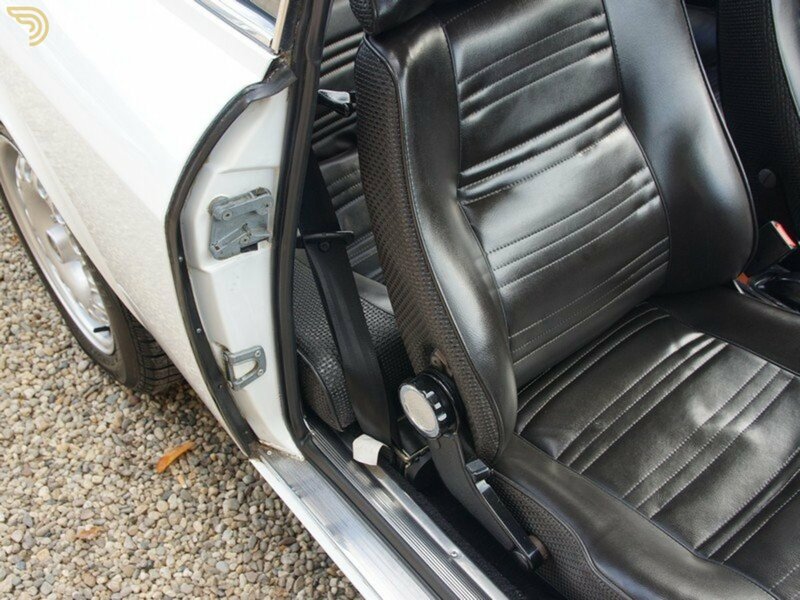 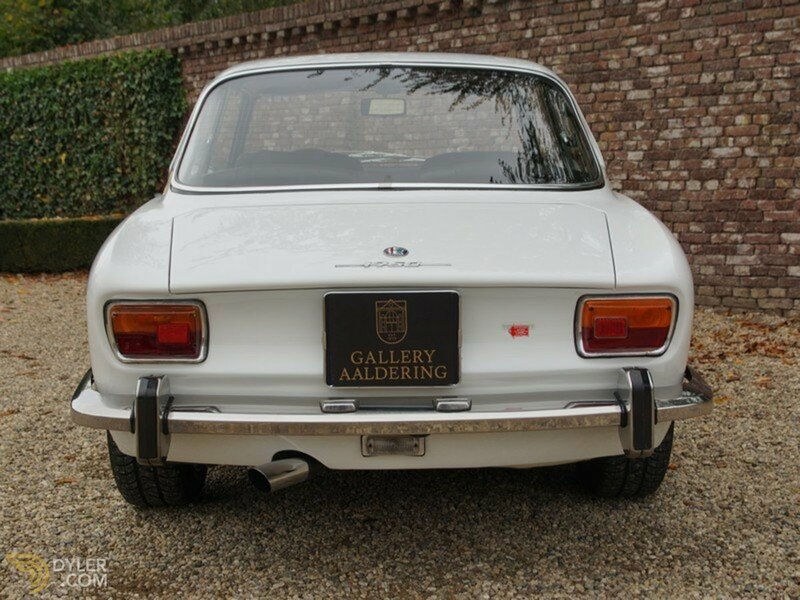 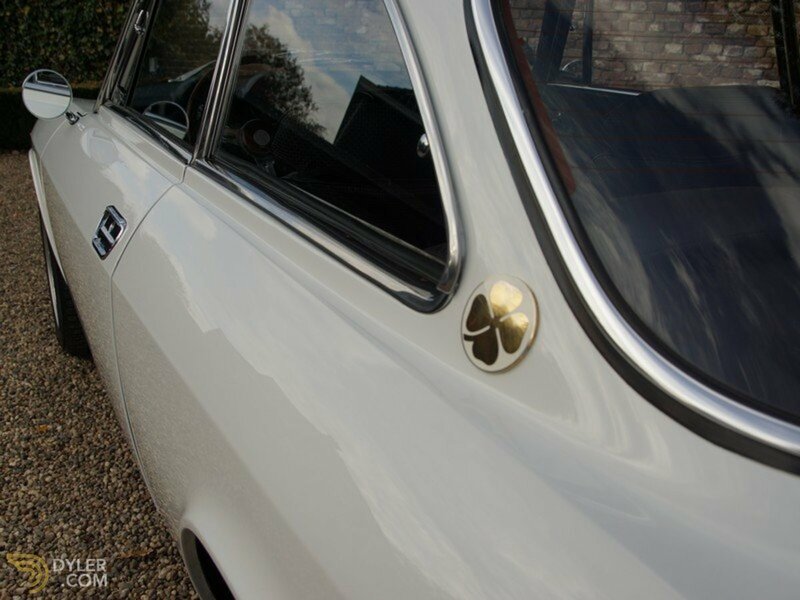 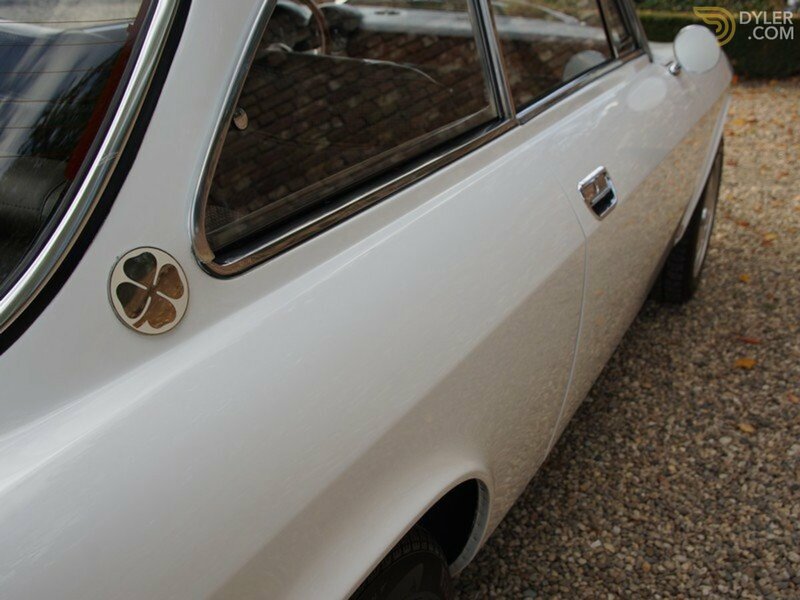 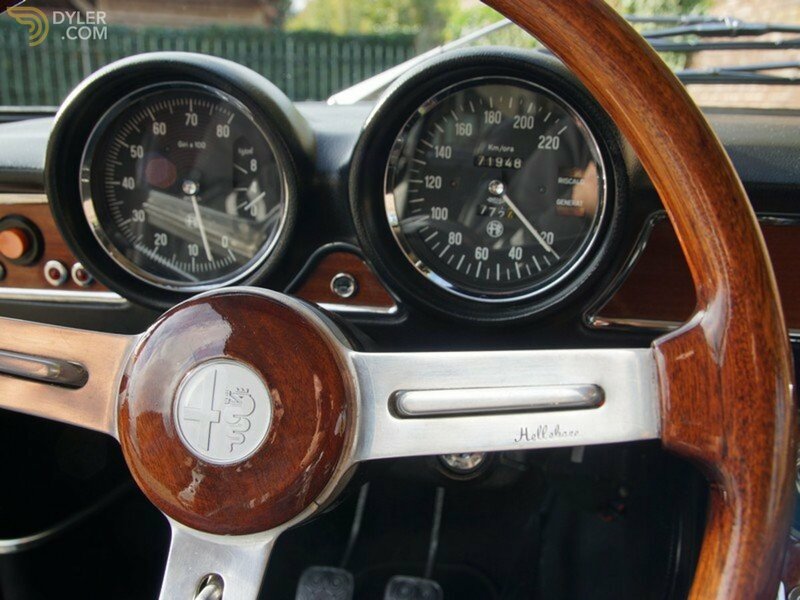 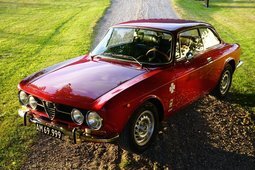 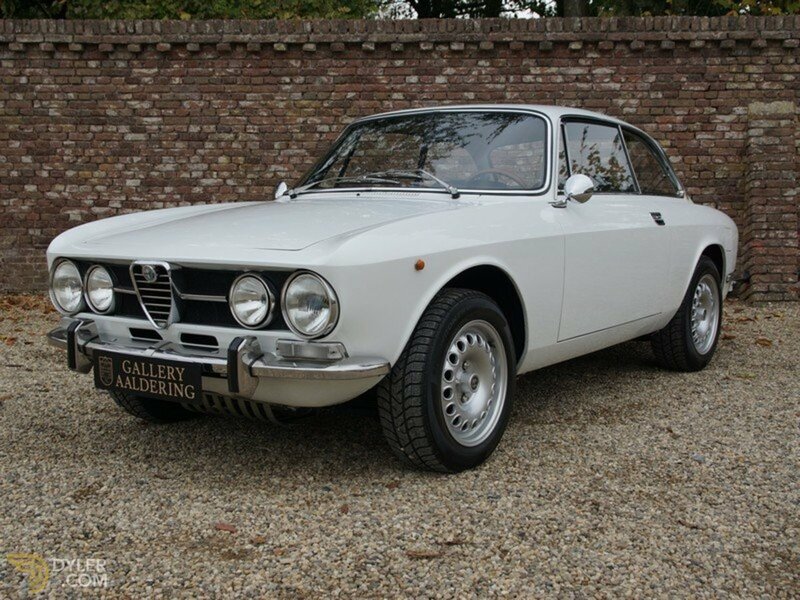 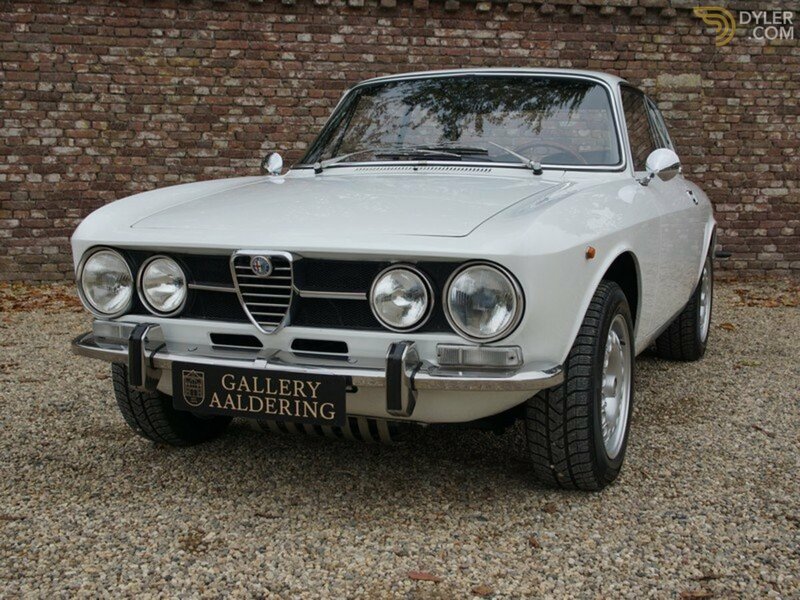 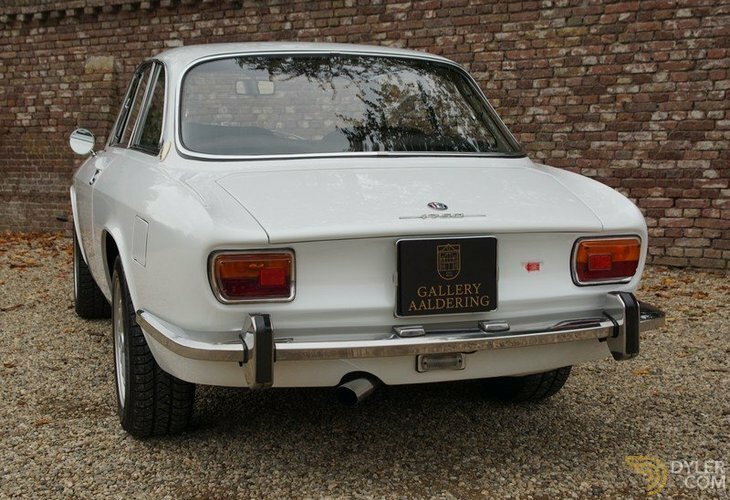 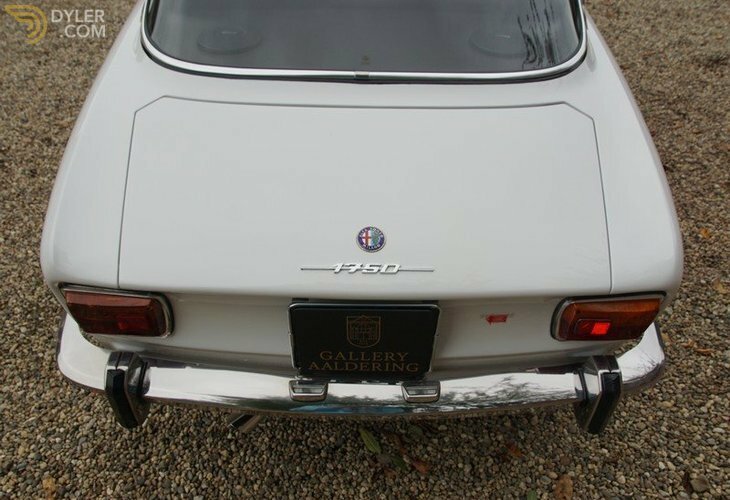 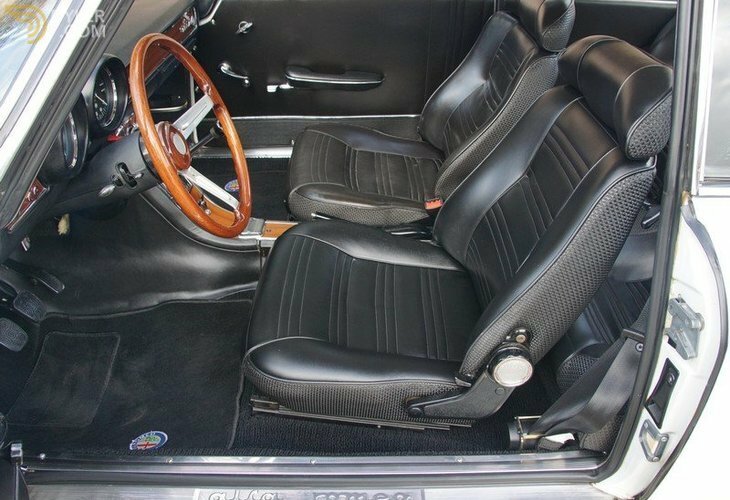 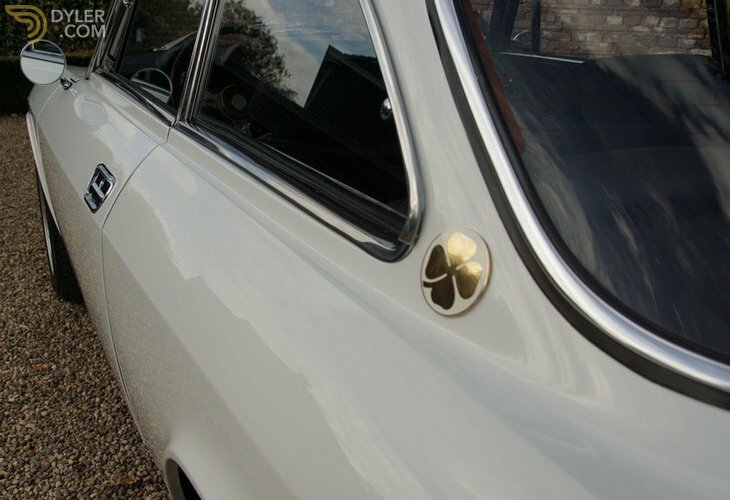 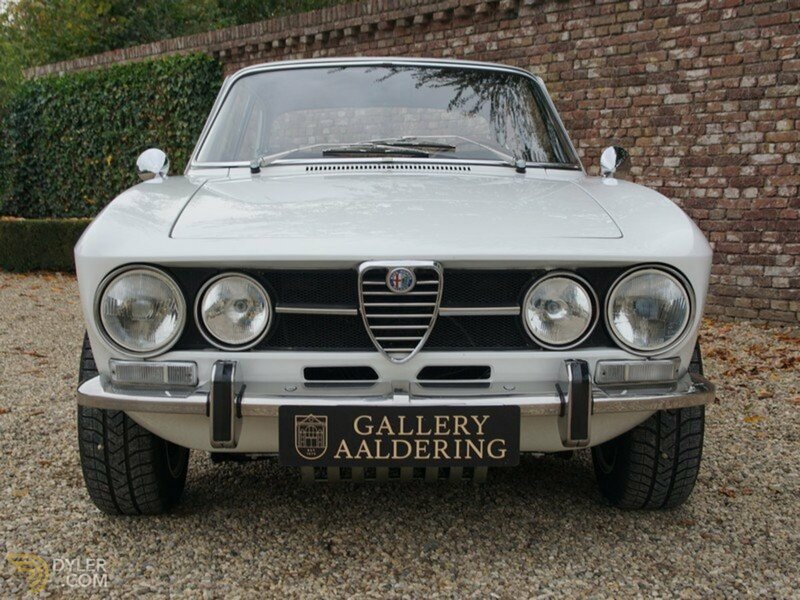 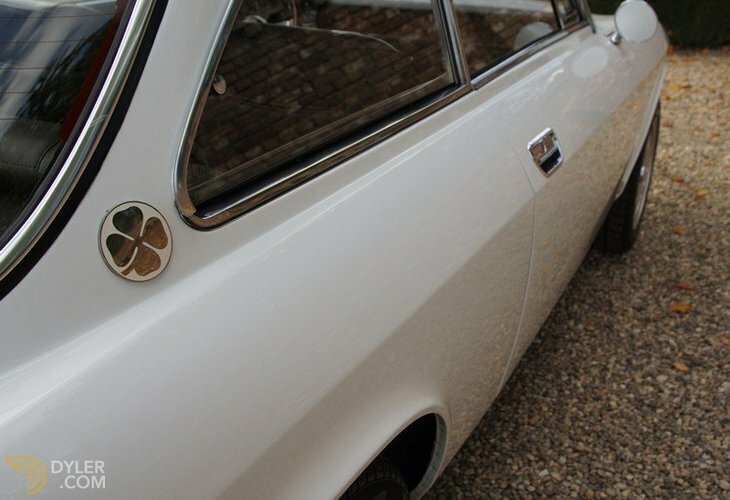 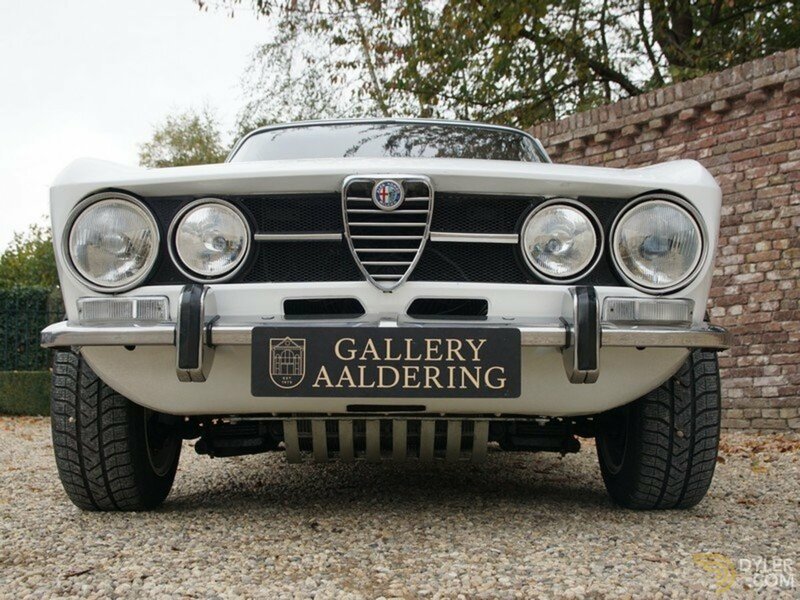 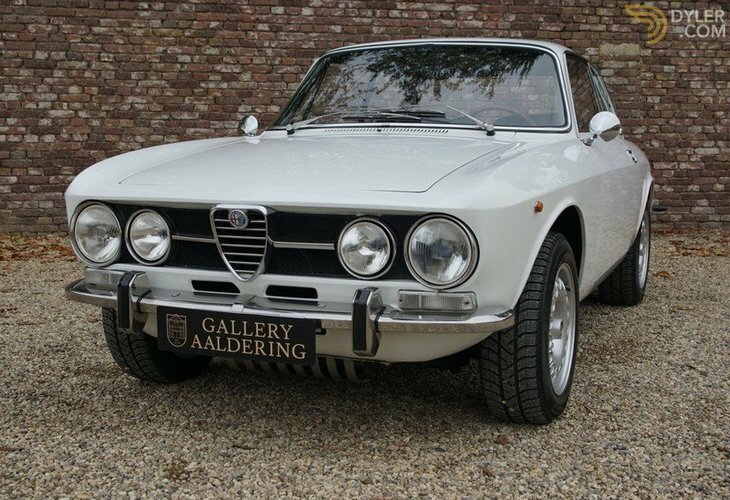 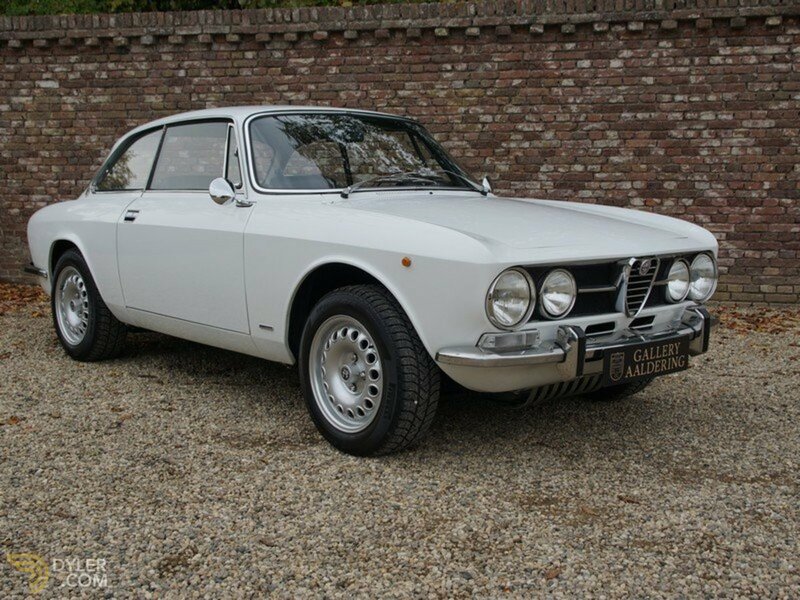 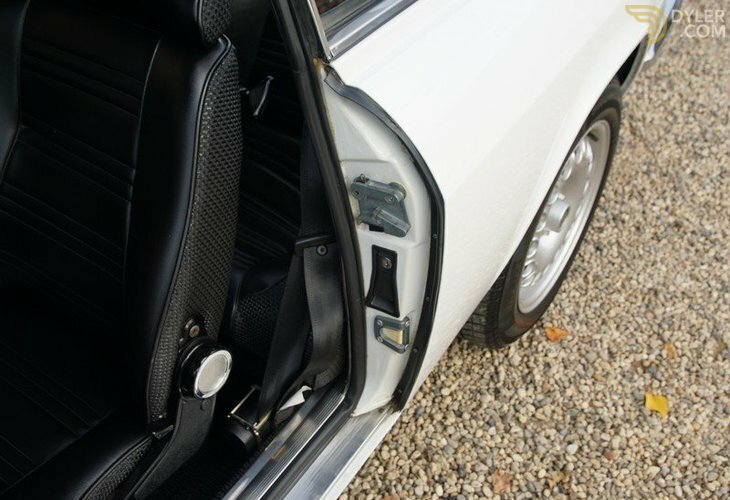 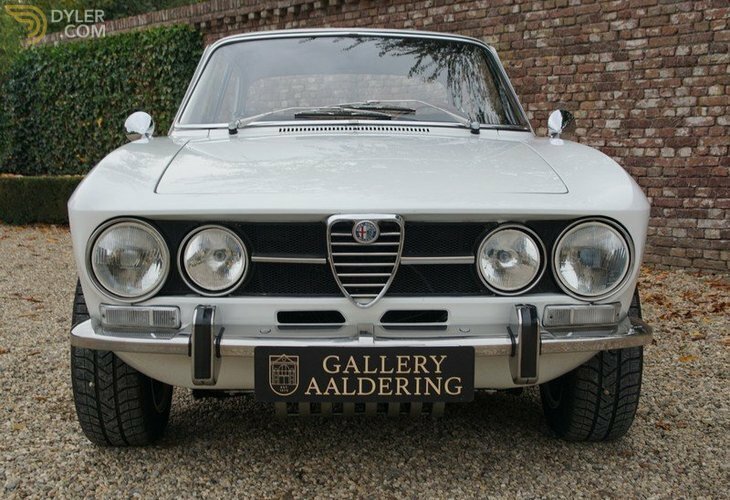 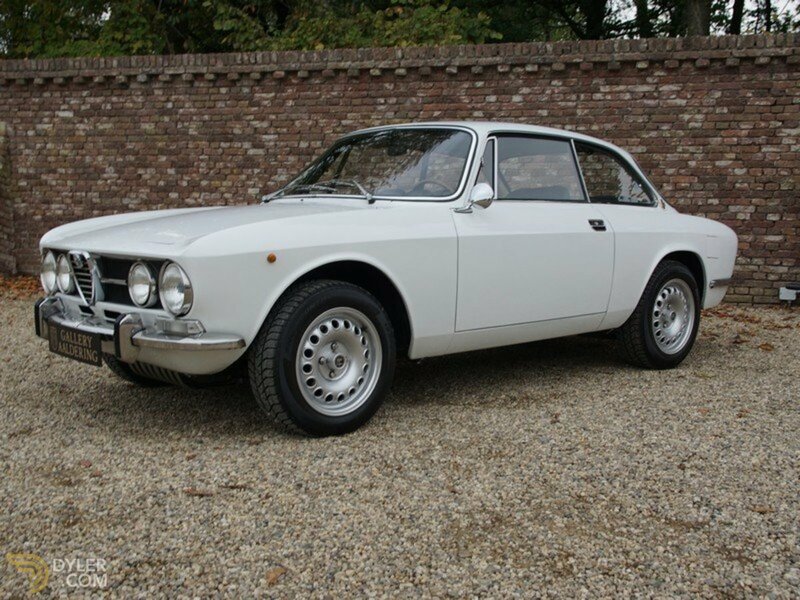 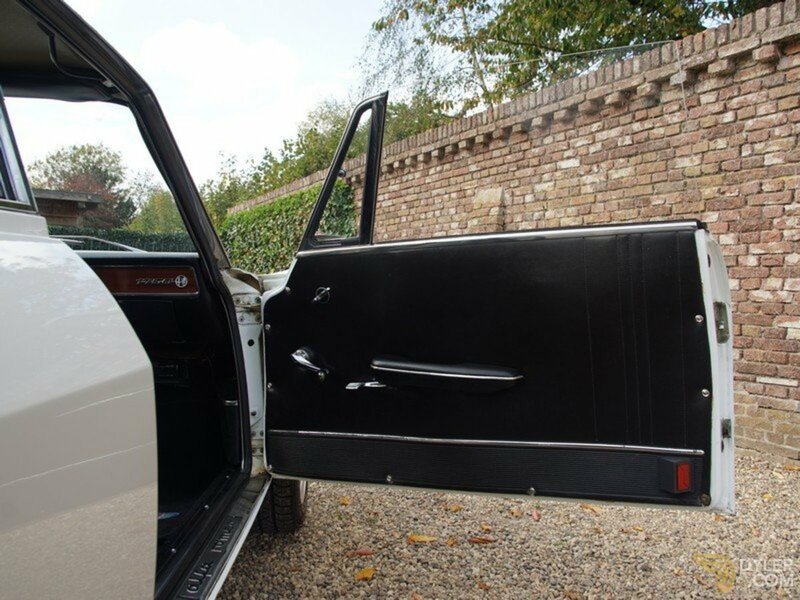 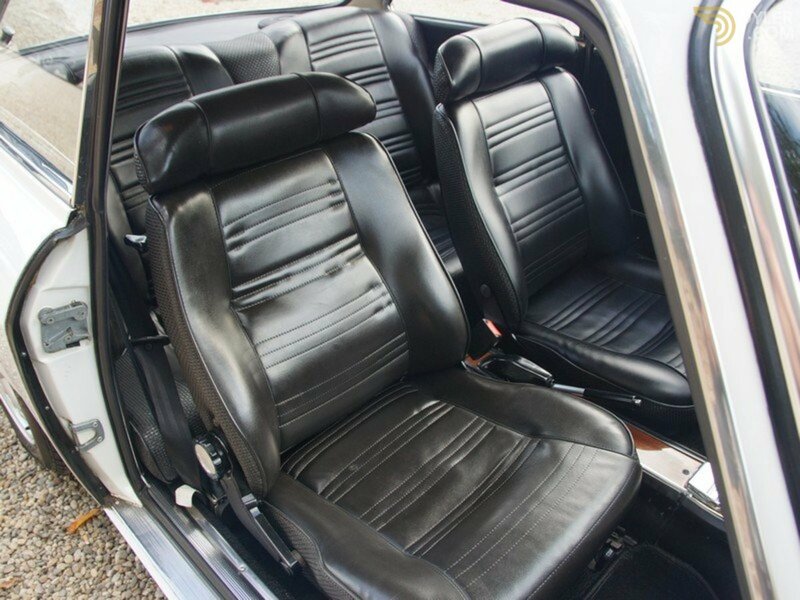 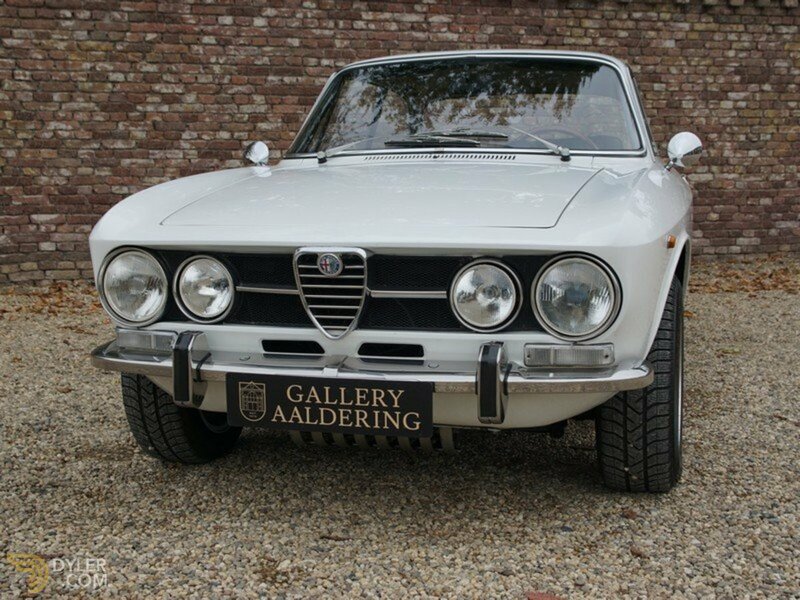 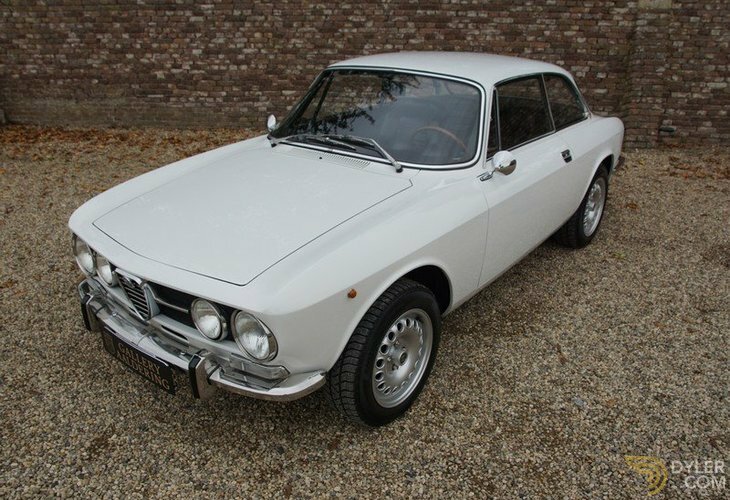 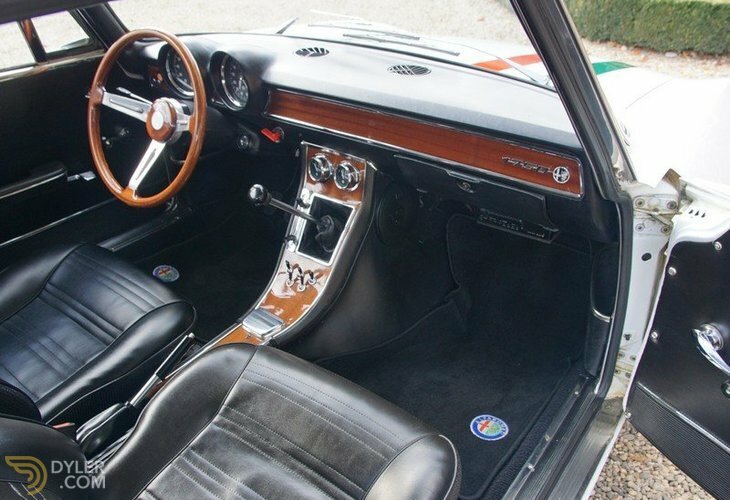 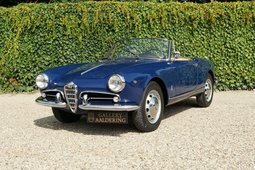 Beautiful 1971 Alfa Romeo 1750 GTV Bertone for sale. 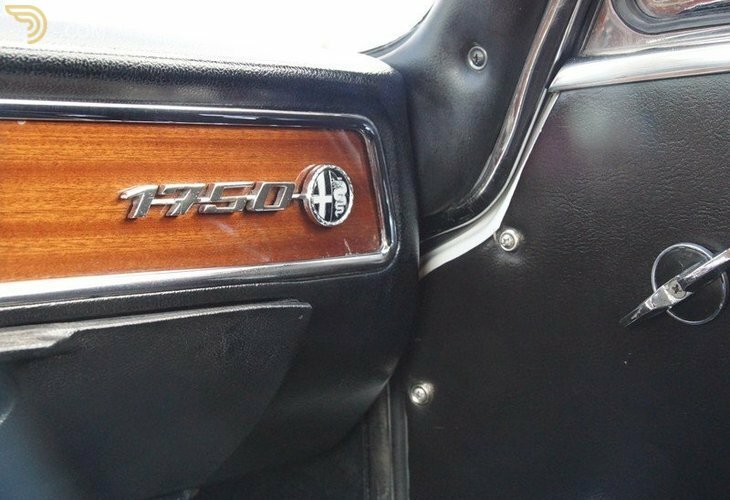 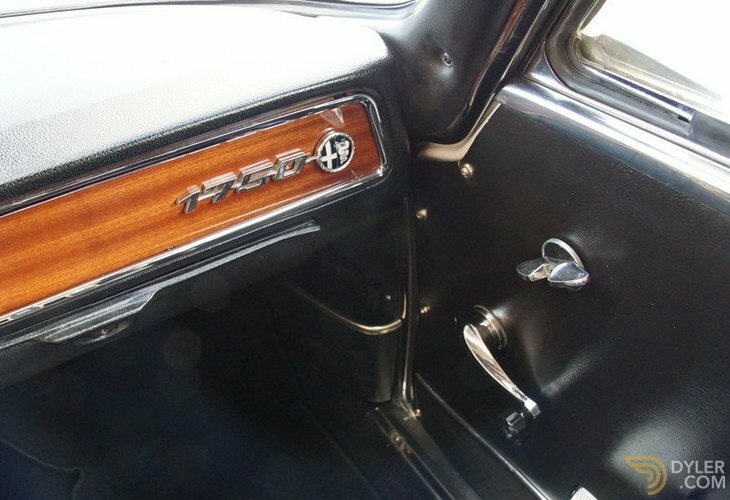 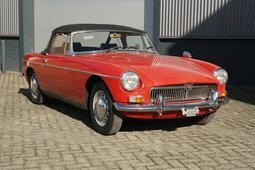 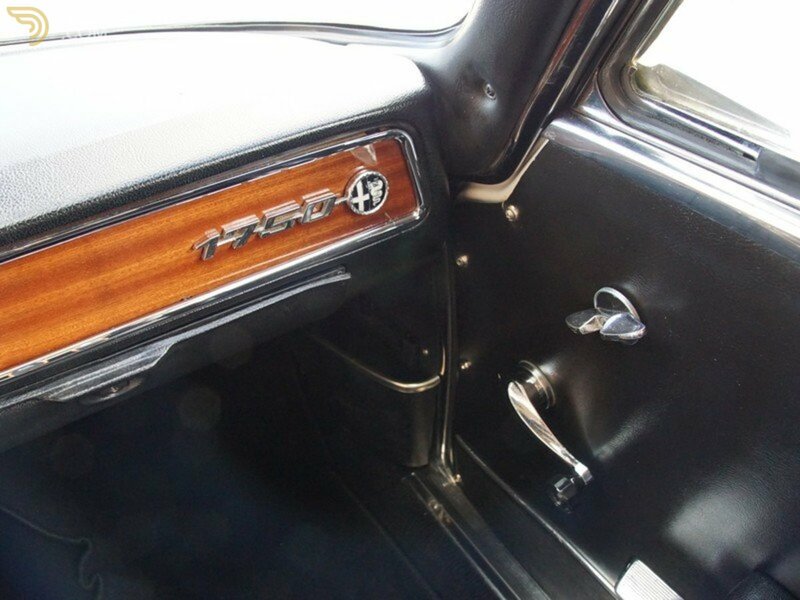 We have known this particularly well-maintained car for many years. 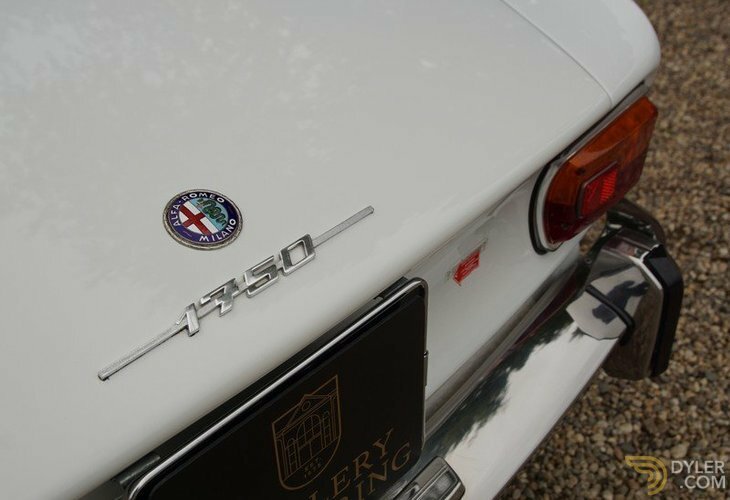 This is the top model, the European 1750 with 122 Hp version. 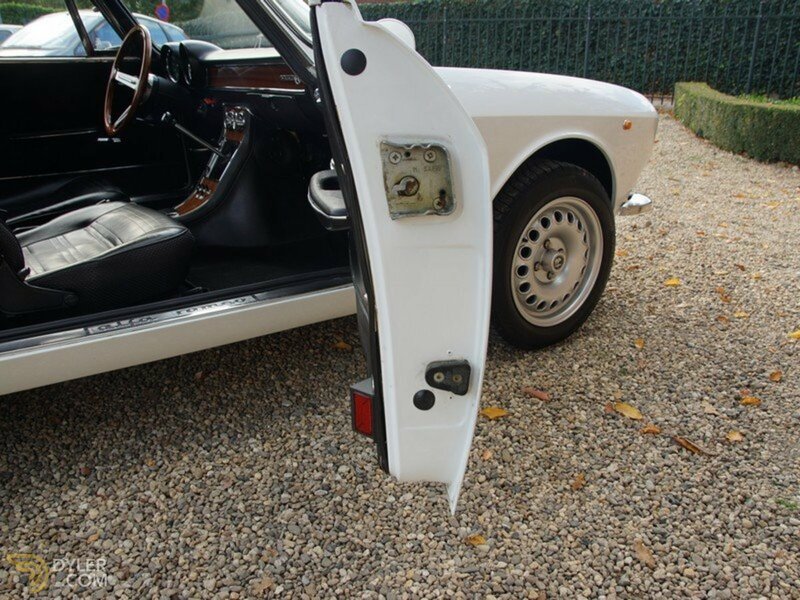 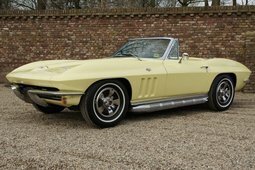 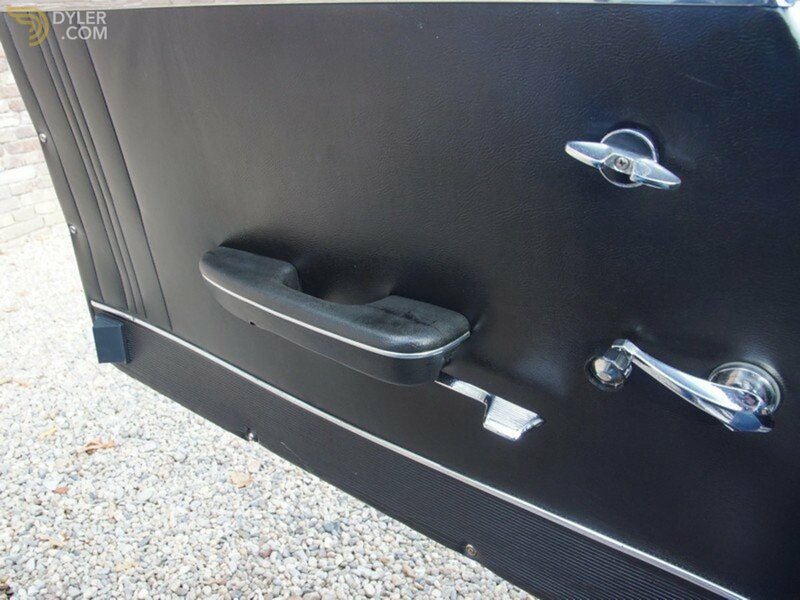 It has wonderful bodywork with perfectly tight fitting body panels. 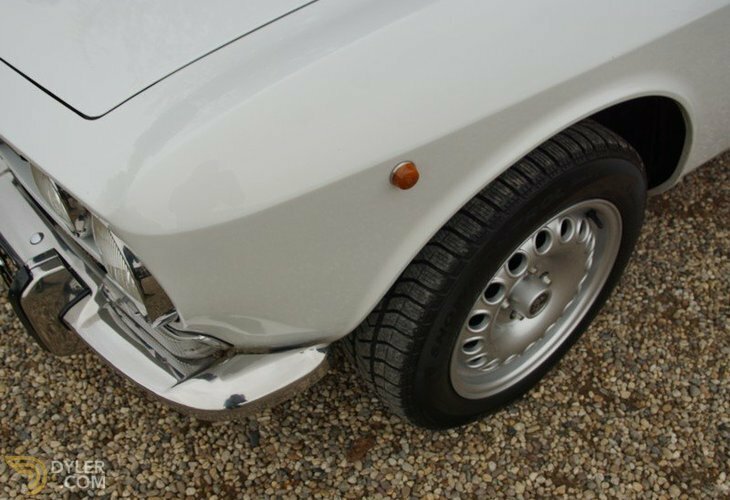 The underbody is colour-coded, absolutely sound and rust-free. 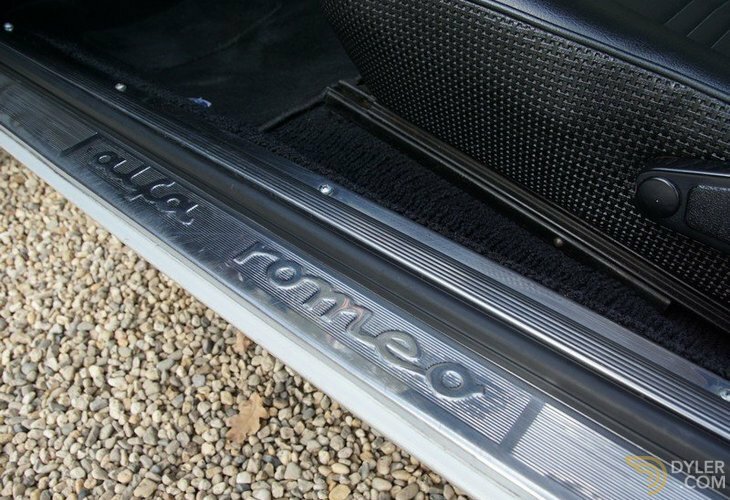 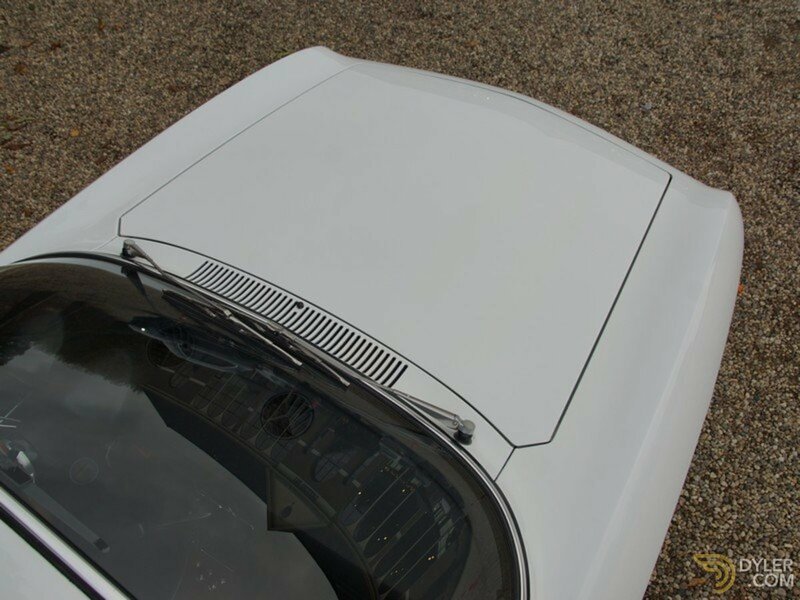 You can even still see the original welding in the sills and wheel arches. 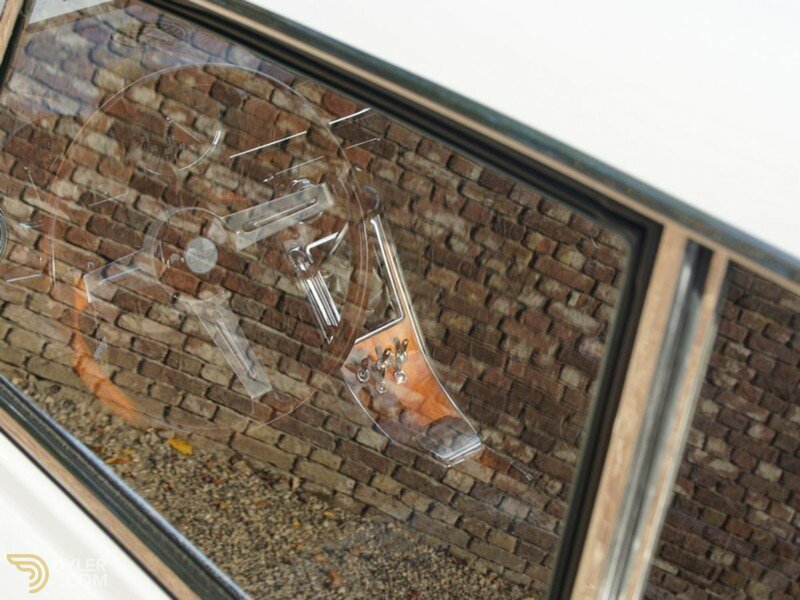 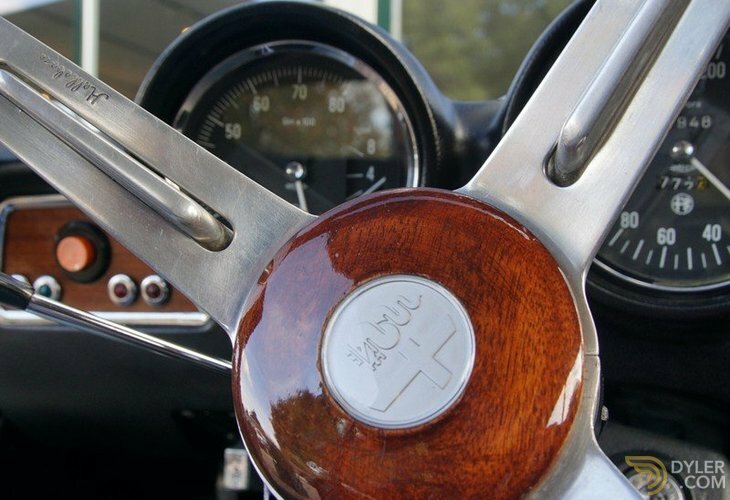 This car is unadulterated and totally authentic! 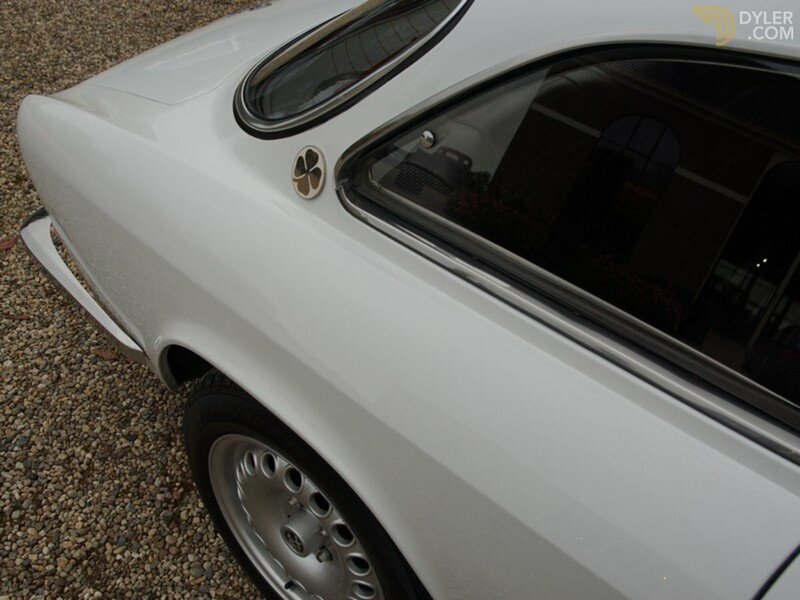 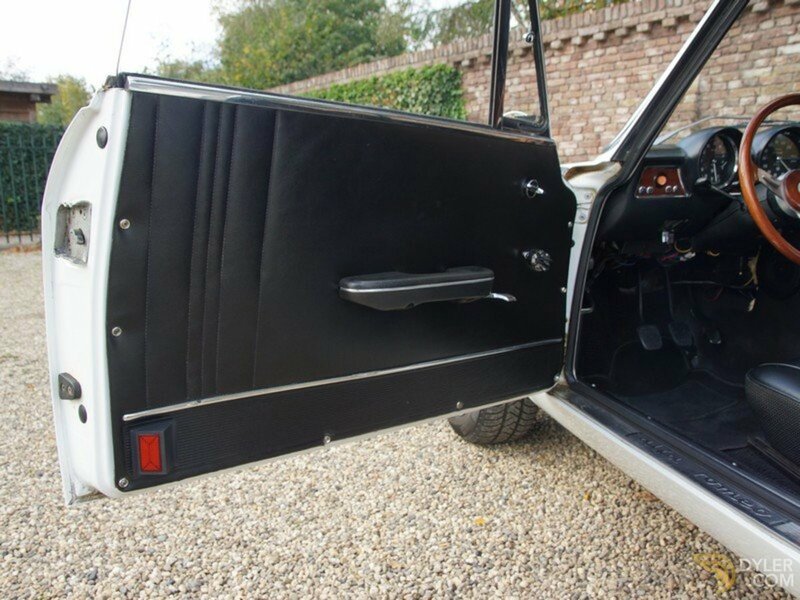 Finished in lovely ‘Blancospino’ with black vinyl trim. 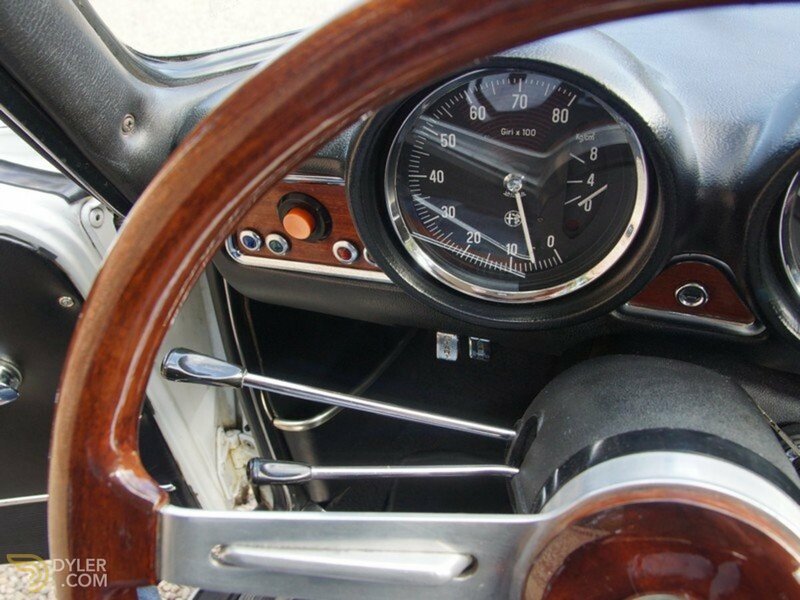 Mechanically in outstanding working order. 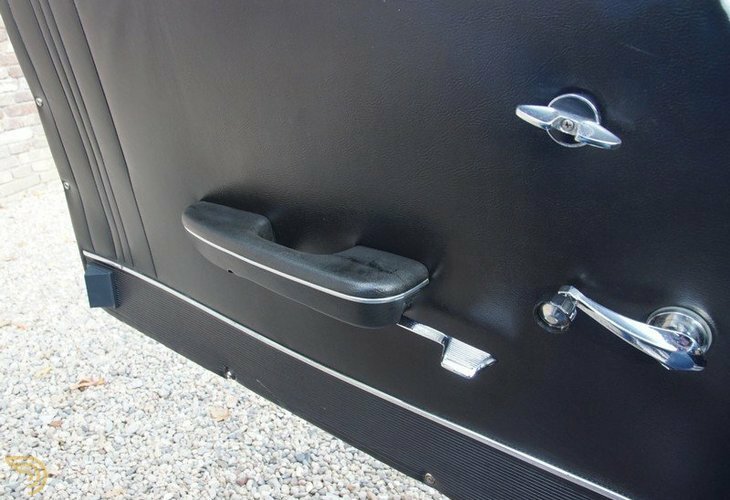 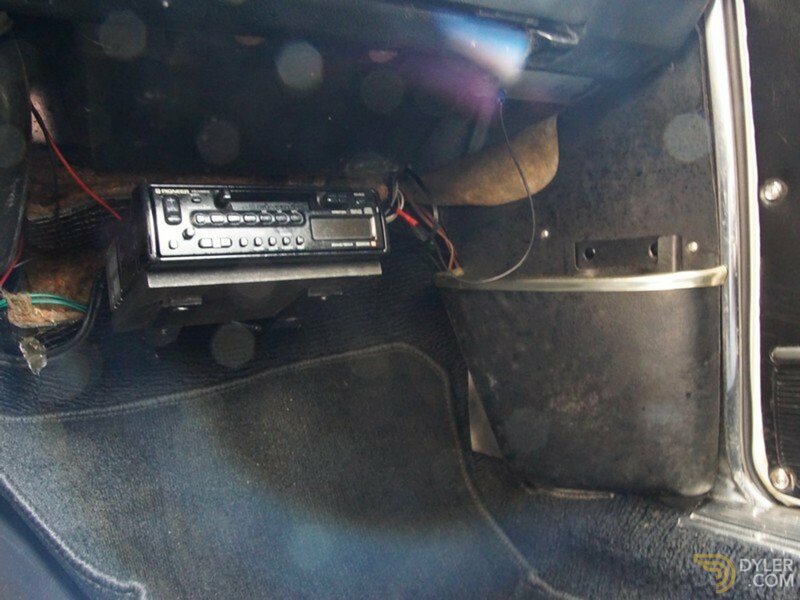 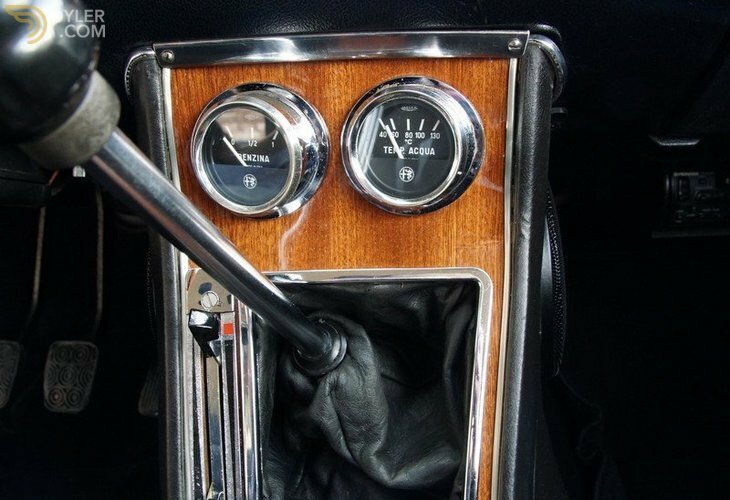 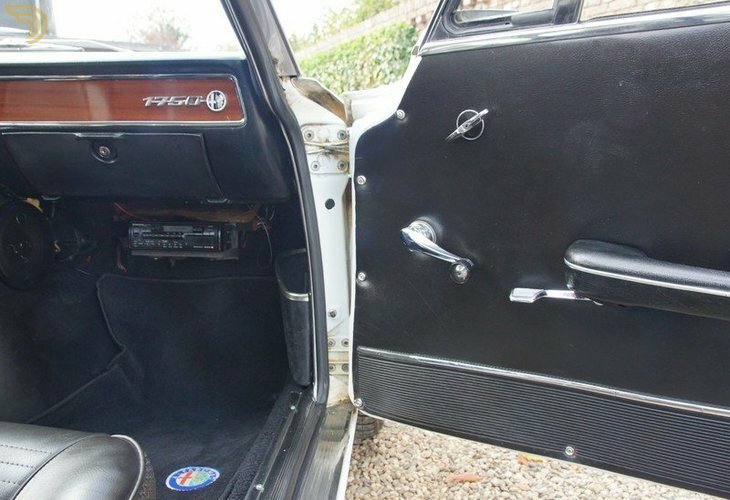 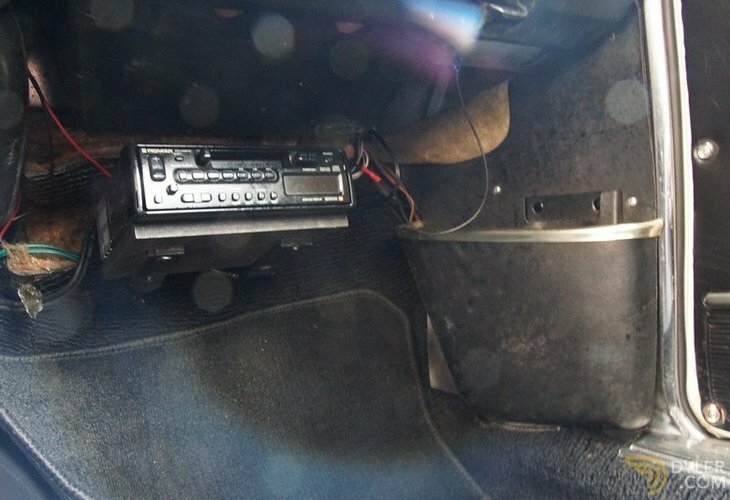 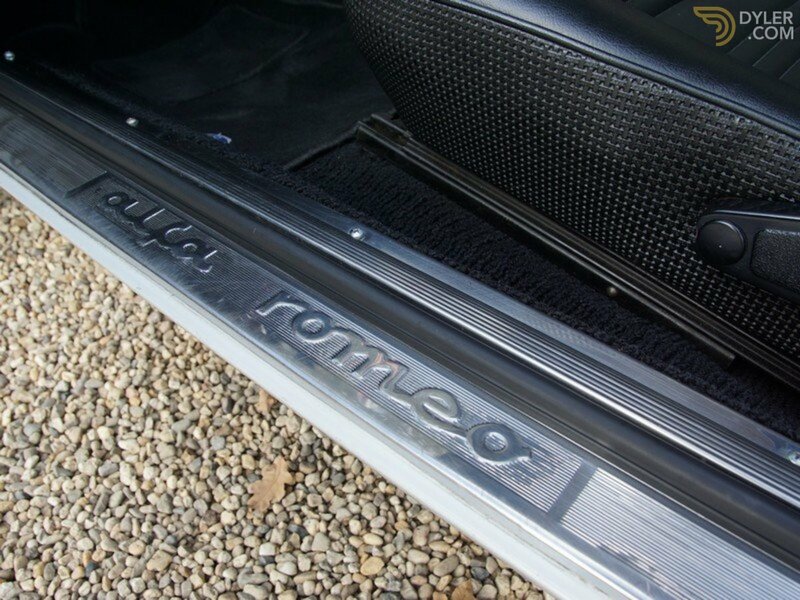 It also features a sump protector and electronic ignition. 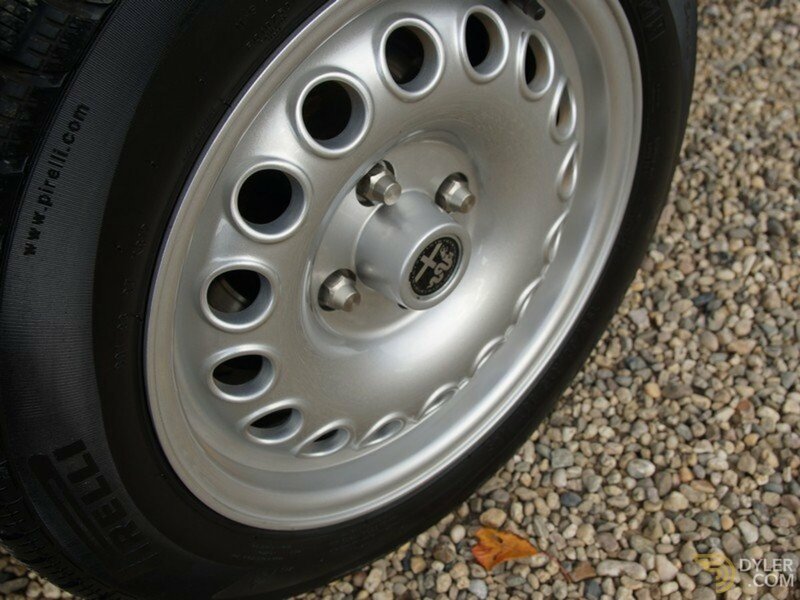 Of course, the GTA wheels complete the whole picture very nicely! 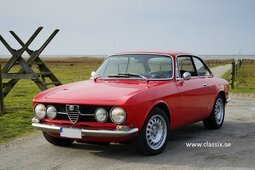 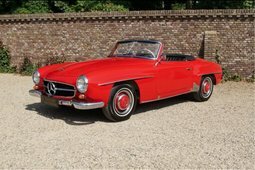 Uniquely, we seldom see one of these cars in such good condition. 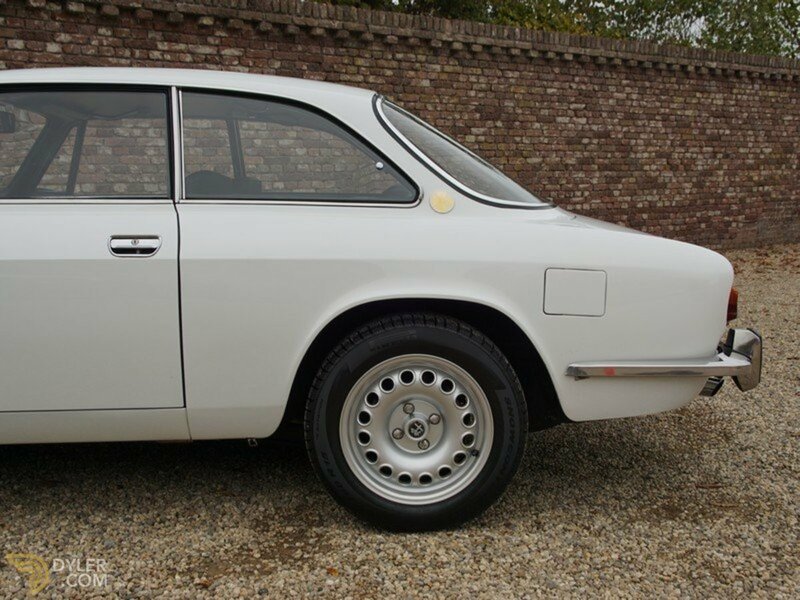 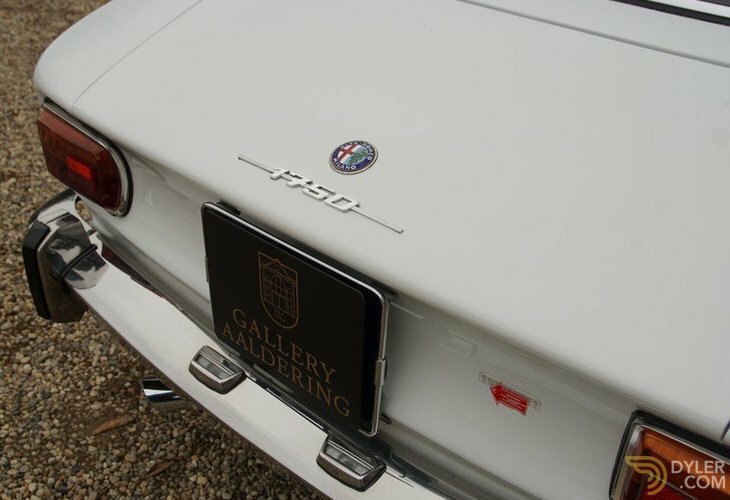 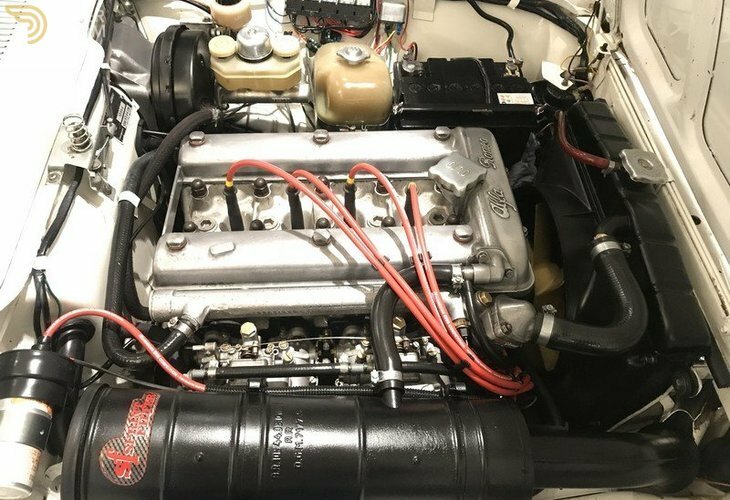 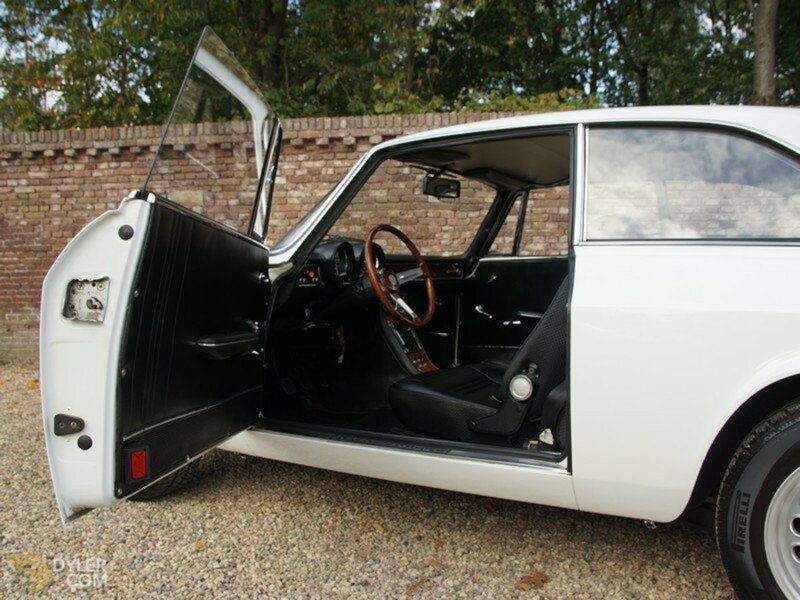 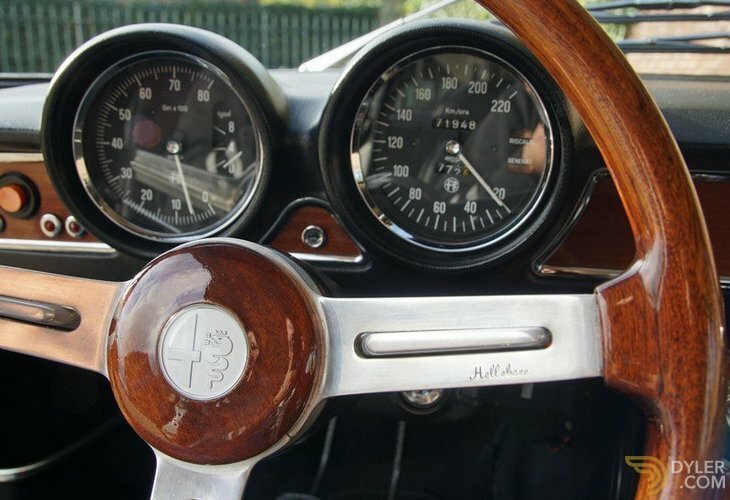 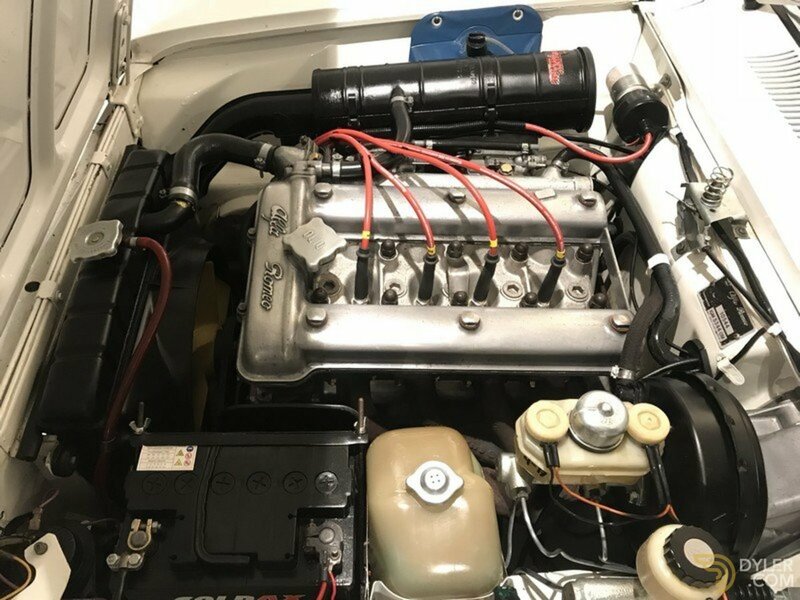 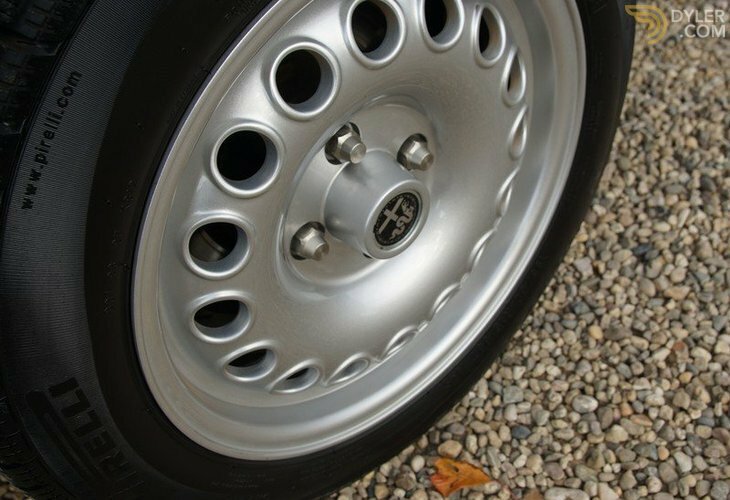 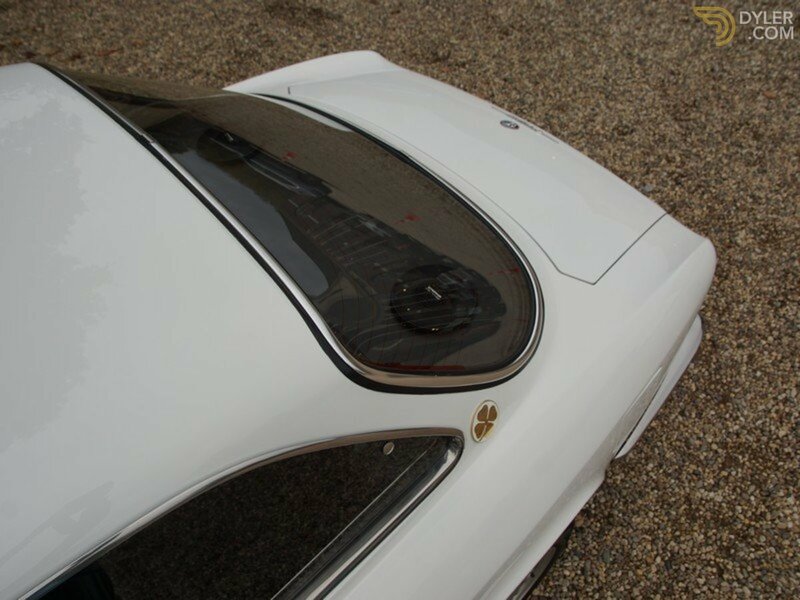 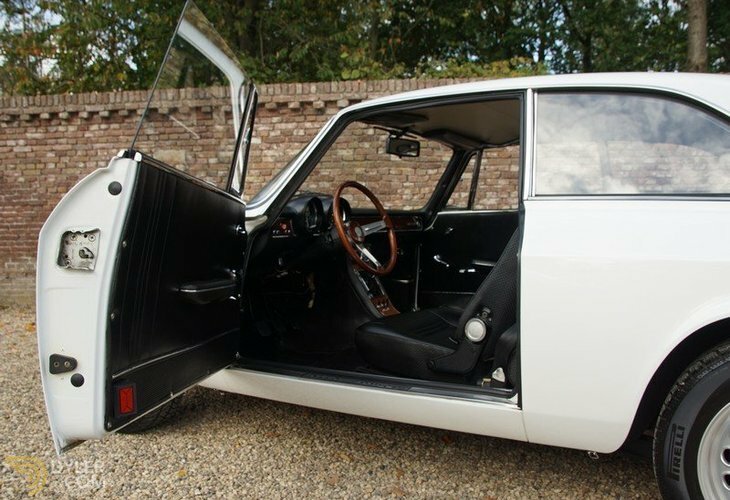 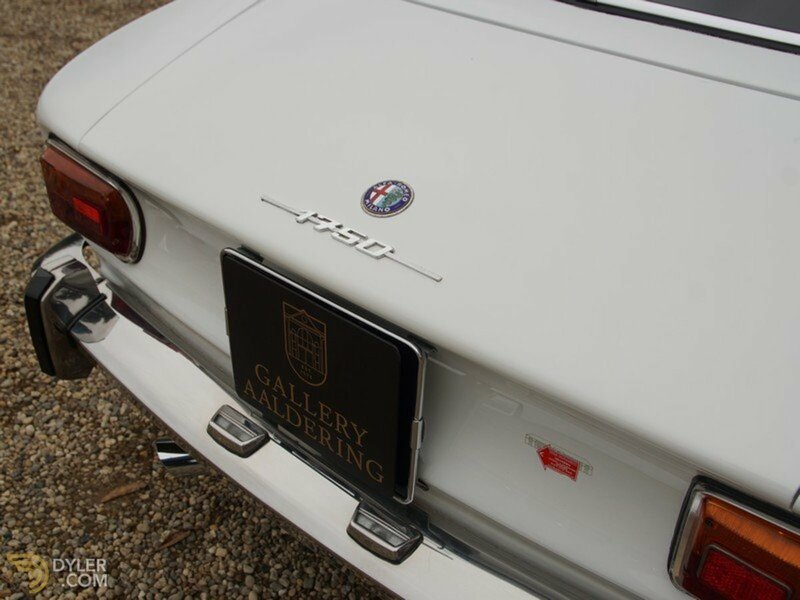 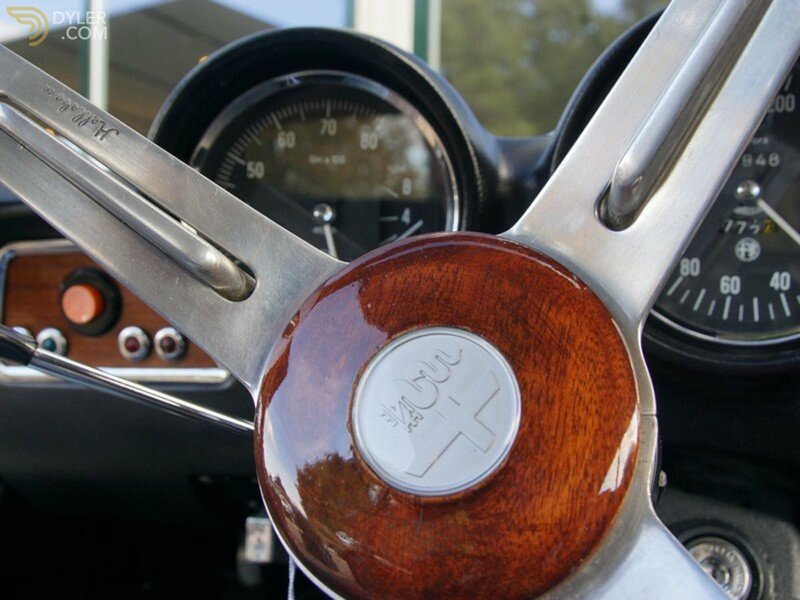 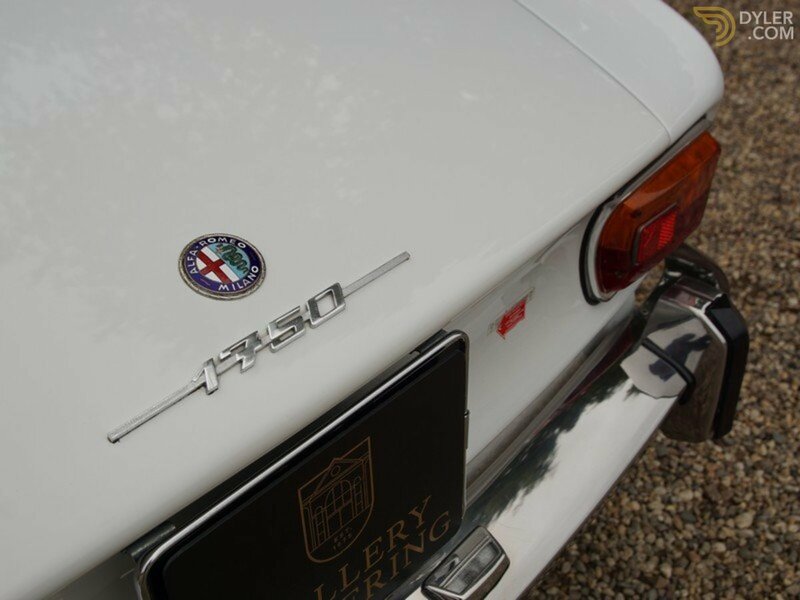 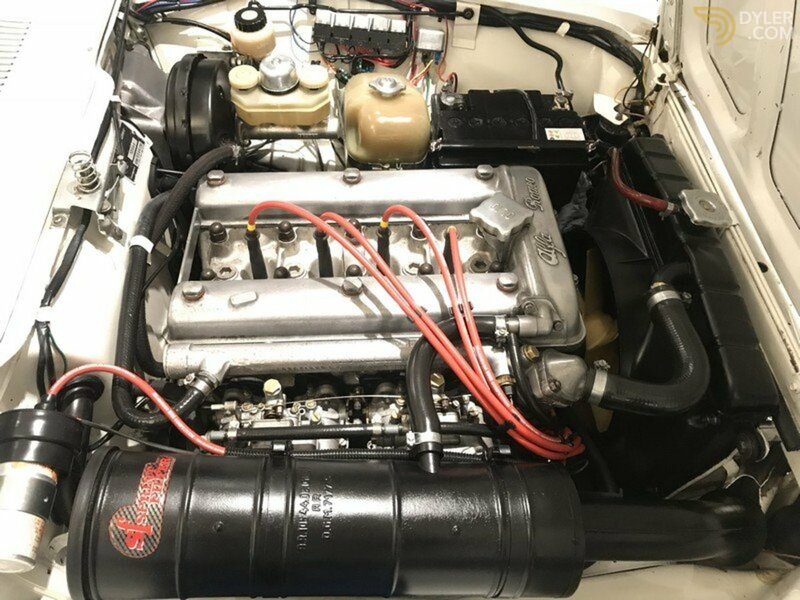 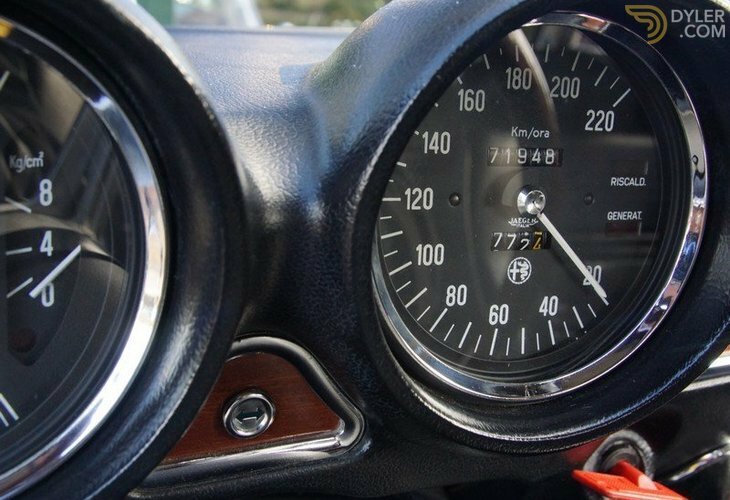 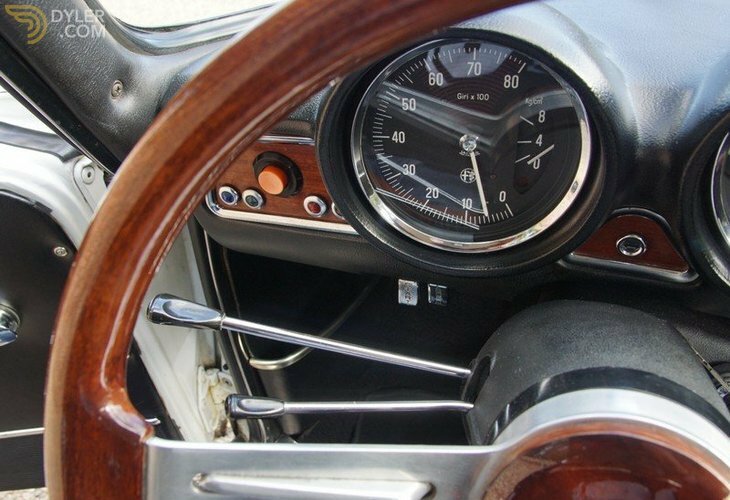 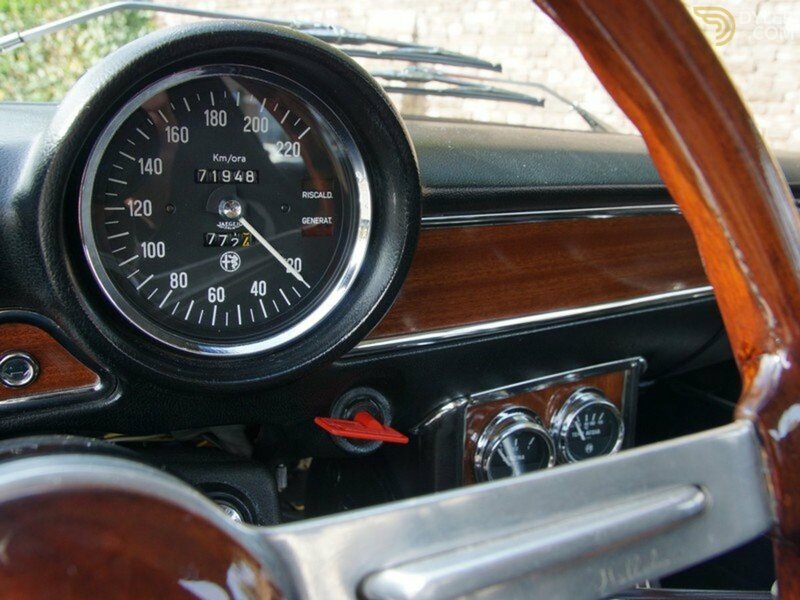 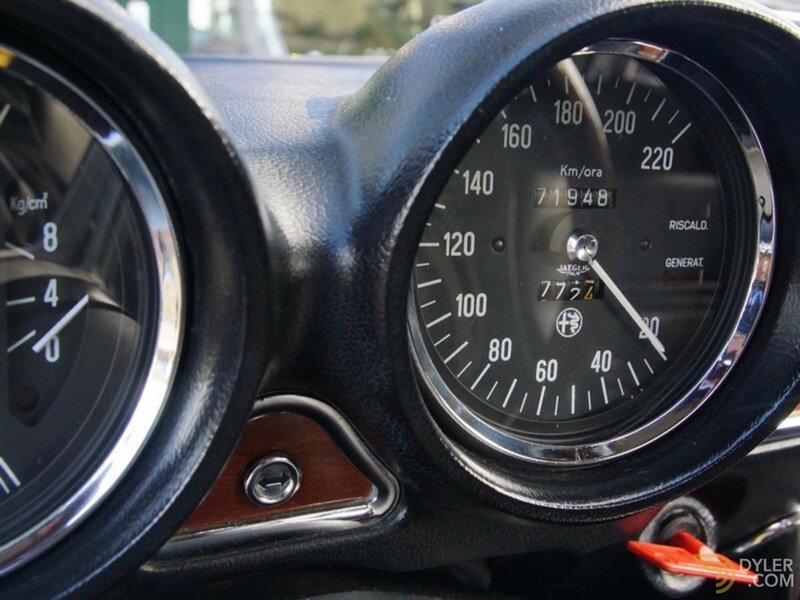 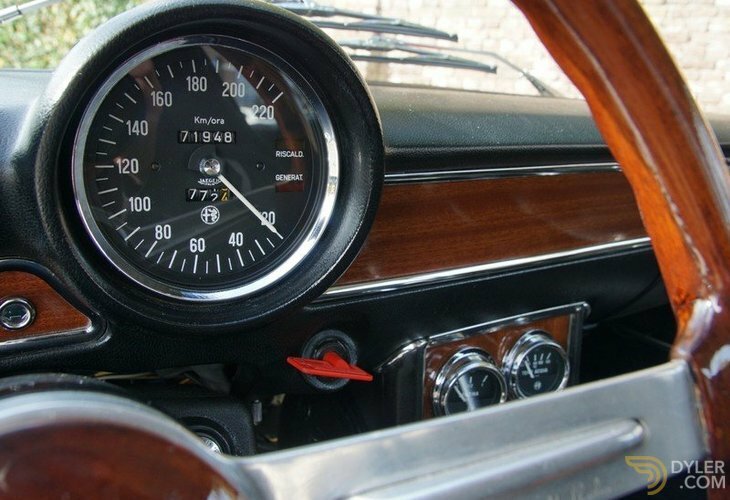 This is indeed, a strikingly good looking, top of the class and authentic 1750 GTV series 2!